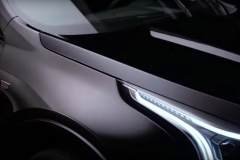 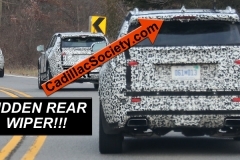 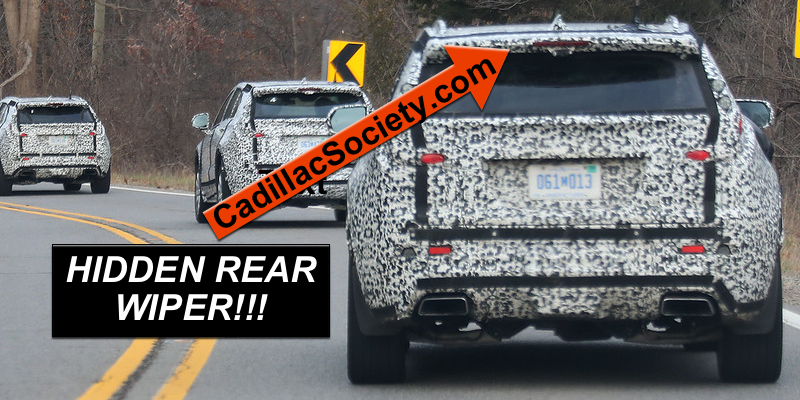 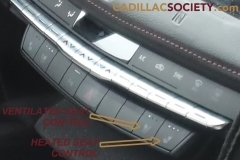 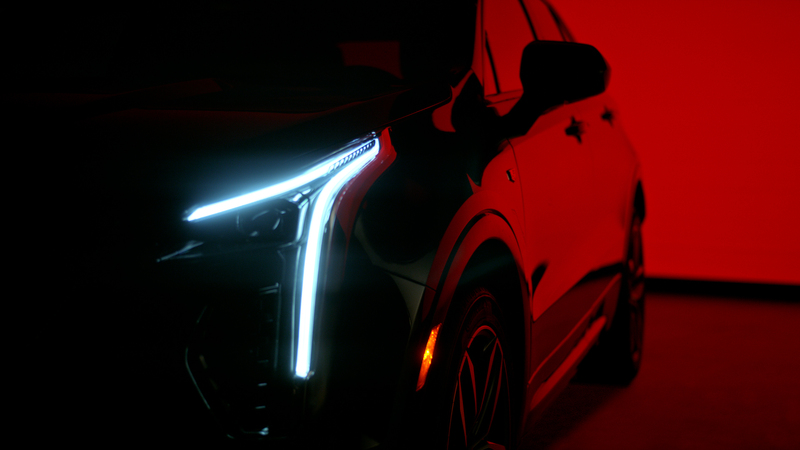 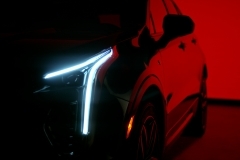 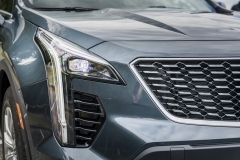 After teasing the 2019 Cadillac XT4 in a new commercial last week, Cadillac has just shared a new image of the upcoming crossover on its website. 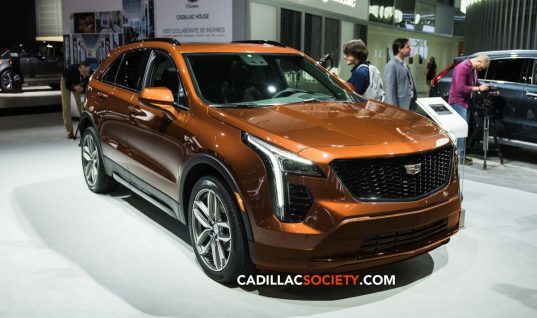 Published on a recently-published landing page within the “Concept Vehicles” section of the official Cadillac website, the new Cadillac XT4 picture gives us another look at the future model. 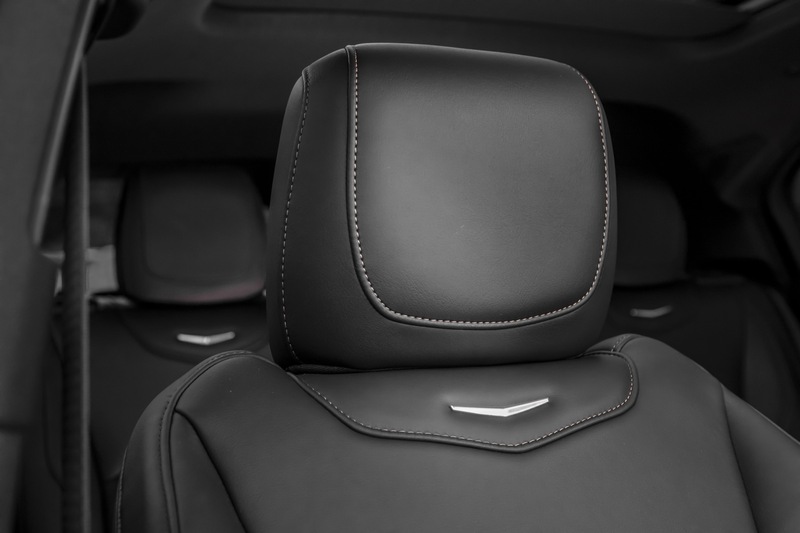 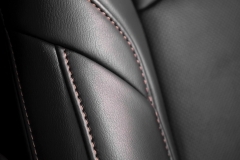 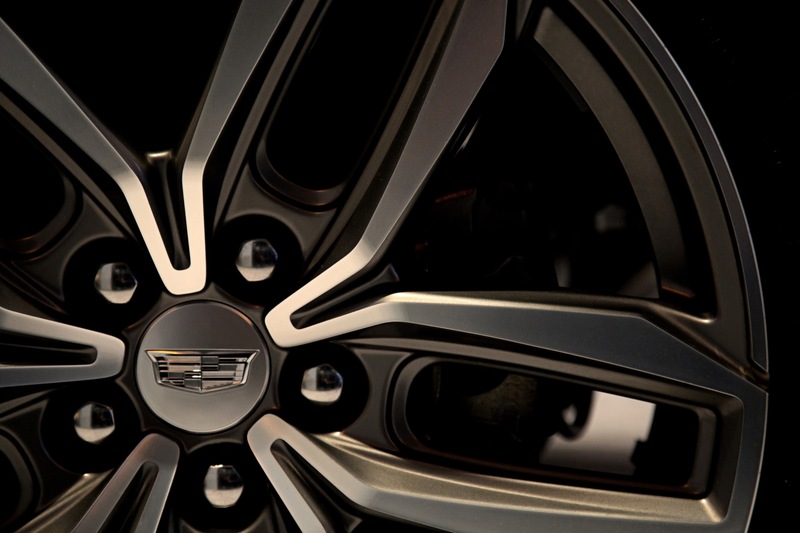 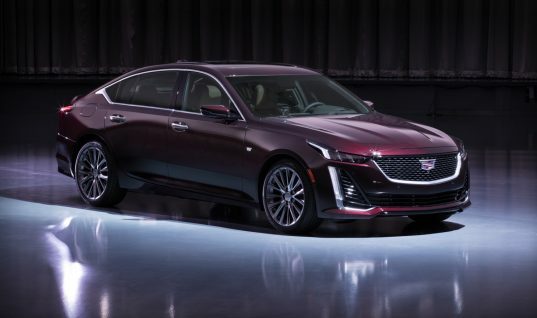 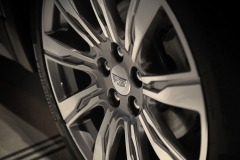 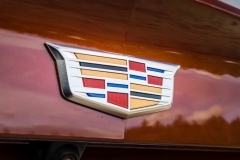 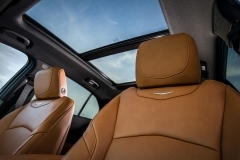 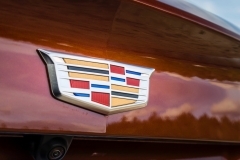 “A Cadillac vibrant in design and purpose, just like the people who drive it. 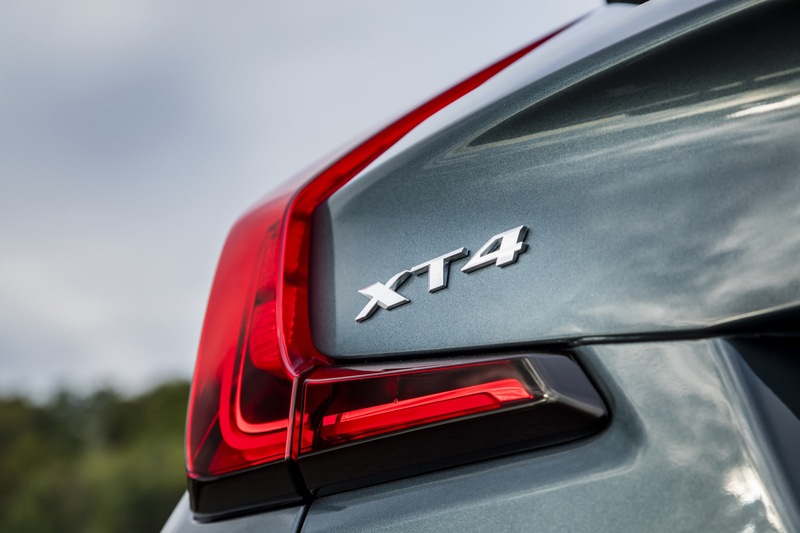 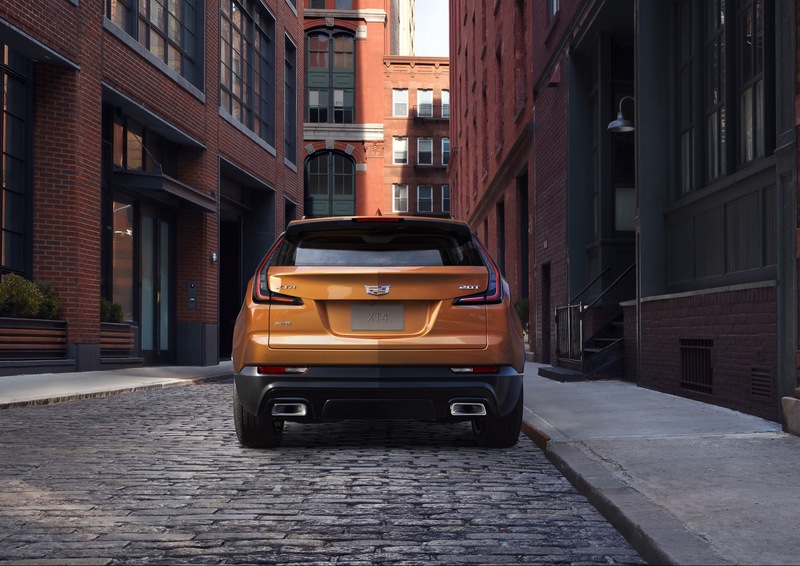 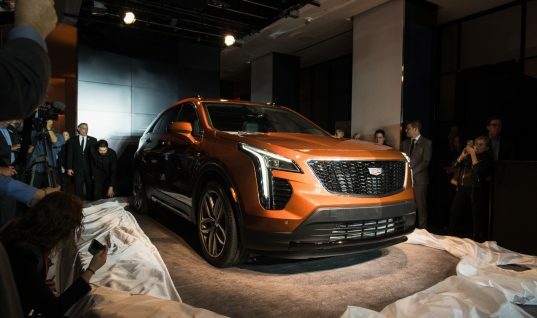 The XT4 is equal parts statement piece and blank canvas.”, reads the page, adding that the XT4 will be available in the fall of 2018. 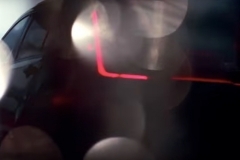 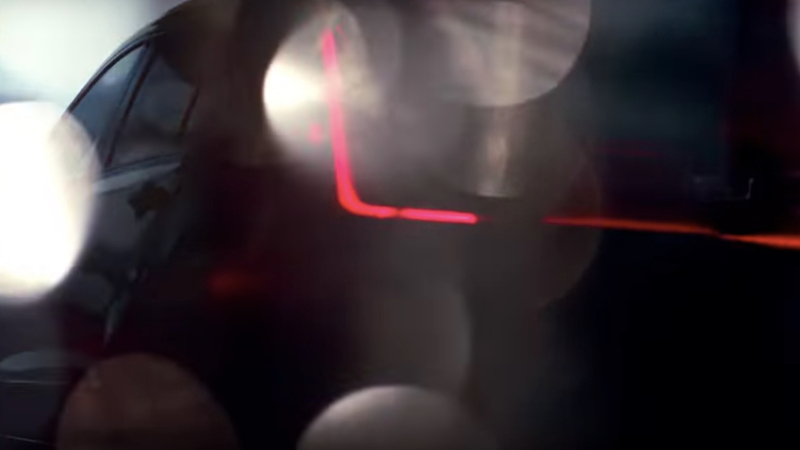 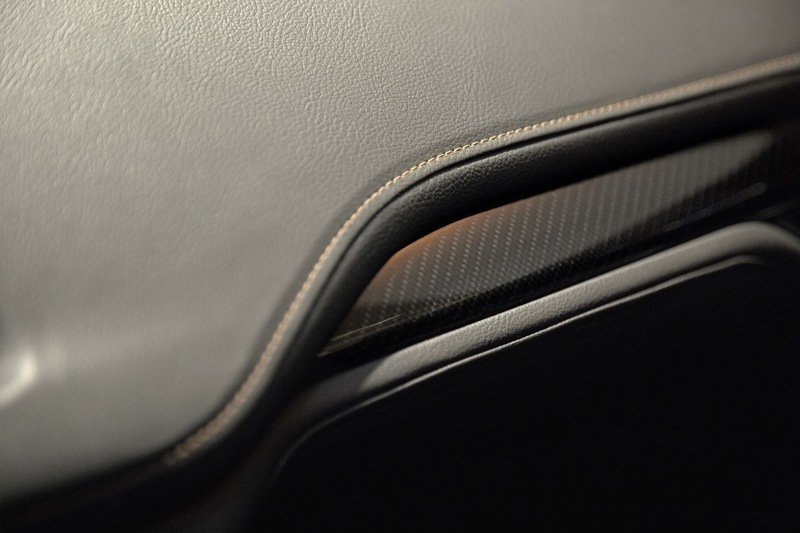 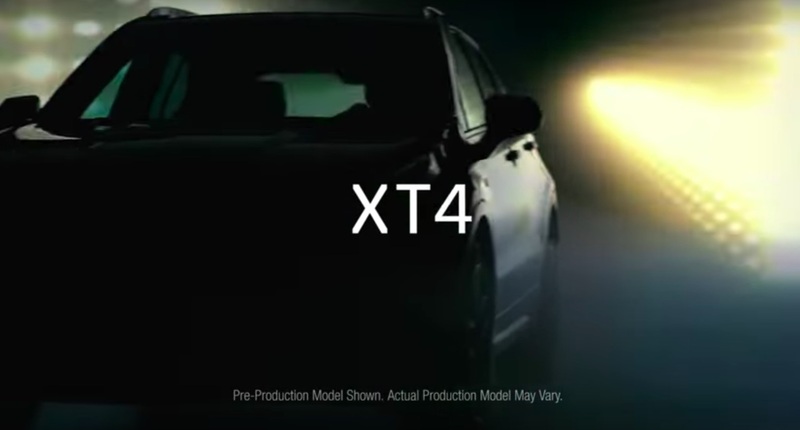 The page also contains a play button that launches the same 30-second ad that initially teased the XT4 during the 2018 Oscars ceremony. 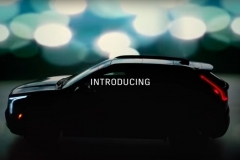 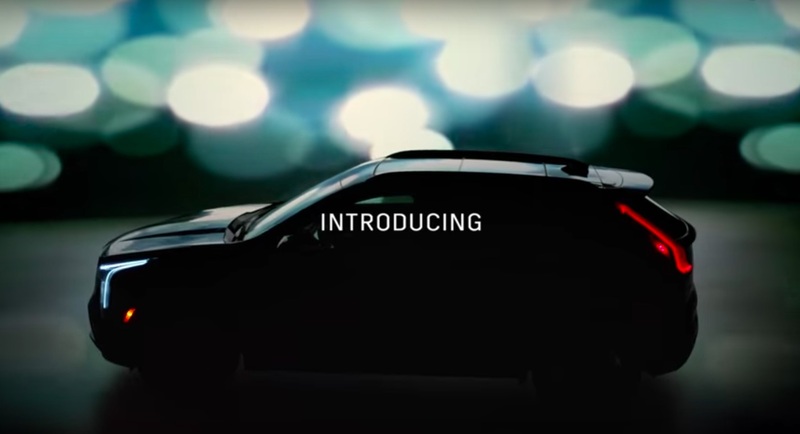 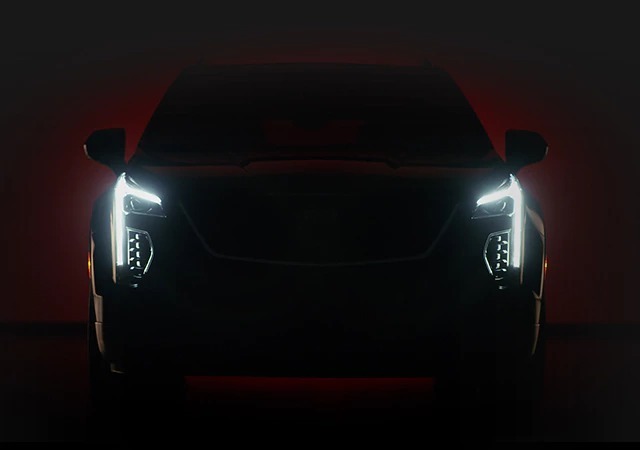 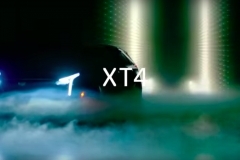 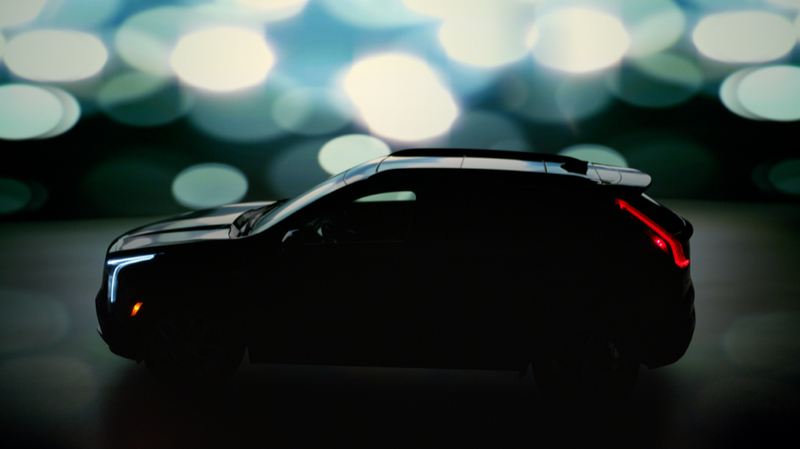 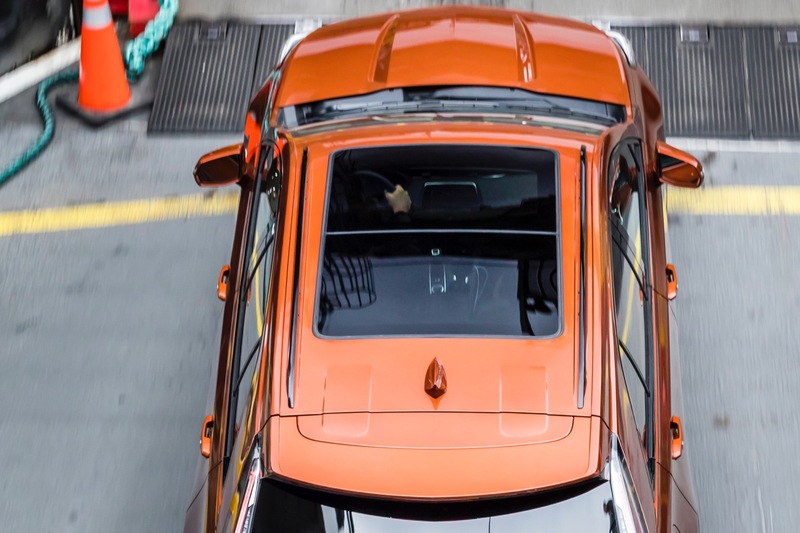 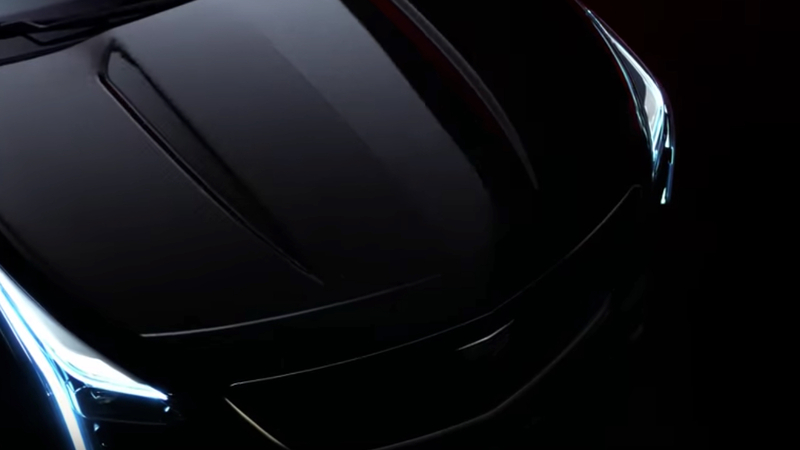 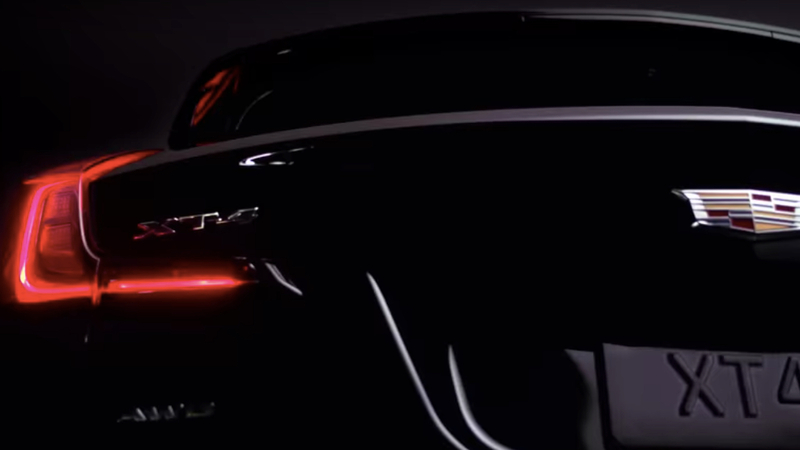 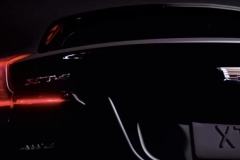 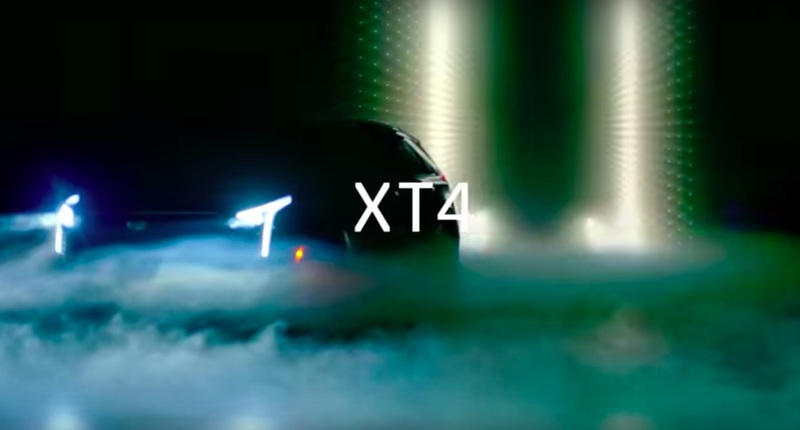 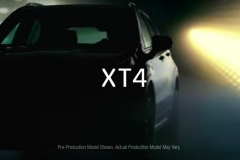 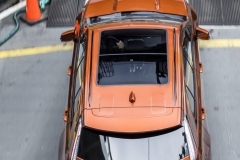 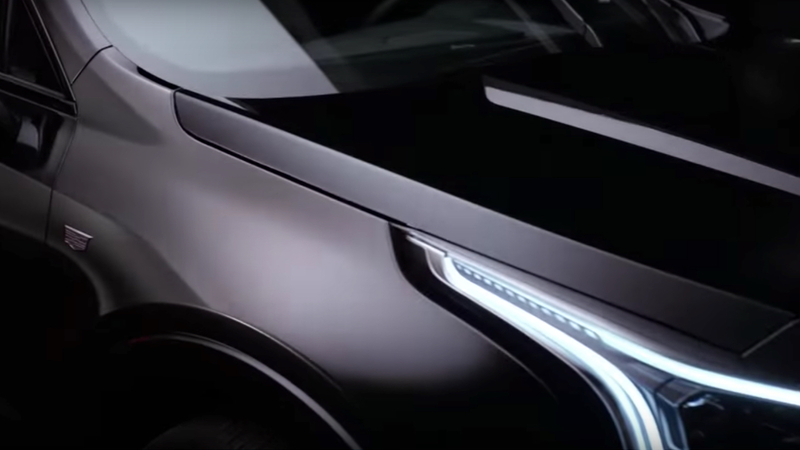 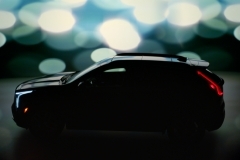 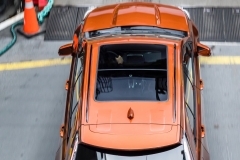 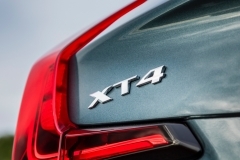 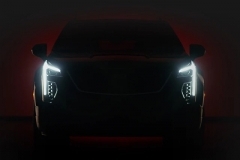 As for the main attraction, the teaser image shows a silhouette of the XT4’s front end. 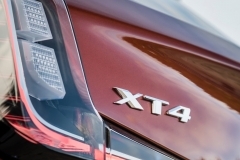 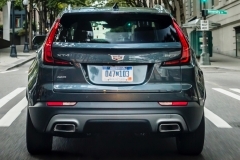 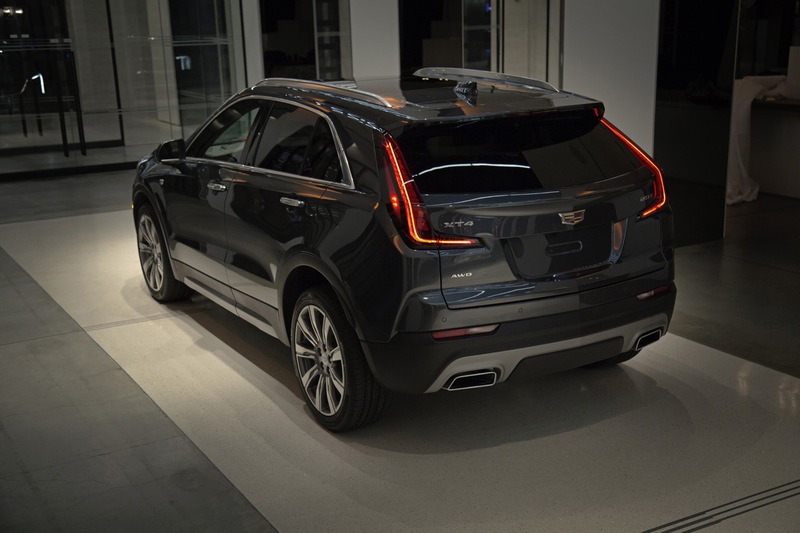 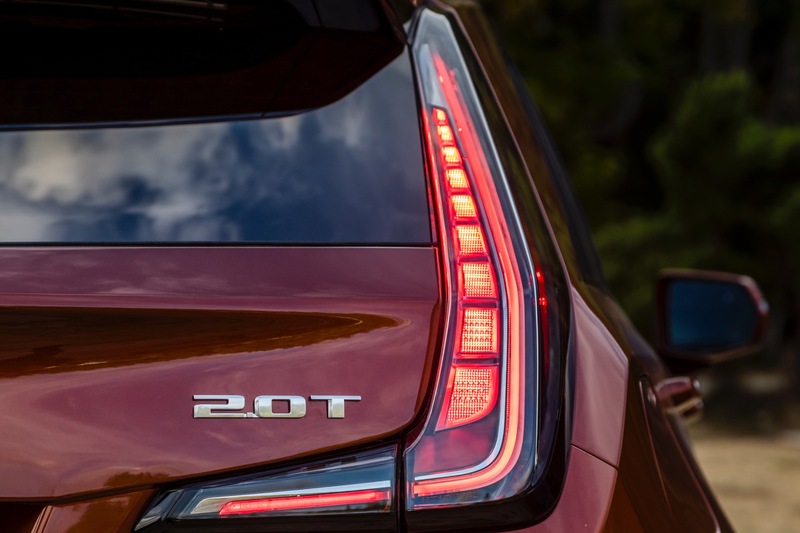 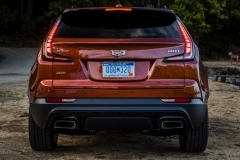 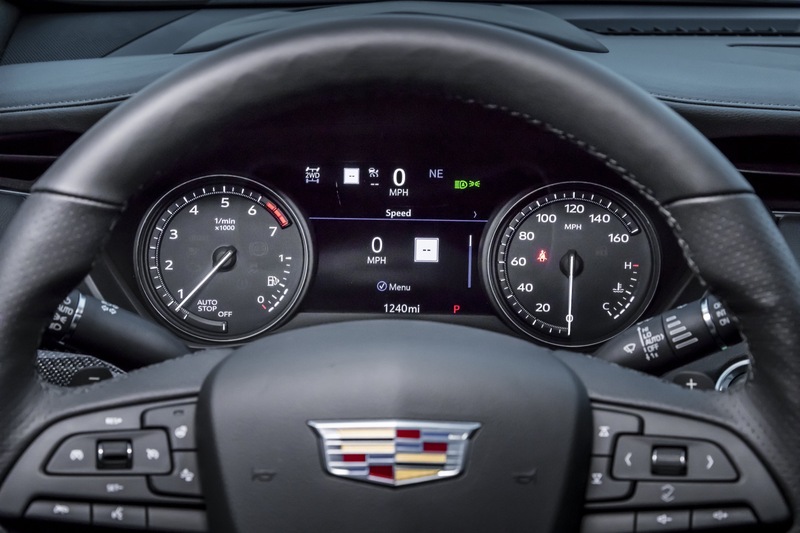 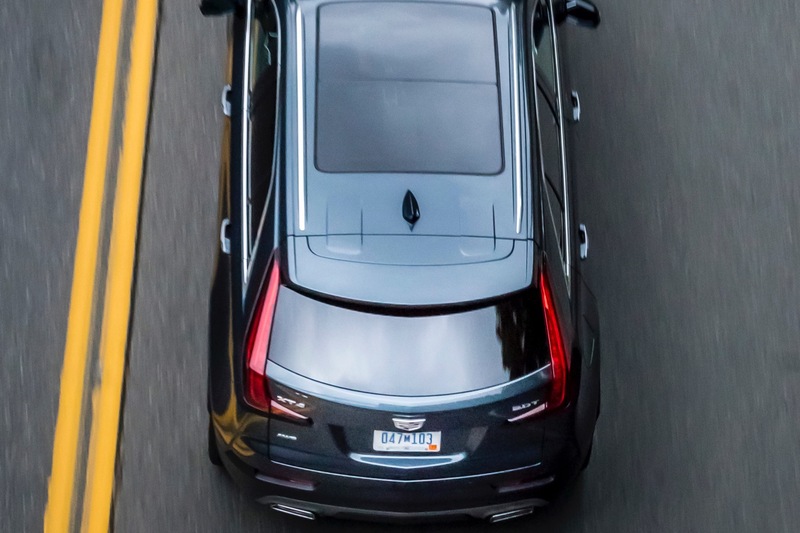 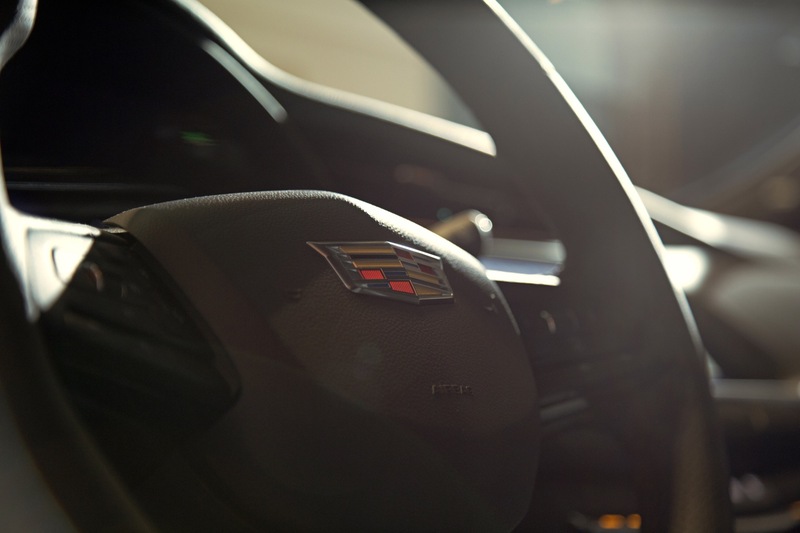 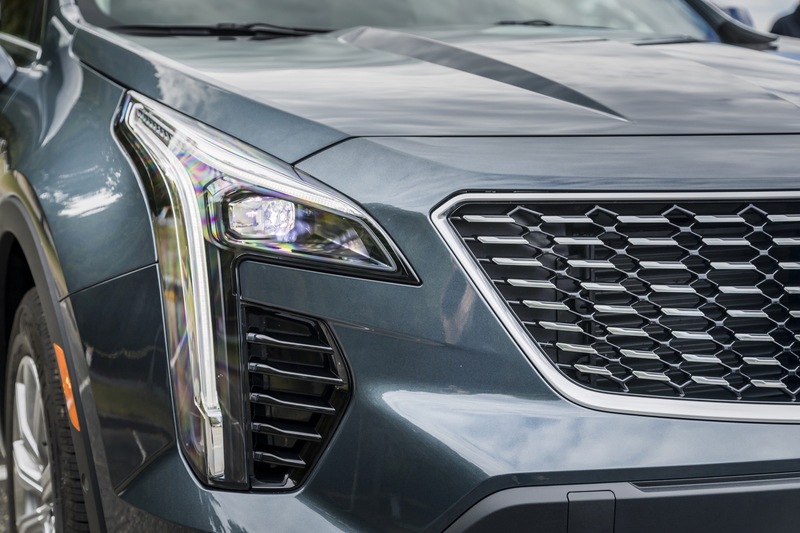 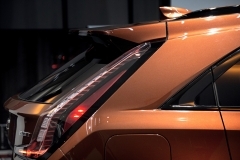 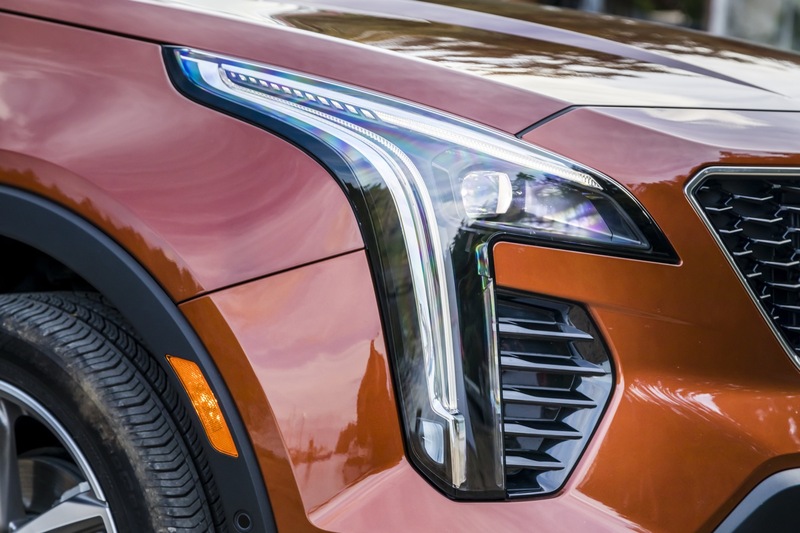 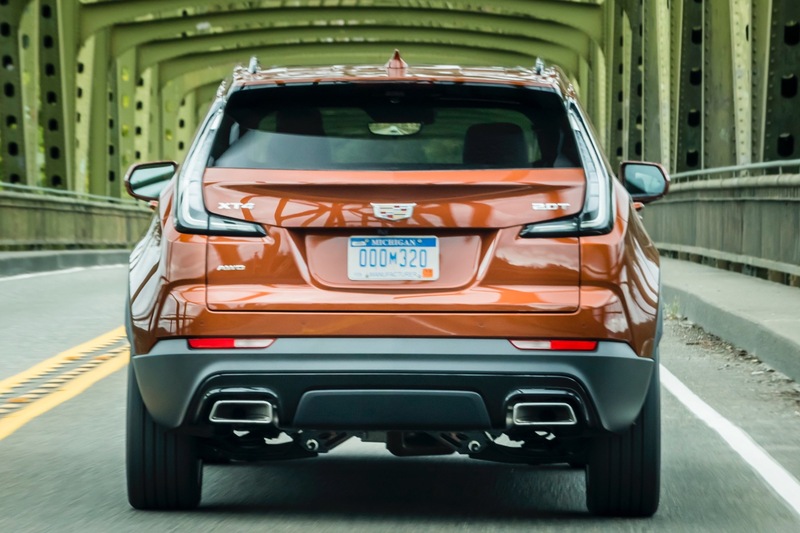 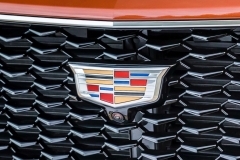 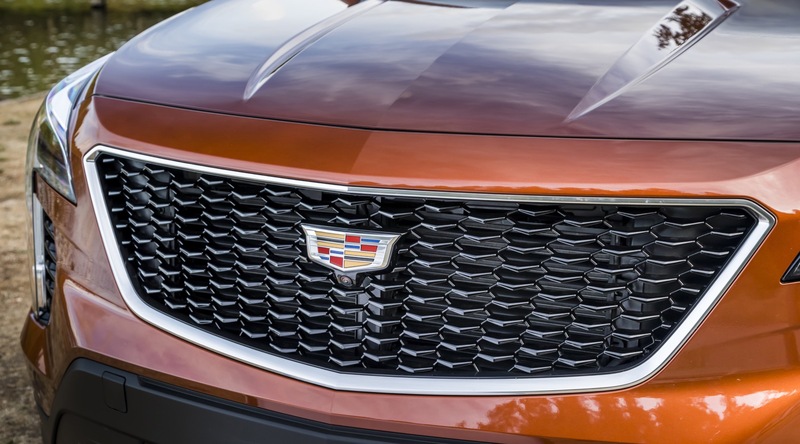 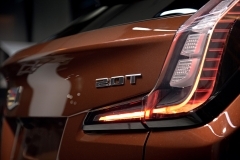 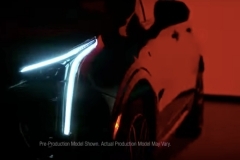 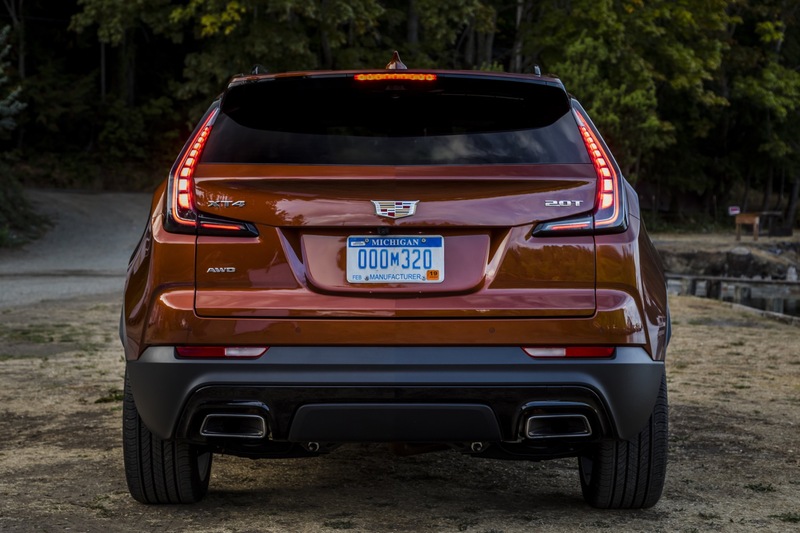 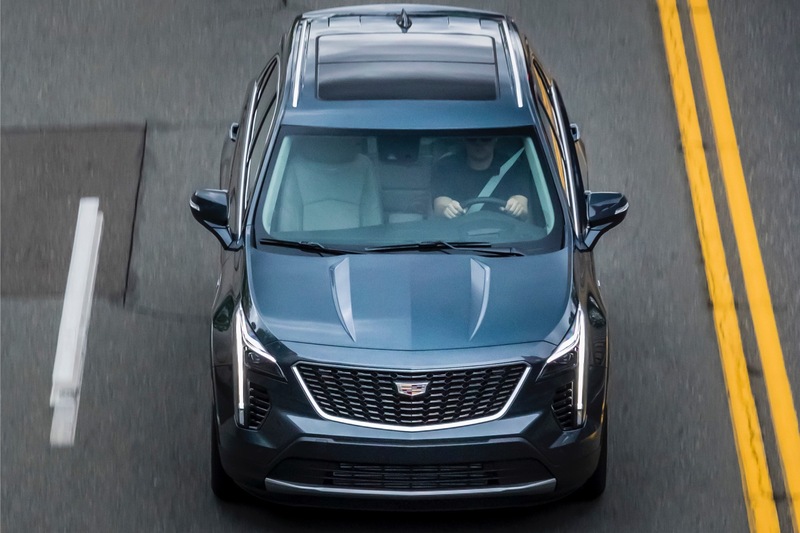 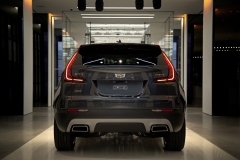 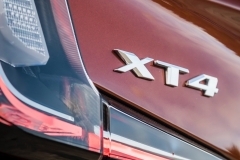 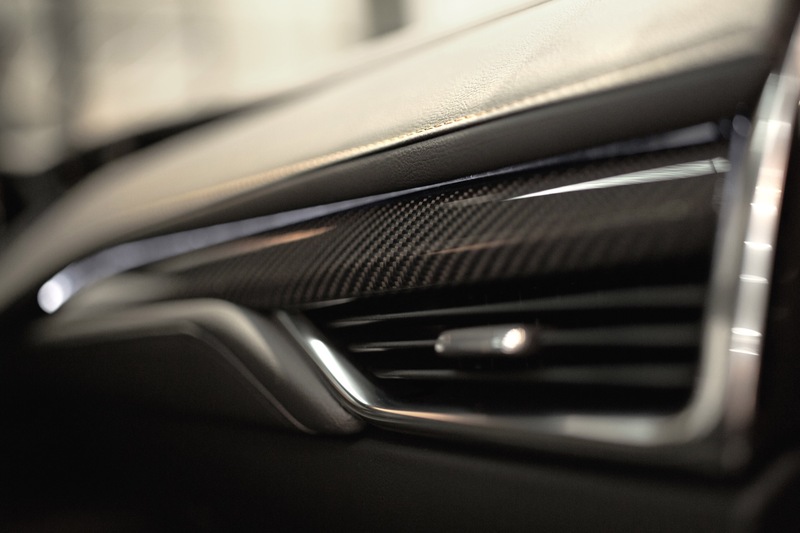 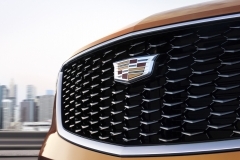 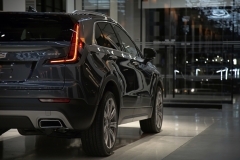 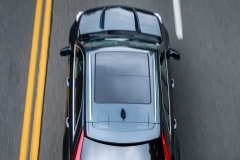 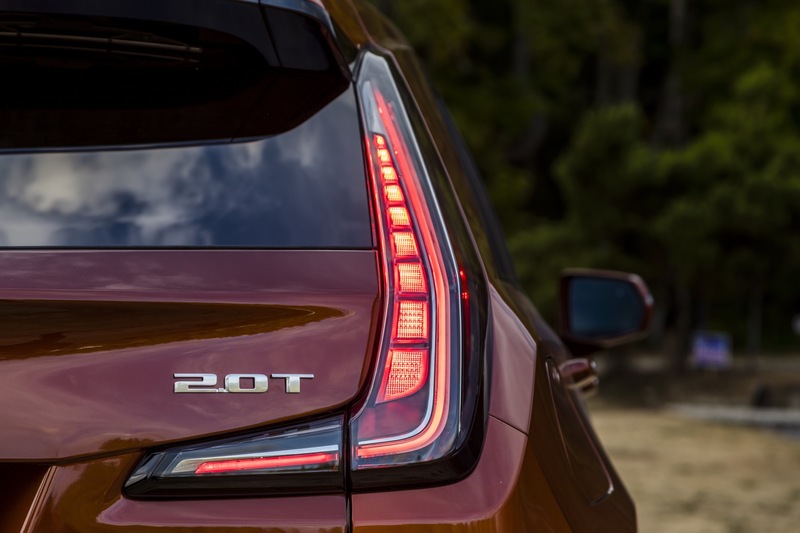 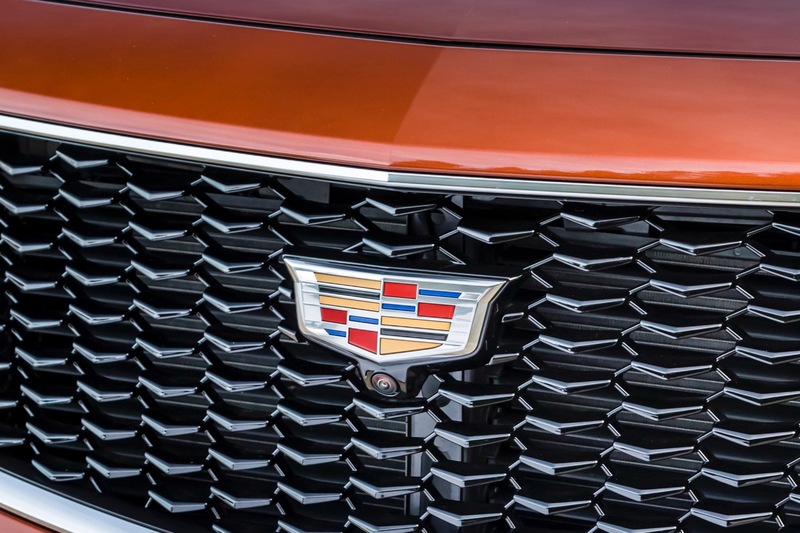 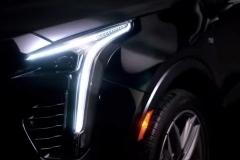 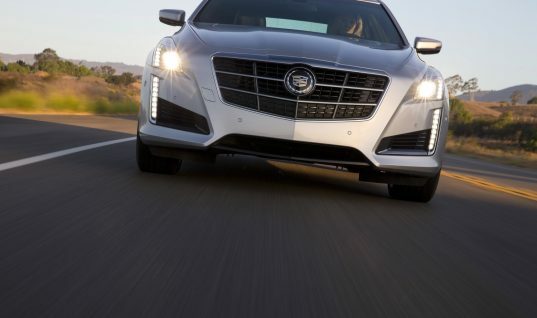 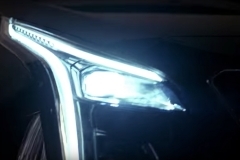 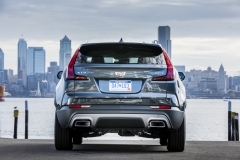 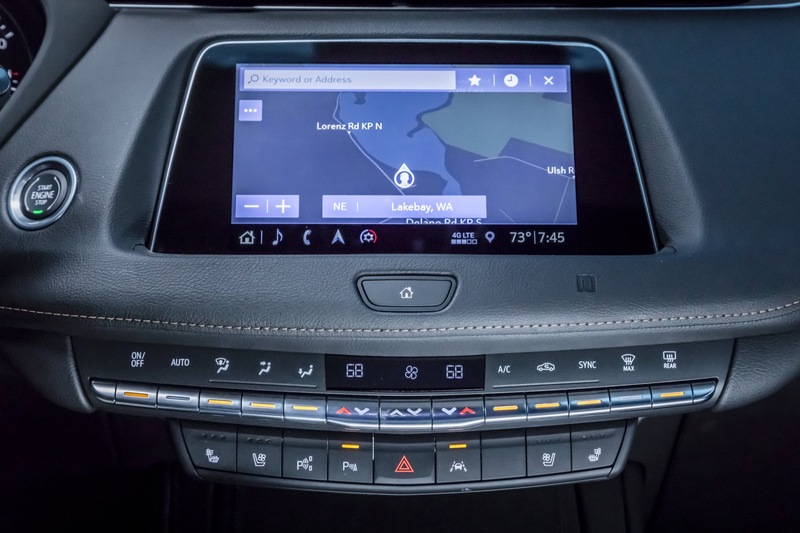 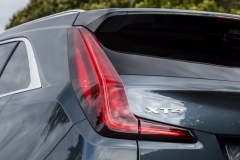 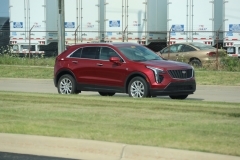 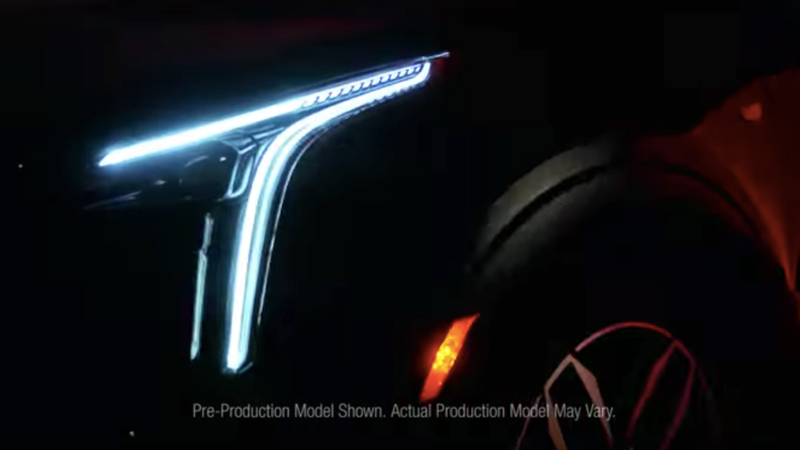 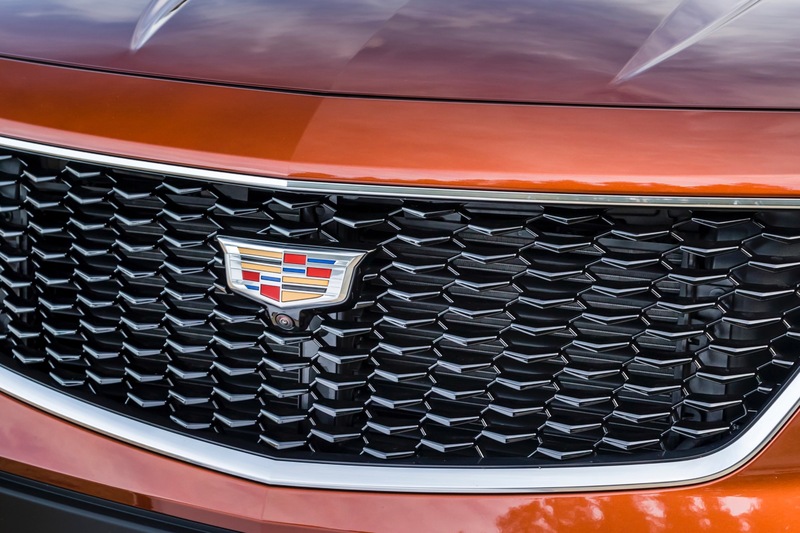 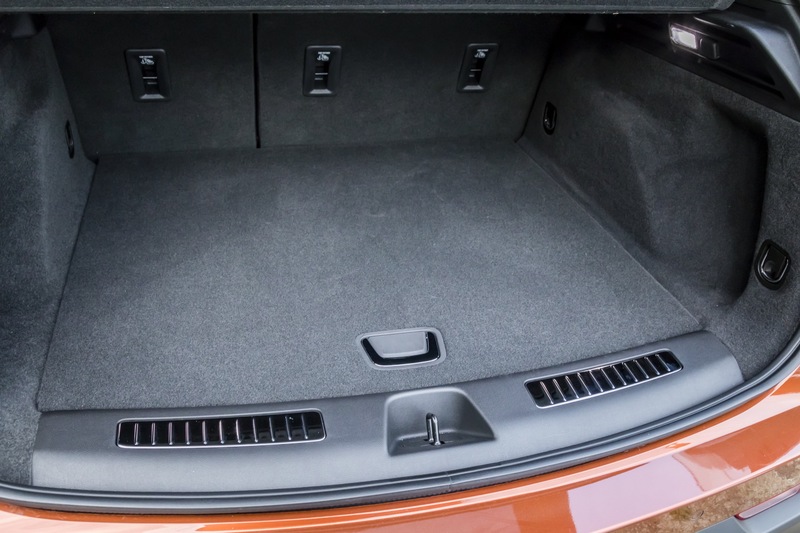 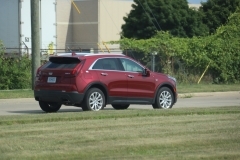 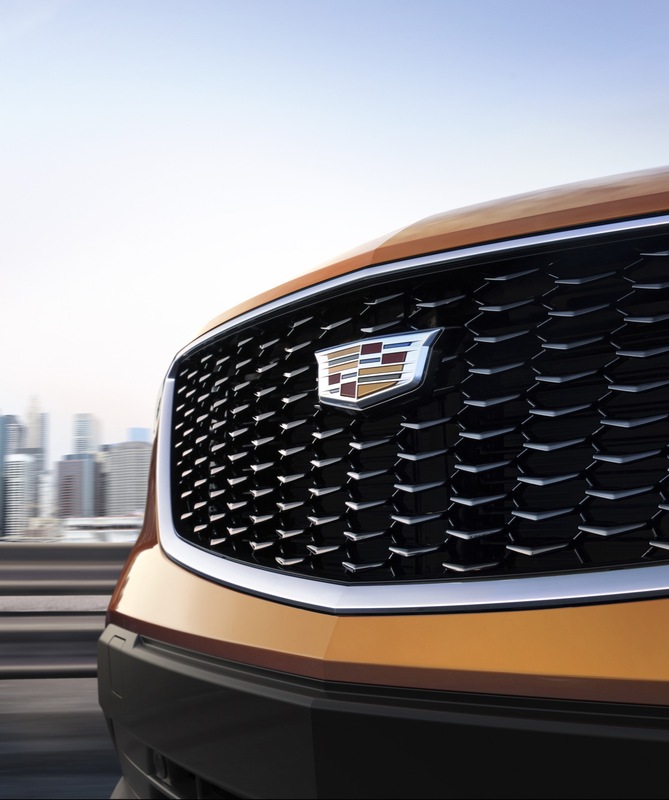 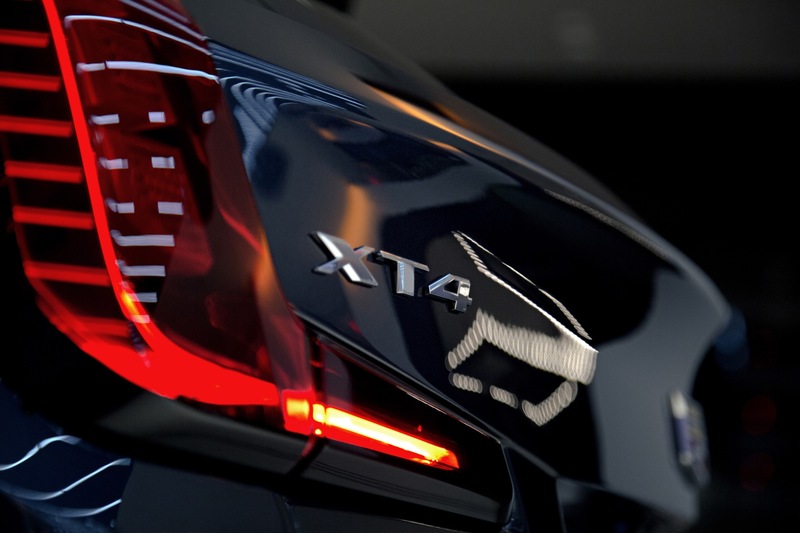 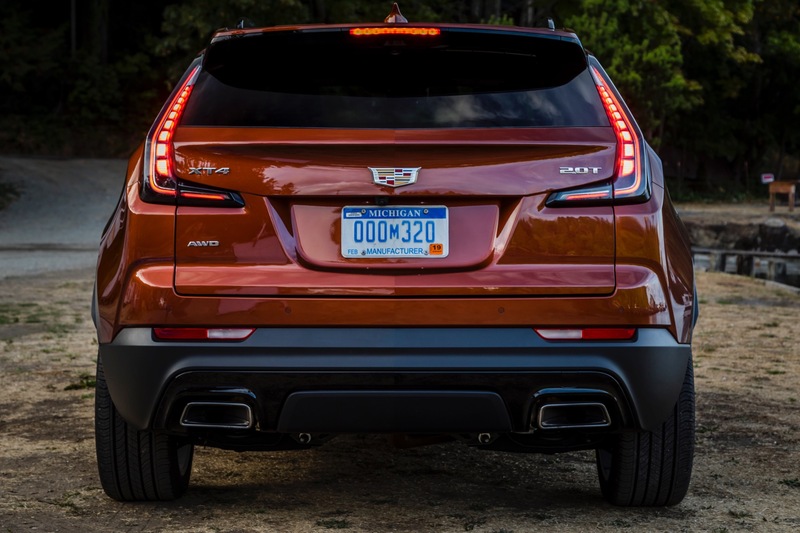 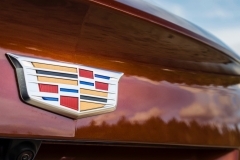 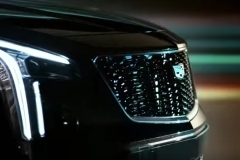 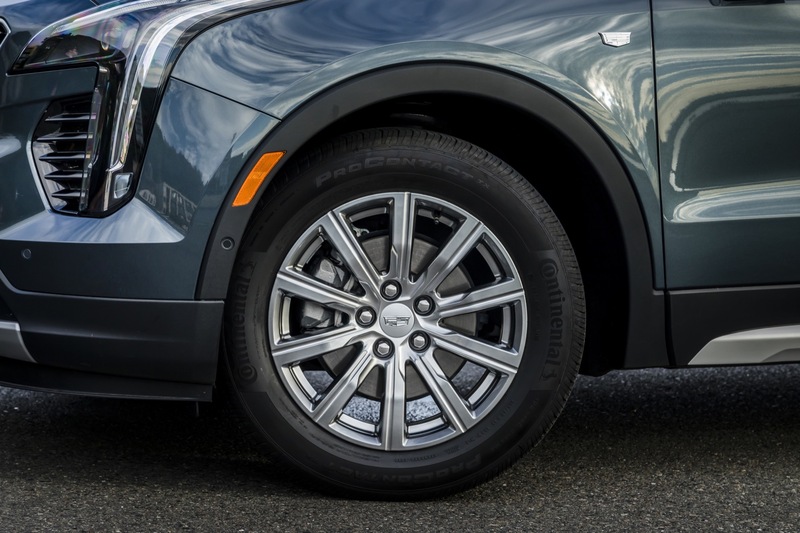 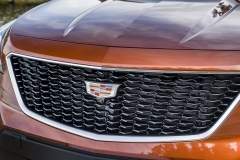 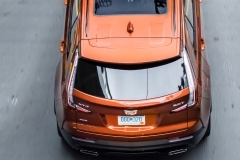 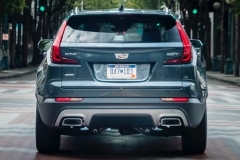 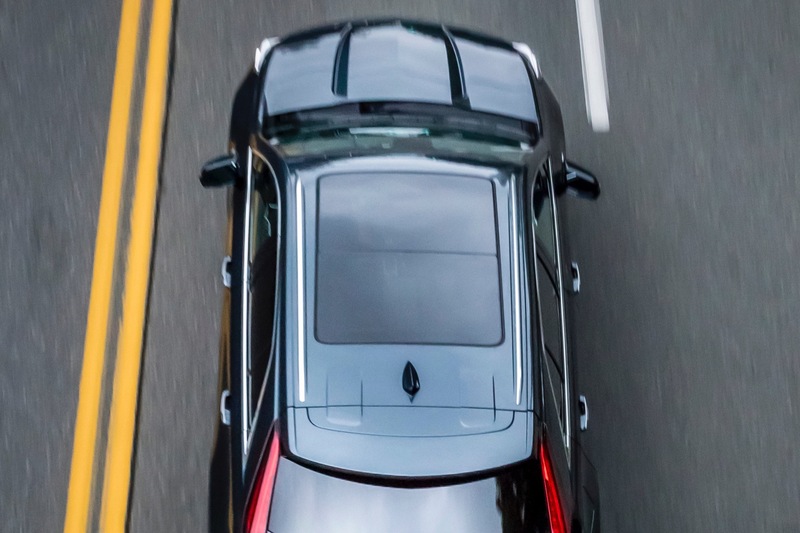 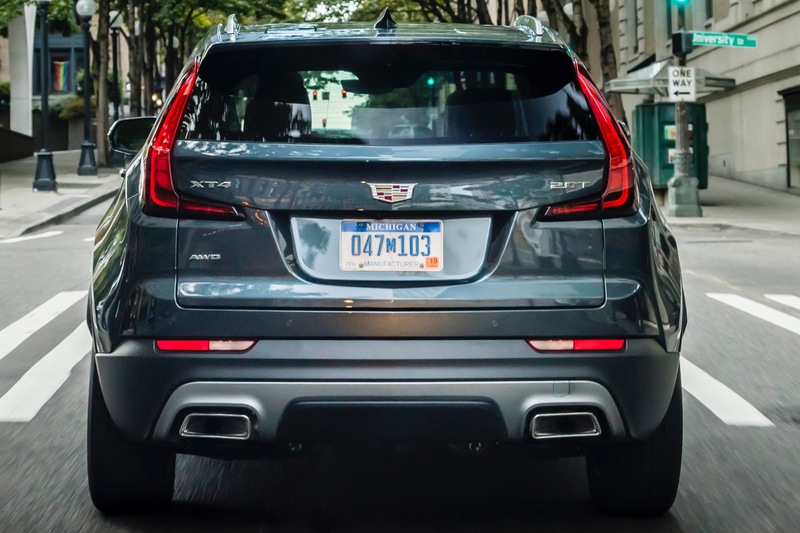 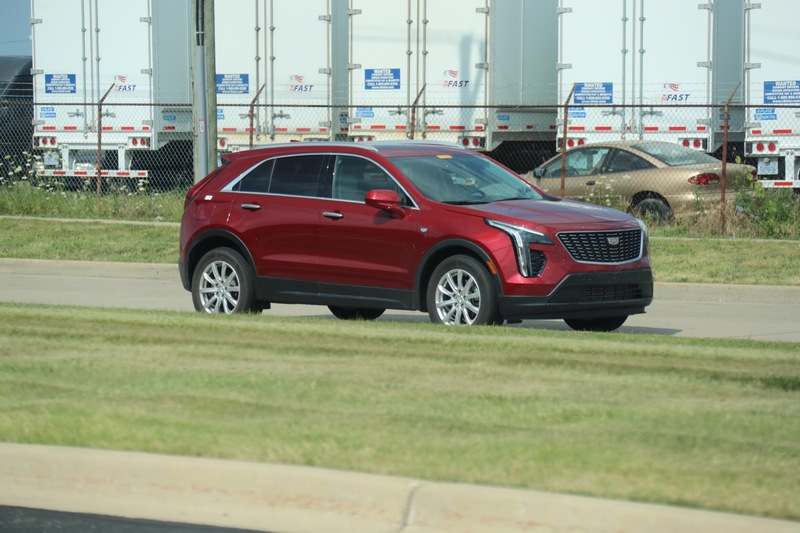 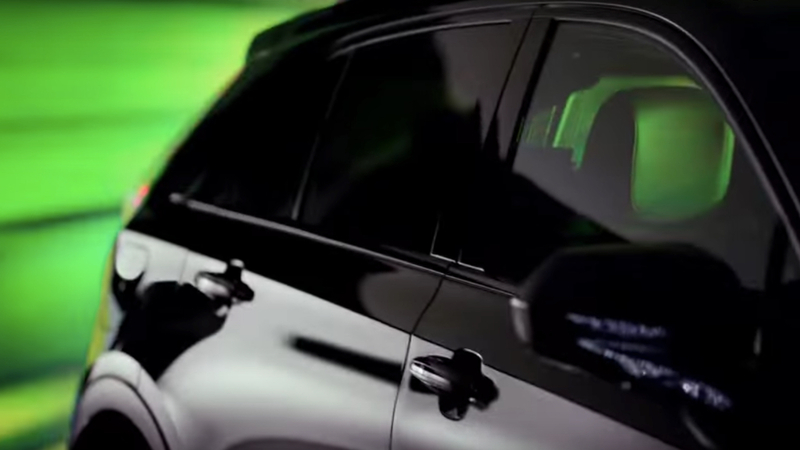 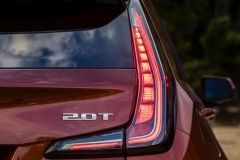 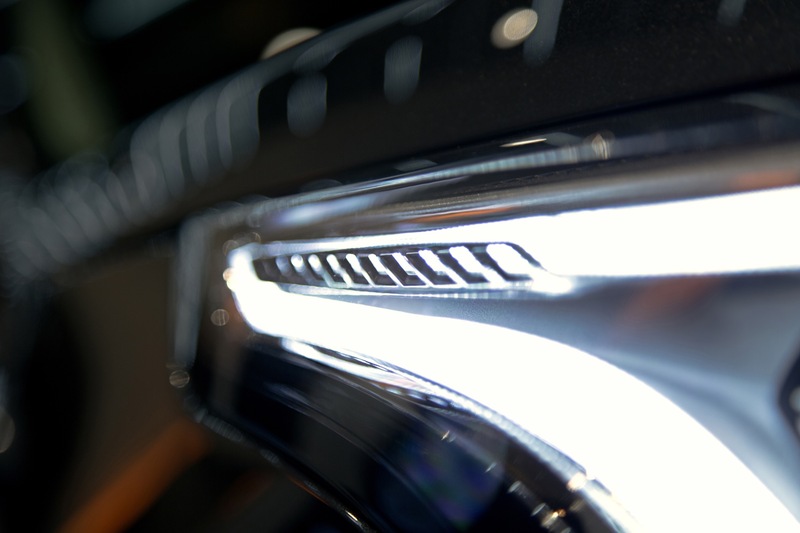 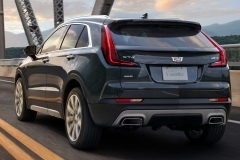 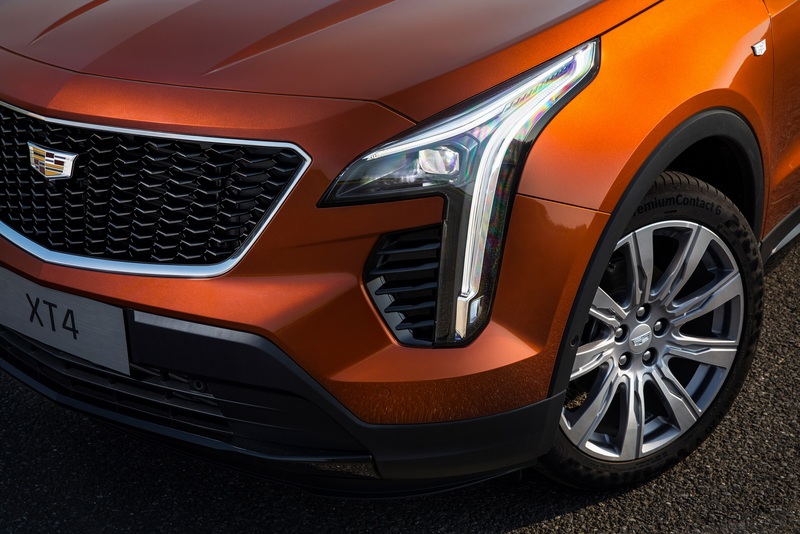 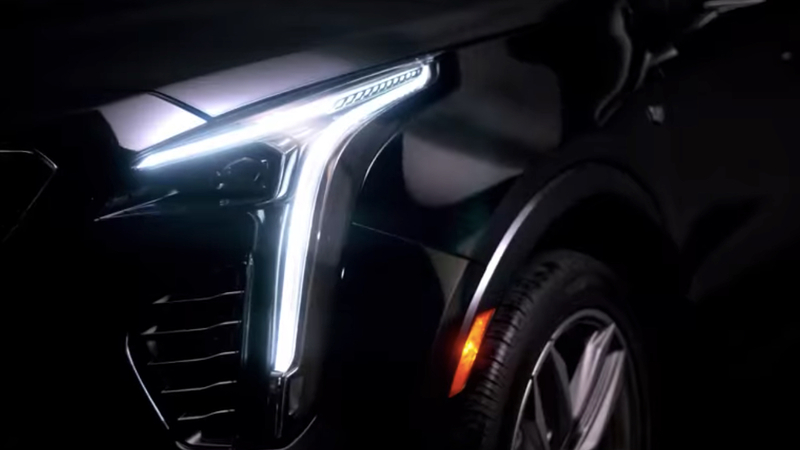 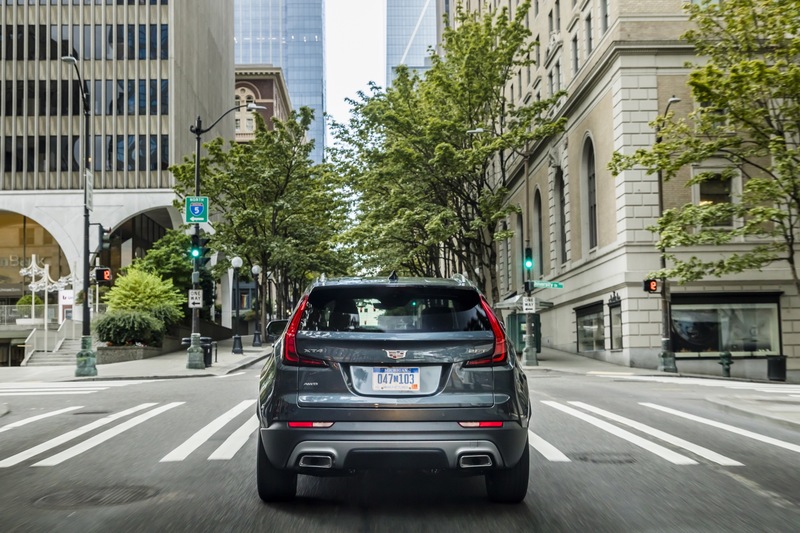 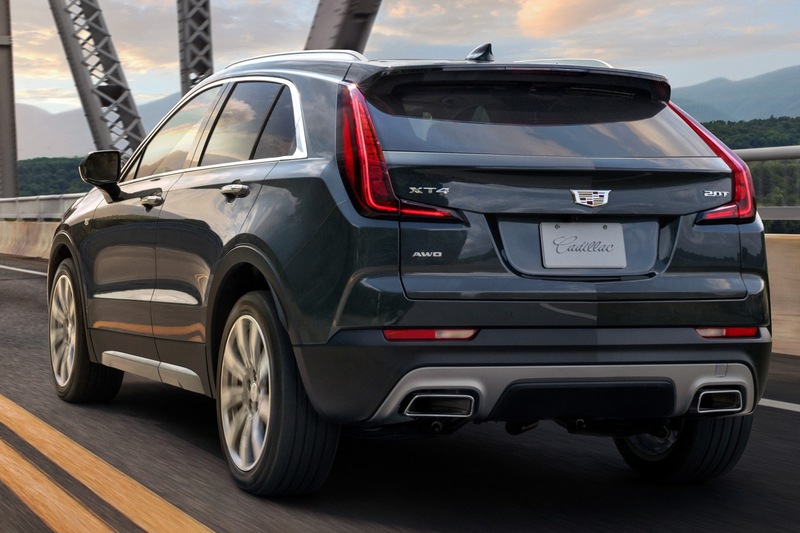 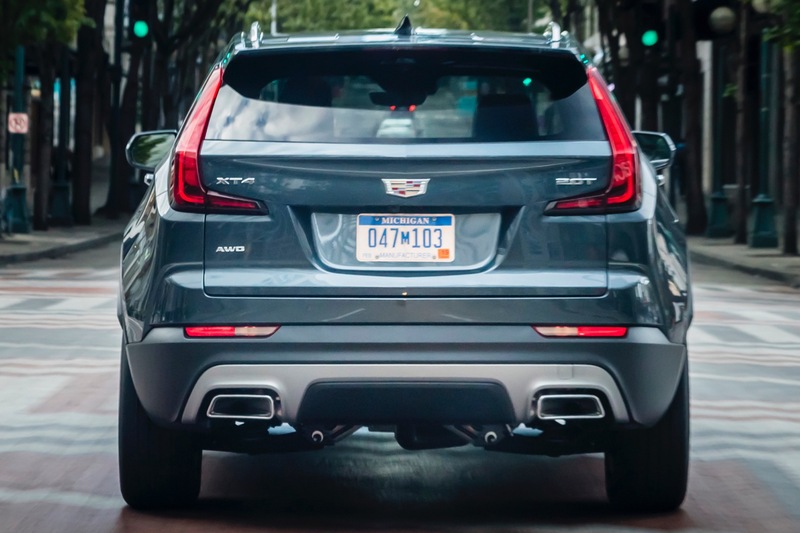 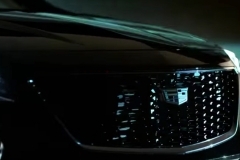 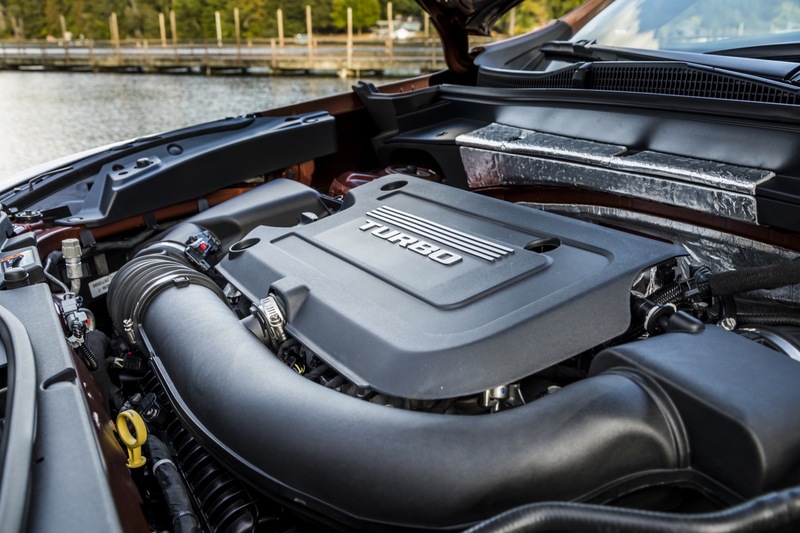 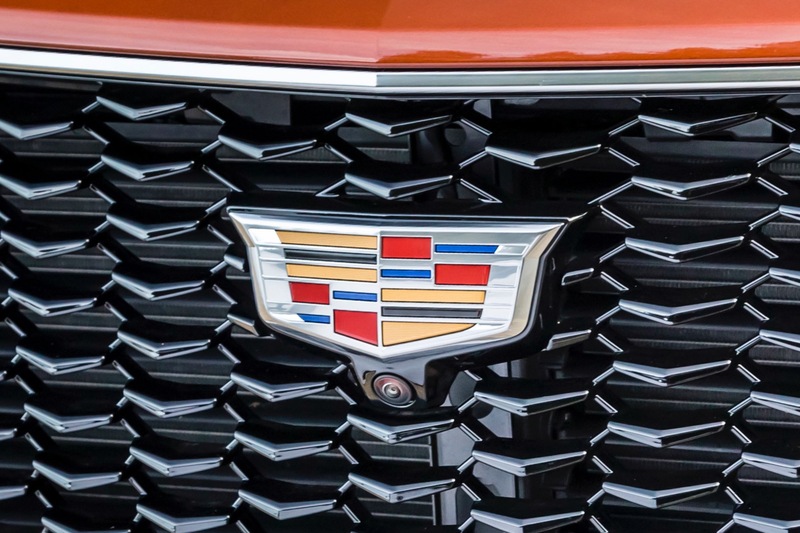 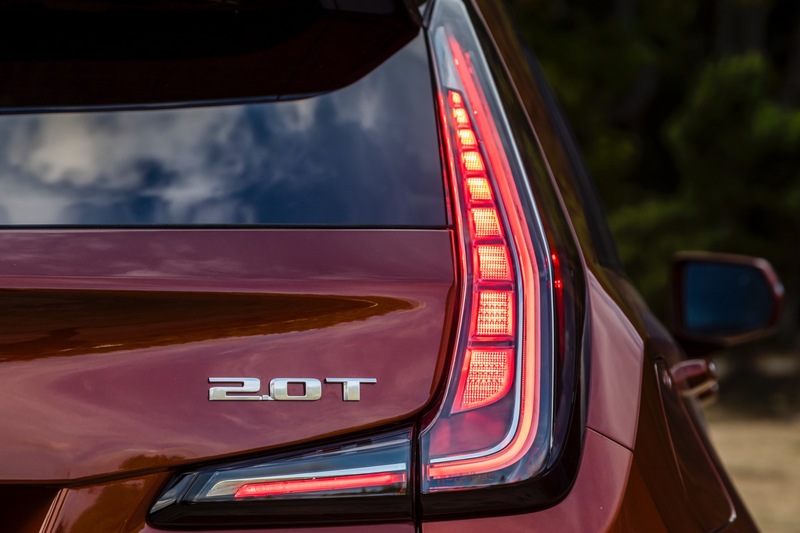 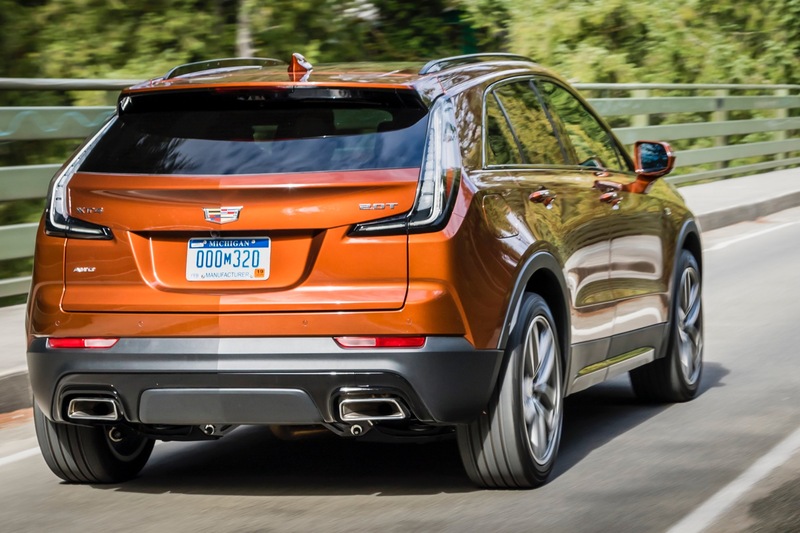 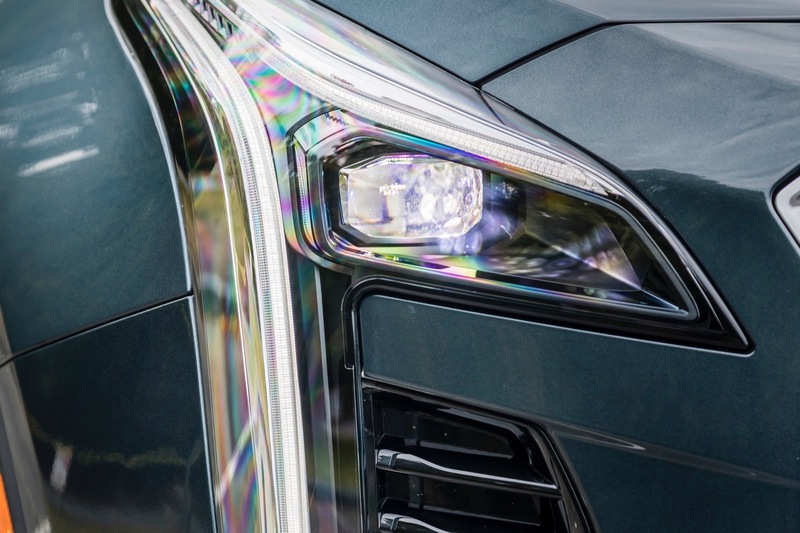 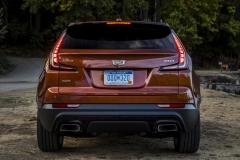 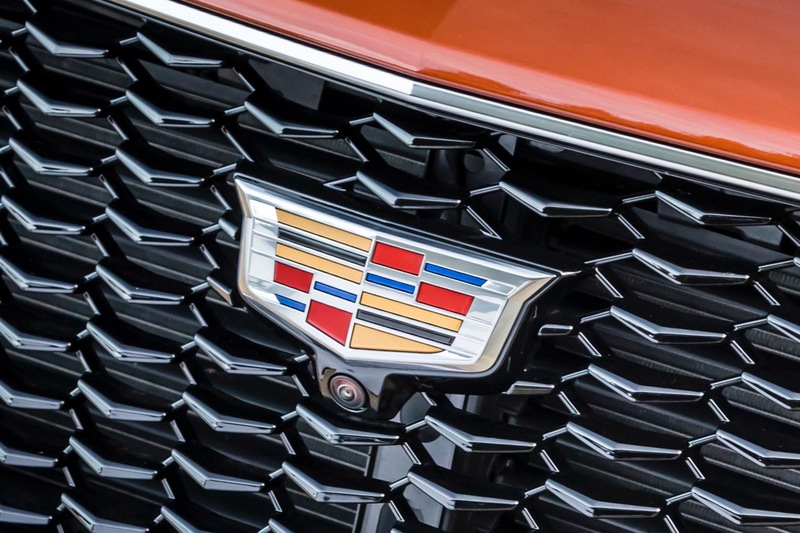 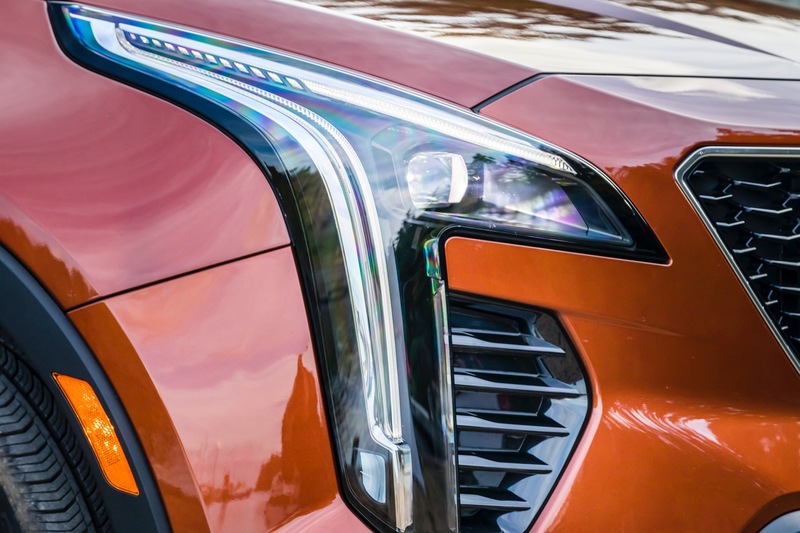 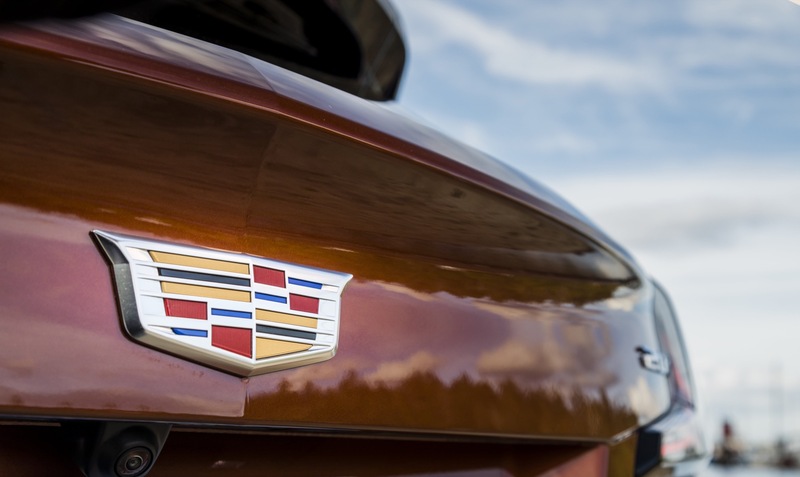 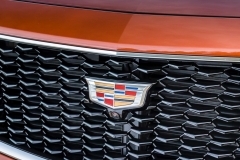 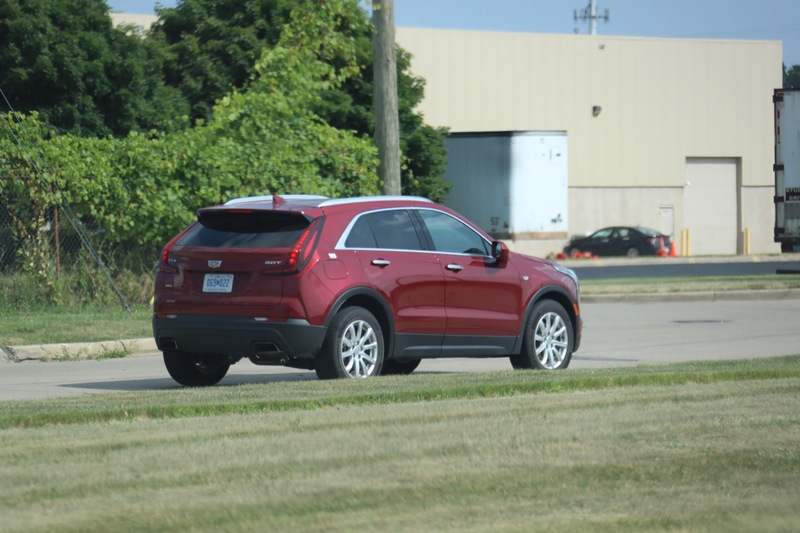 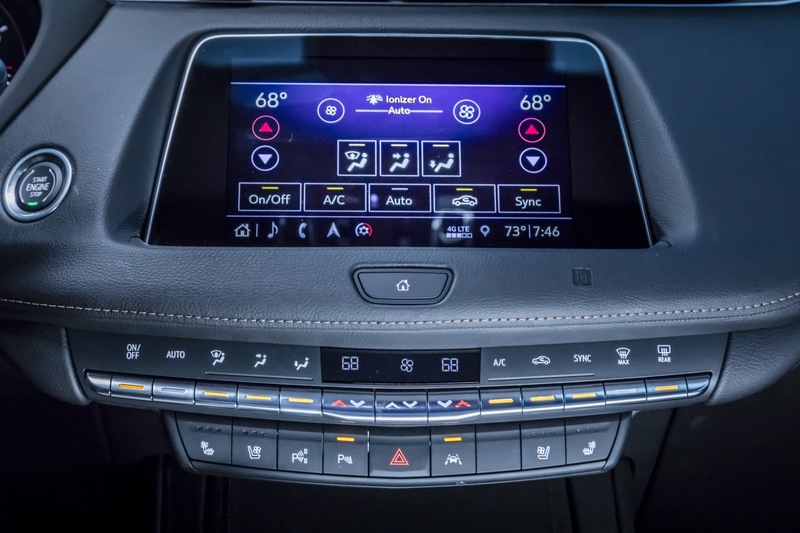 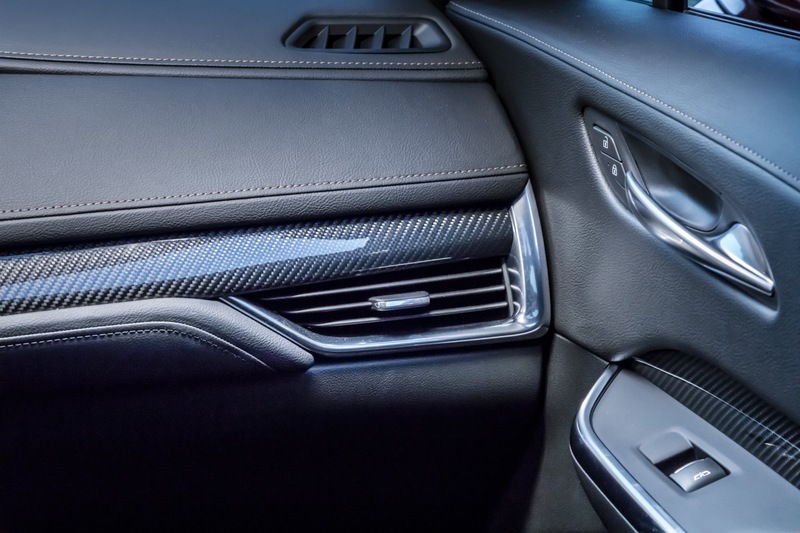 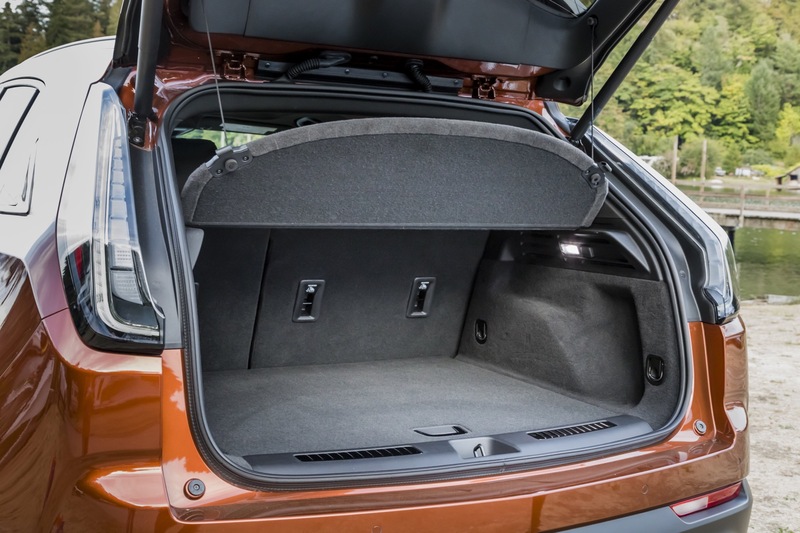 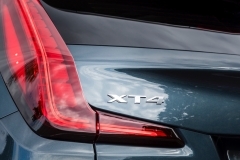 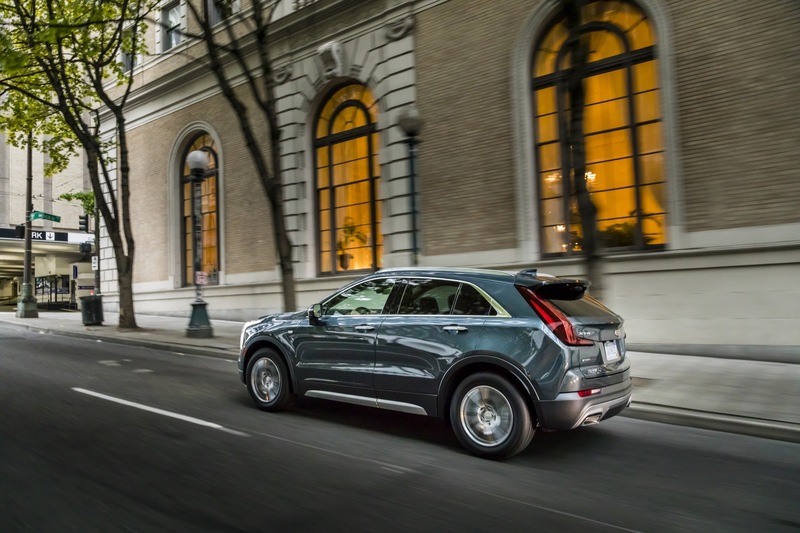 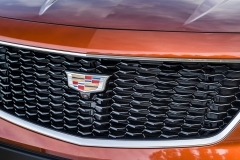 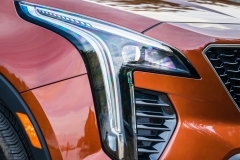 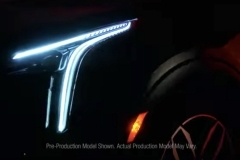 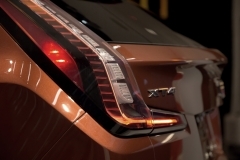 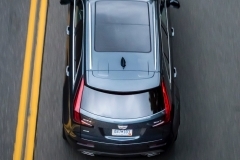 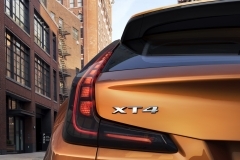 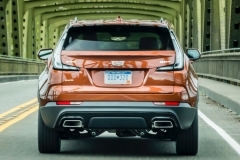 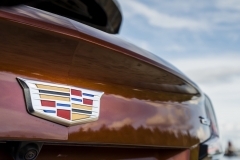 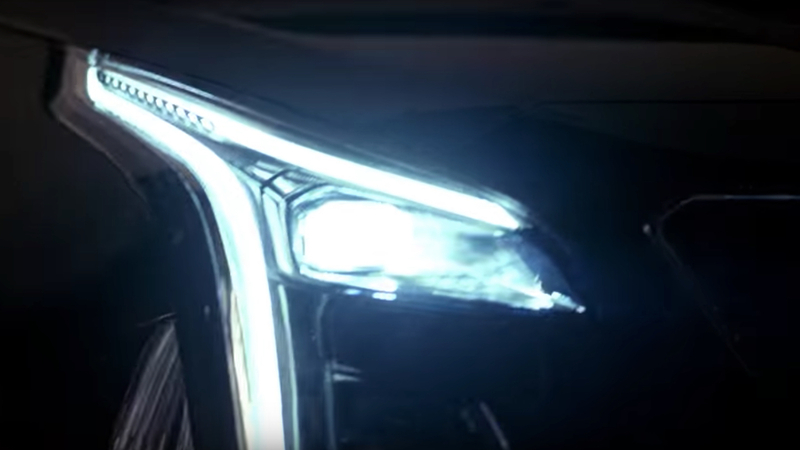 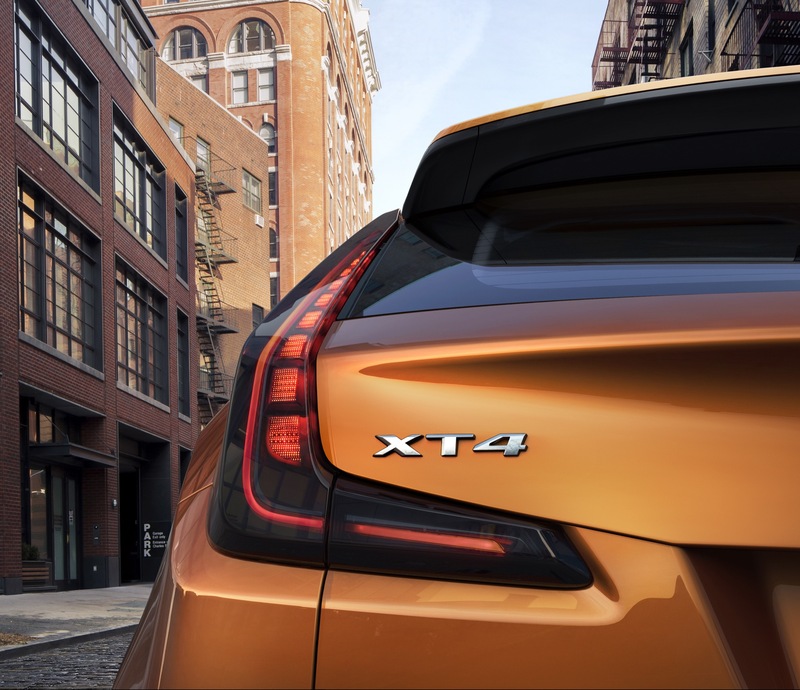 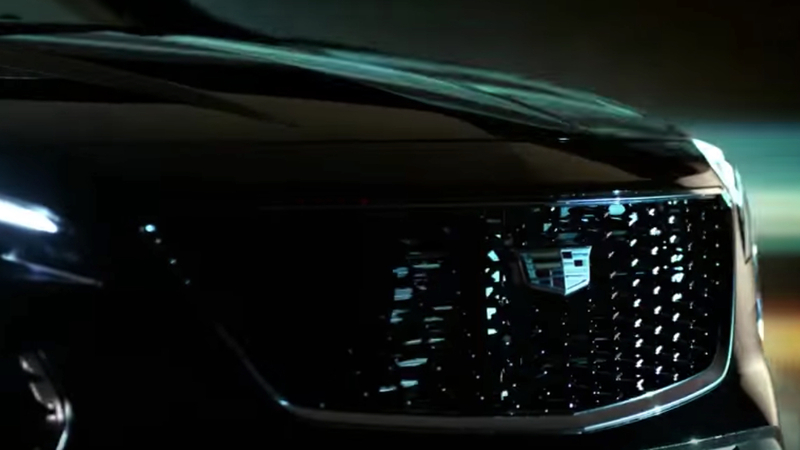 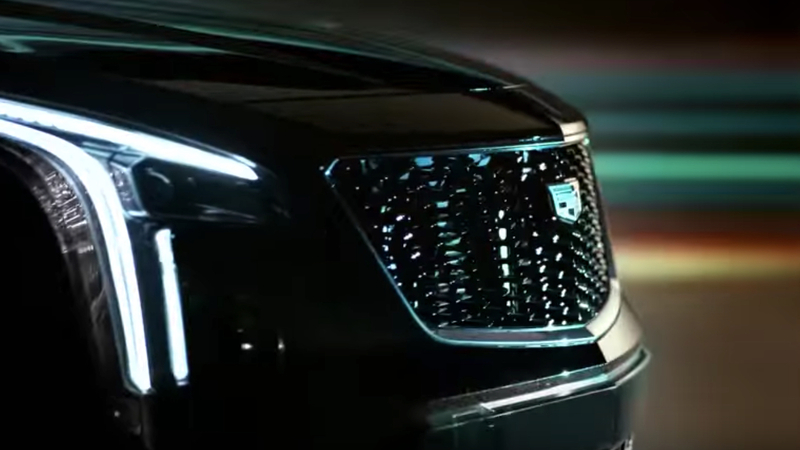 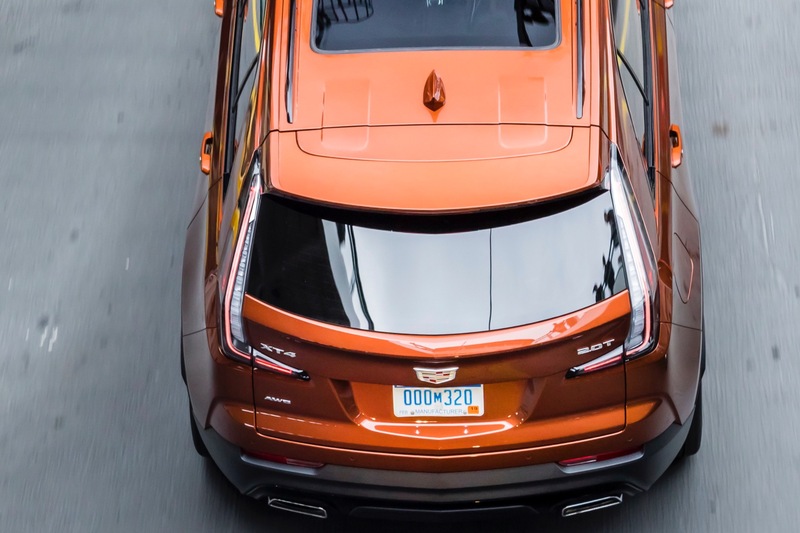 The most prominent feature are the LED front accent lights, which in the XT4 add a horizontal light pipe to the vertical portion seen on current Cadillacs. 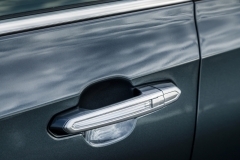 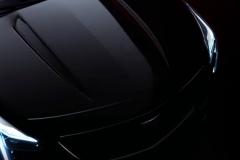 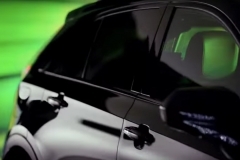 We can also clearly make out bottom-mounted wing mirrors and a new shield-like treatment for the front grille. 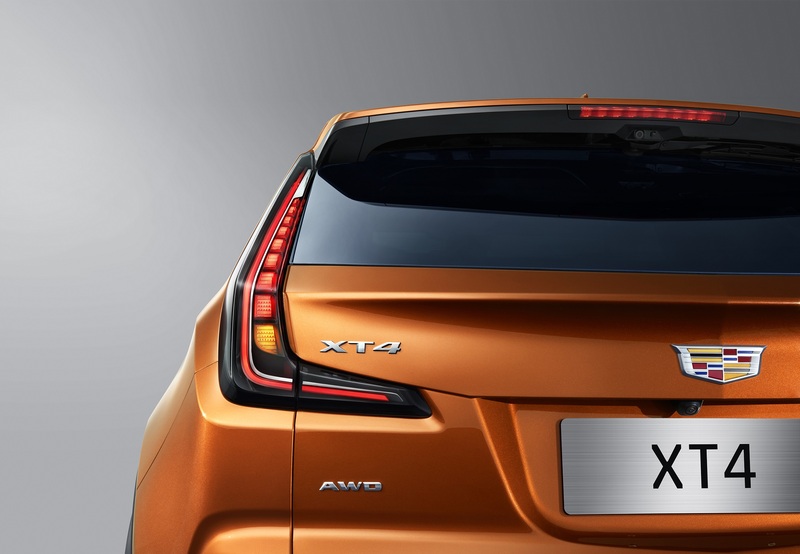 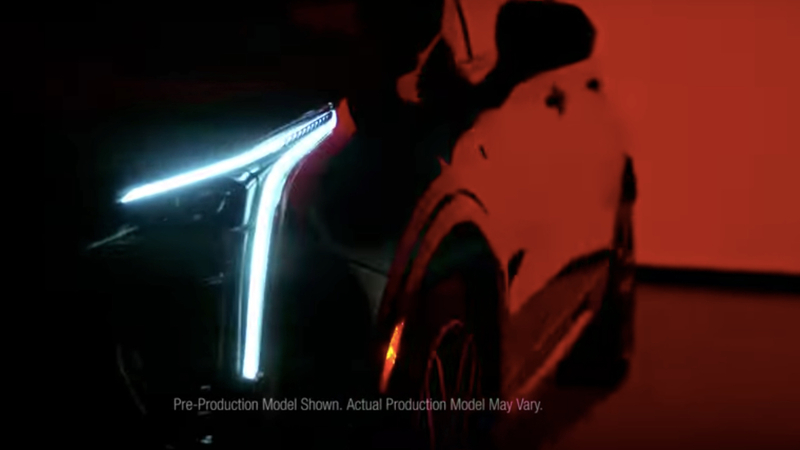 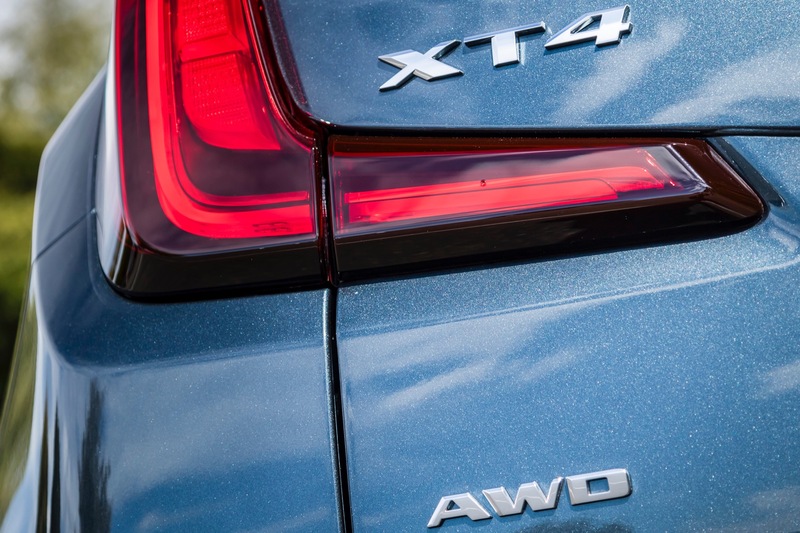 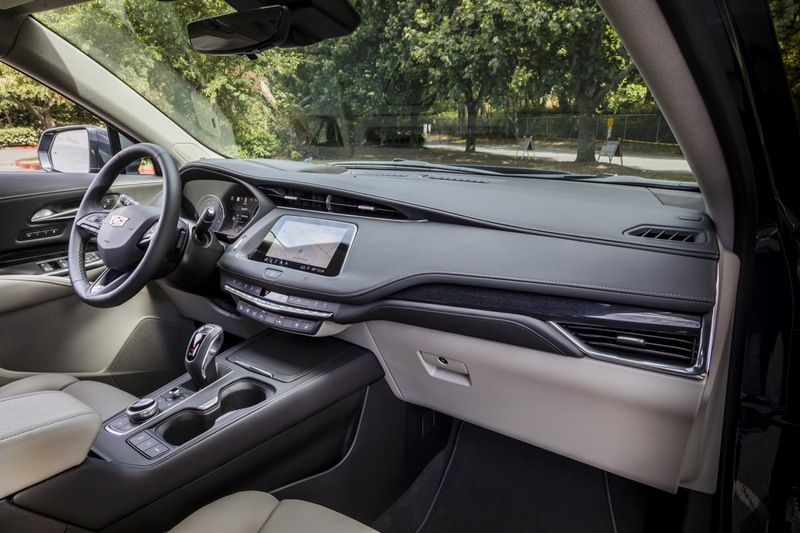 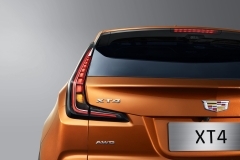 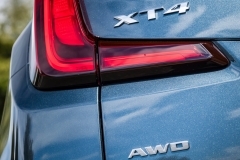 Both the front lights and mirrors are better seen in another image (above), which we scraped from the aforementioned XT4 ad. The Cadillac XT4 is an upcoming compact crossover that will slot under the midsize XT5 as Cadillac’s second crossover utility vehicle (CUV). 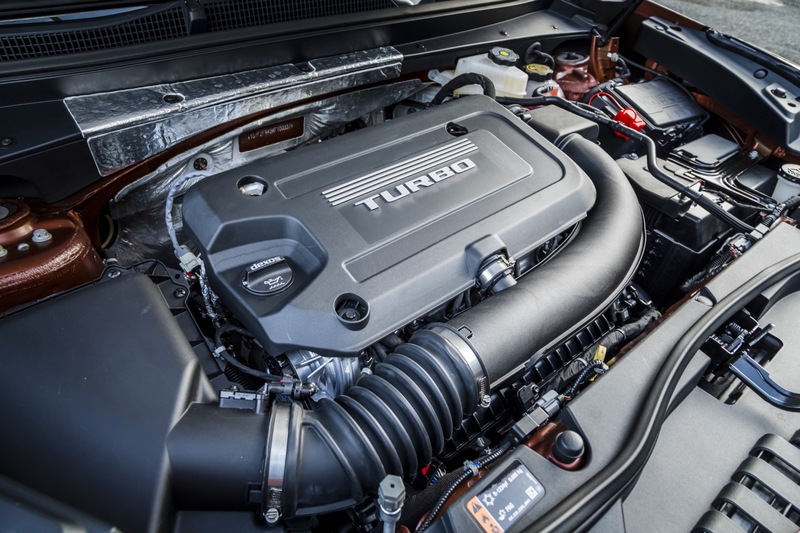 The XT4 will be underpinned by the front-drive-based E2 platform and will be produced at the Fairfax plant in Kansas City, Kansas. 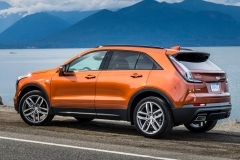 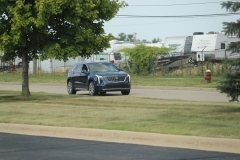 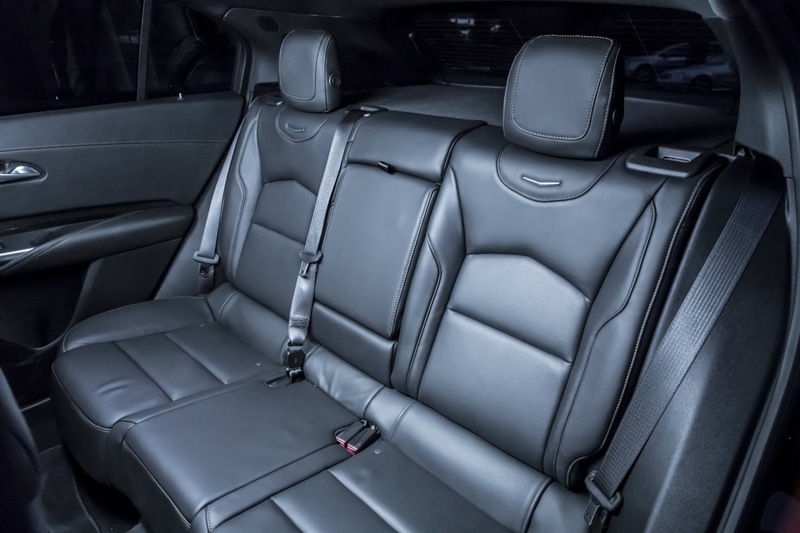 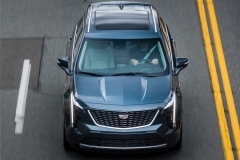 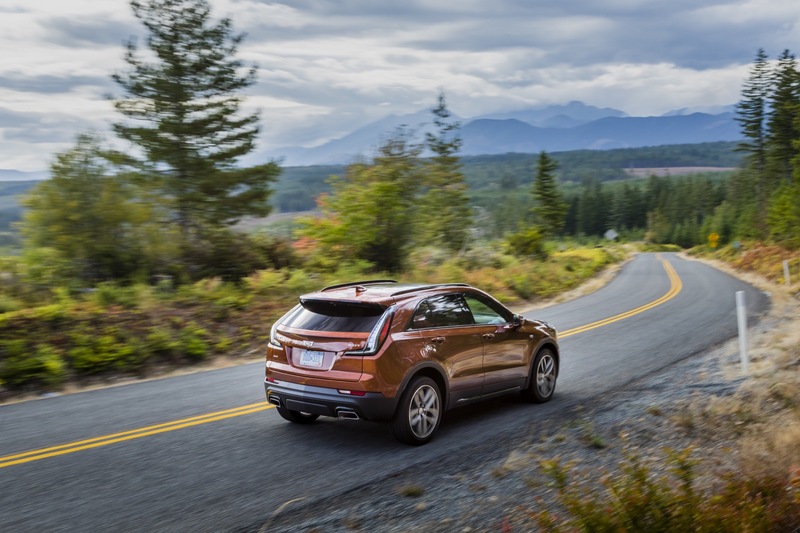 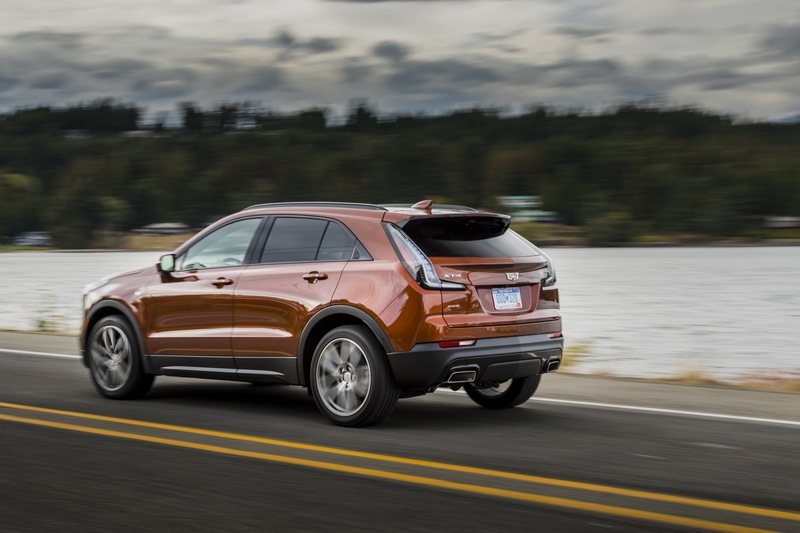 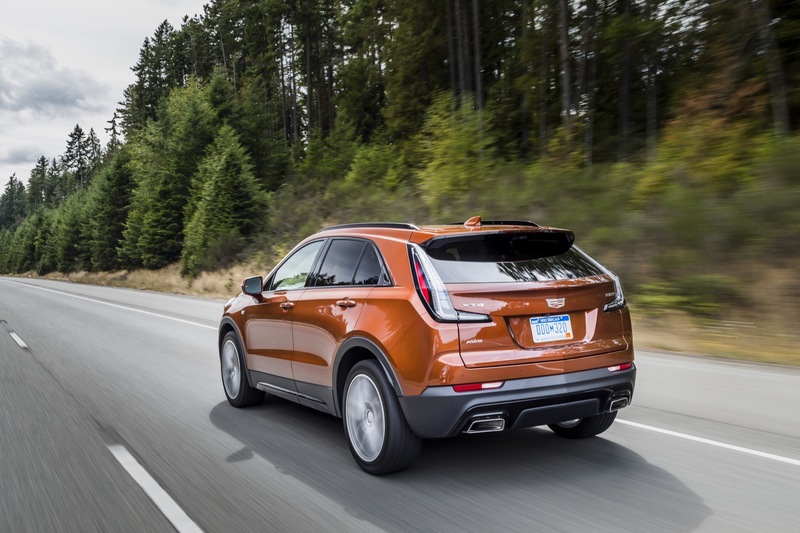 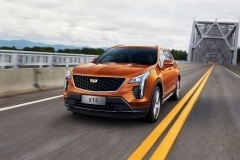 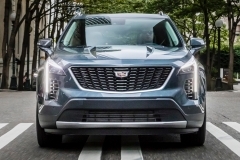 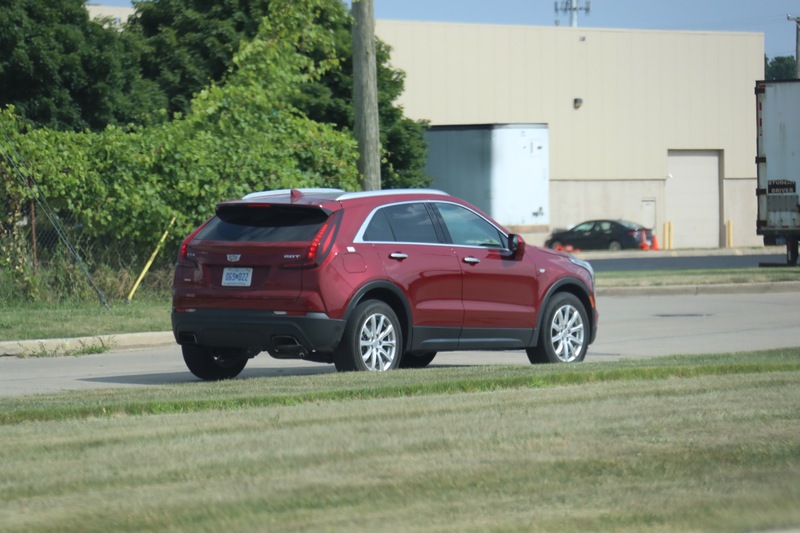 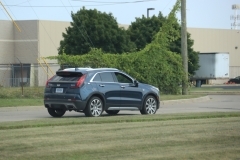 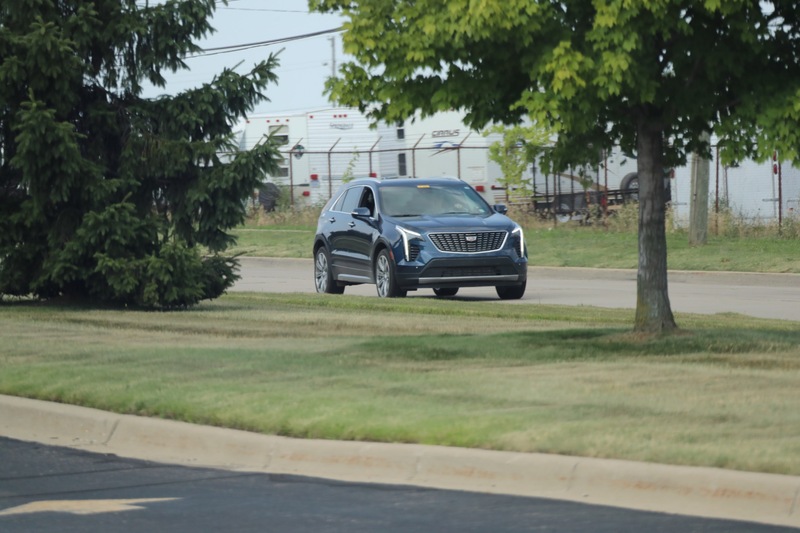 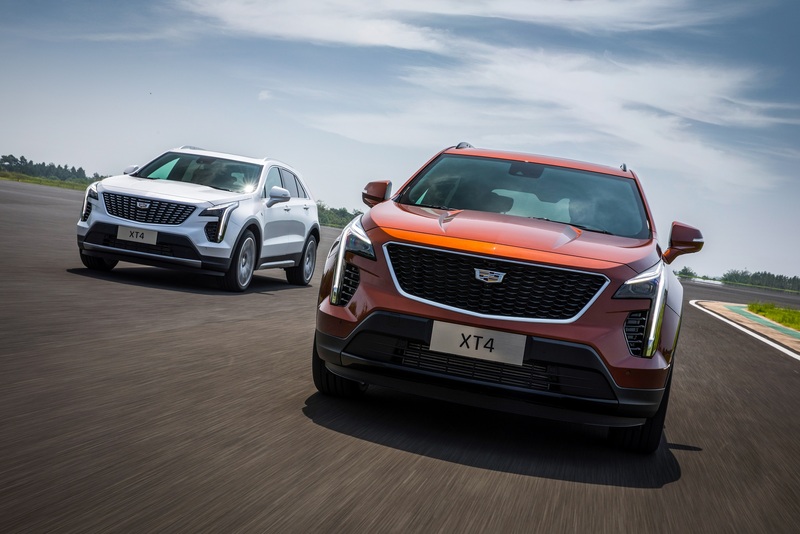 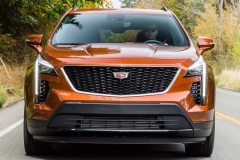 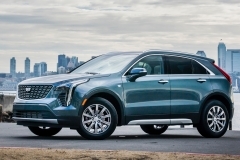 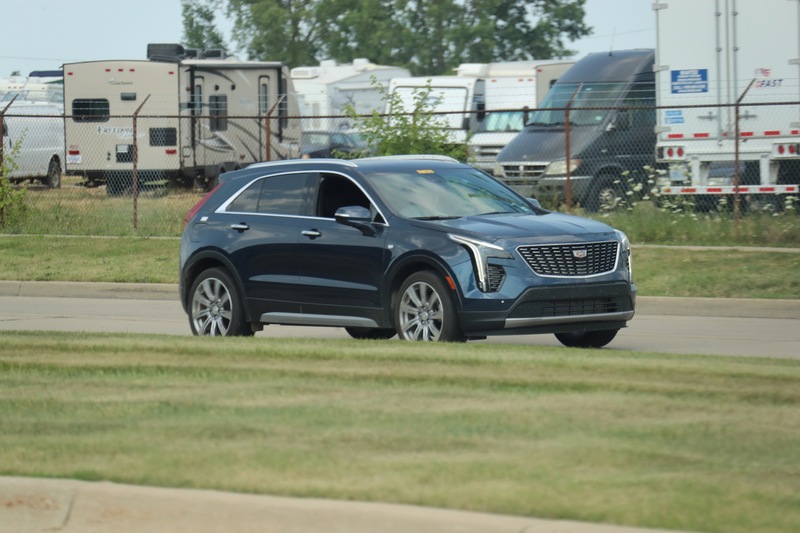 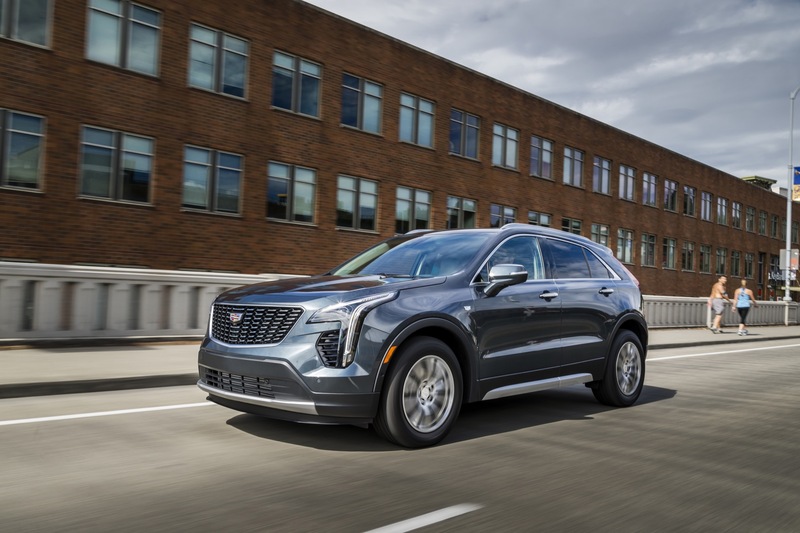 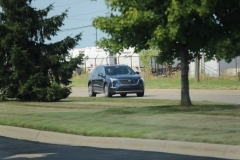 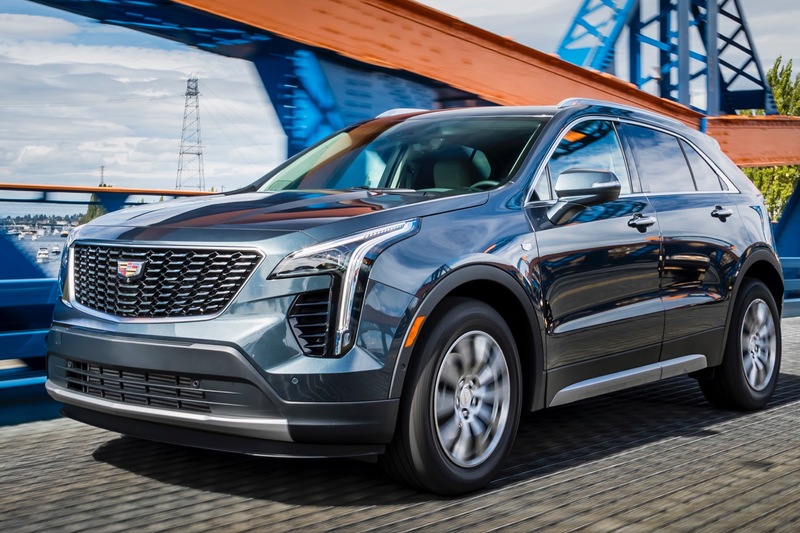 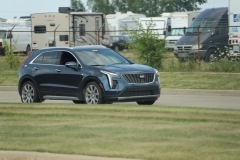 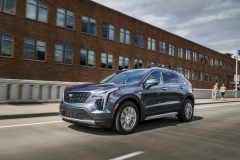 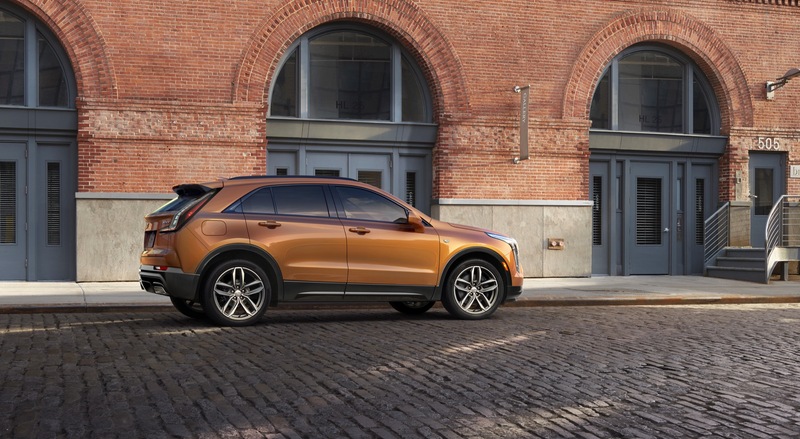 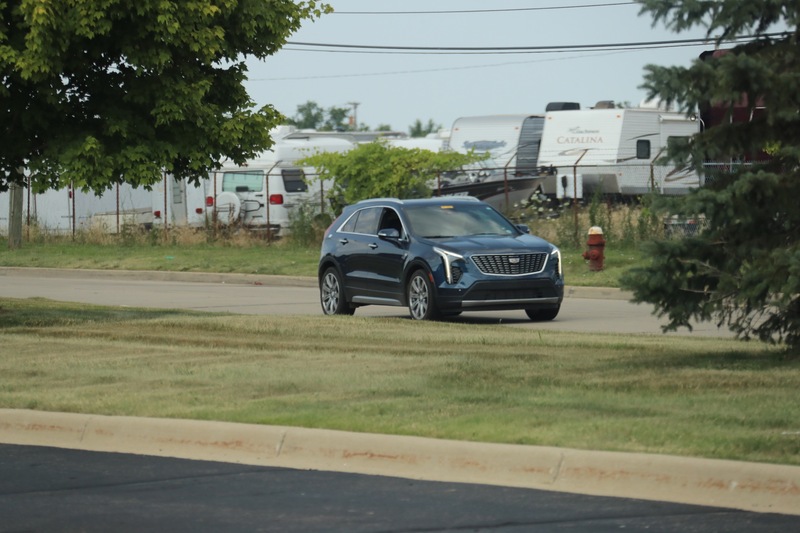 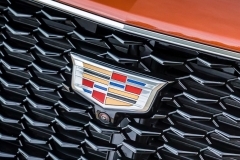 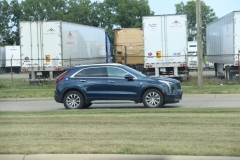 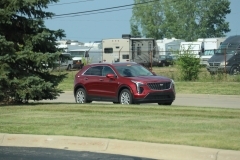 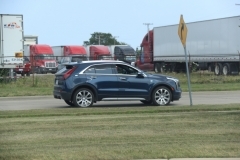 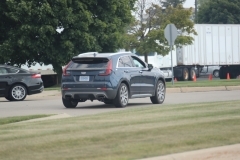 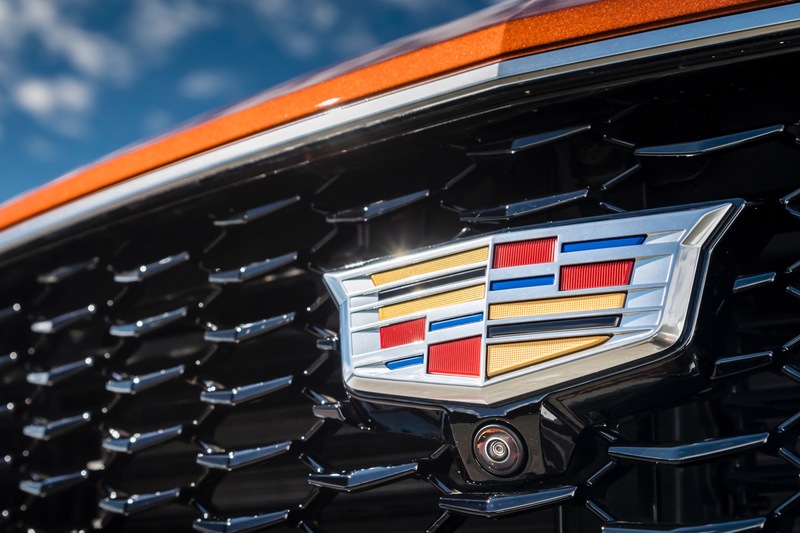 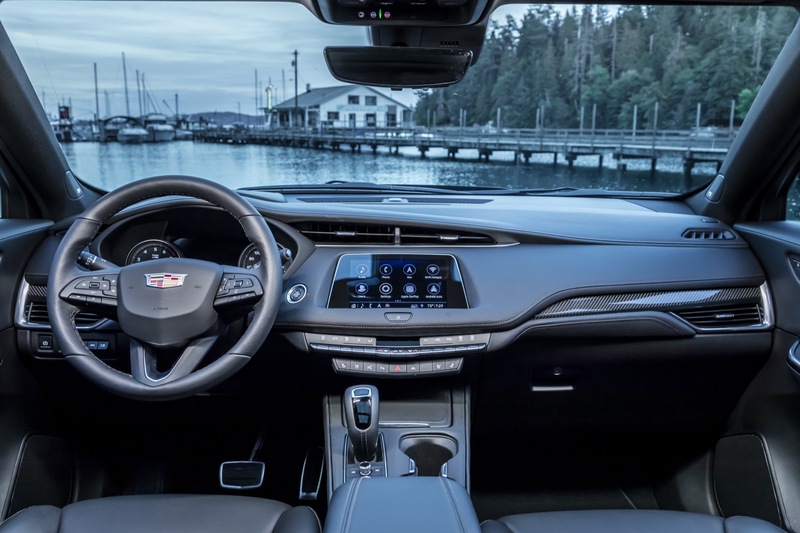 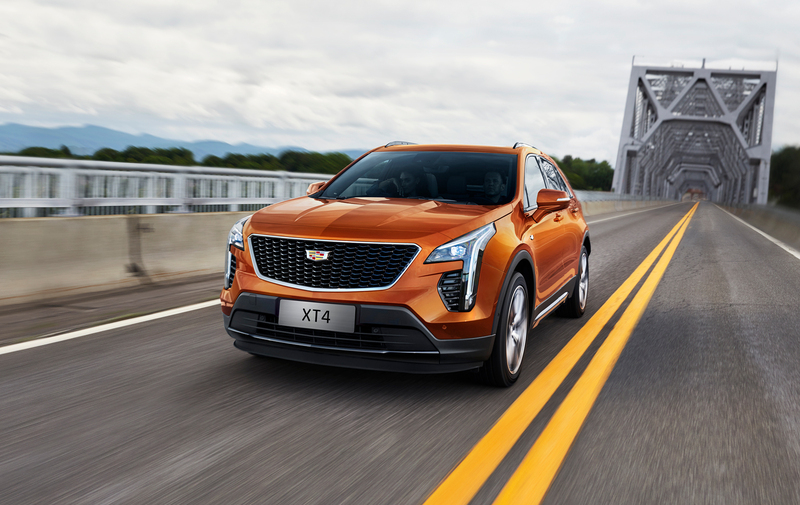 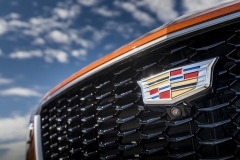 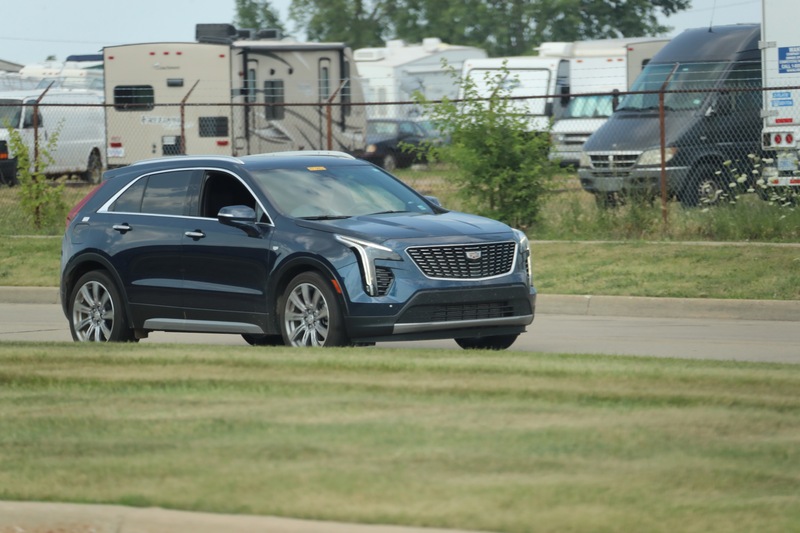 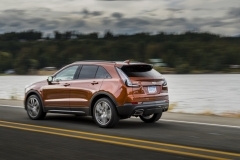 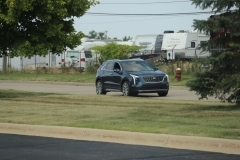 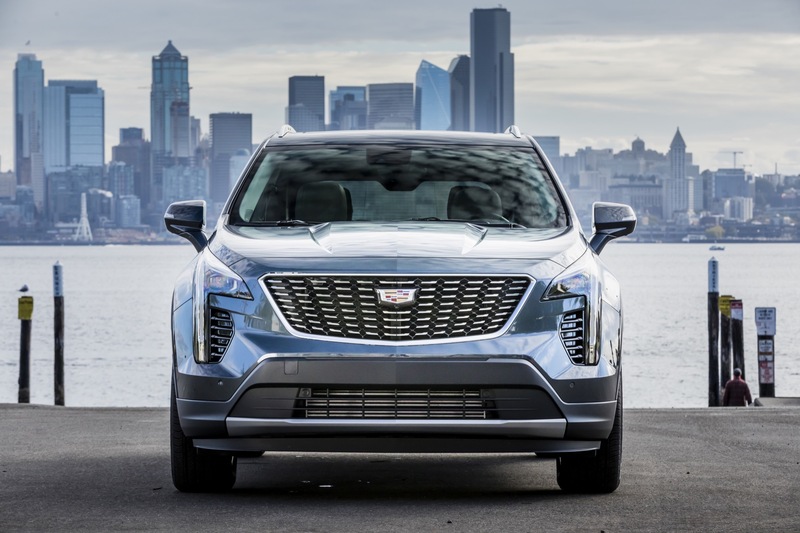 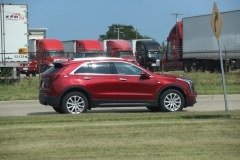 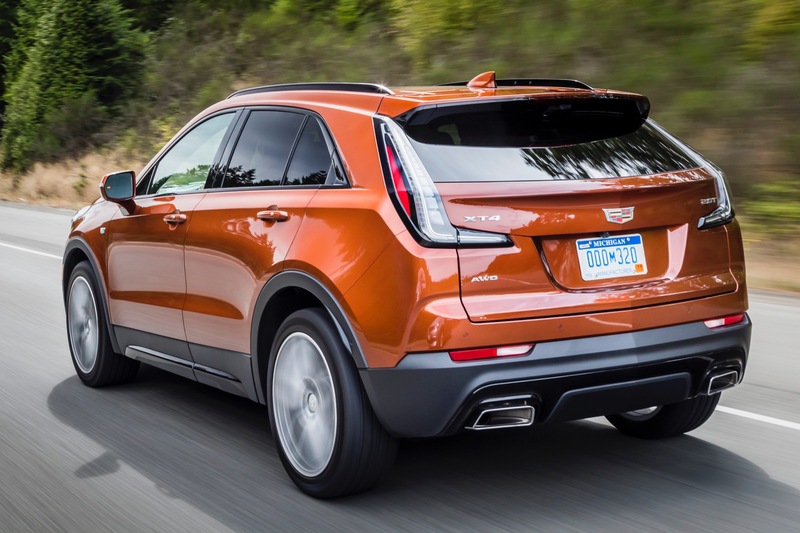 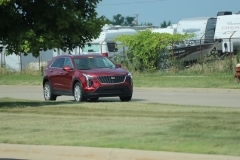 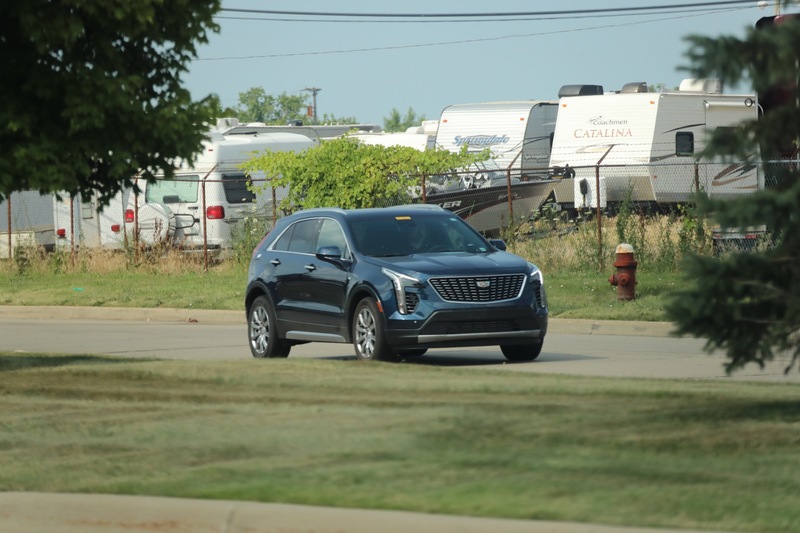 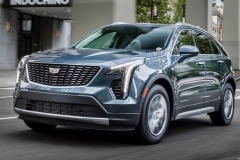 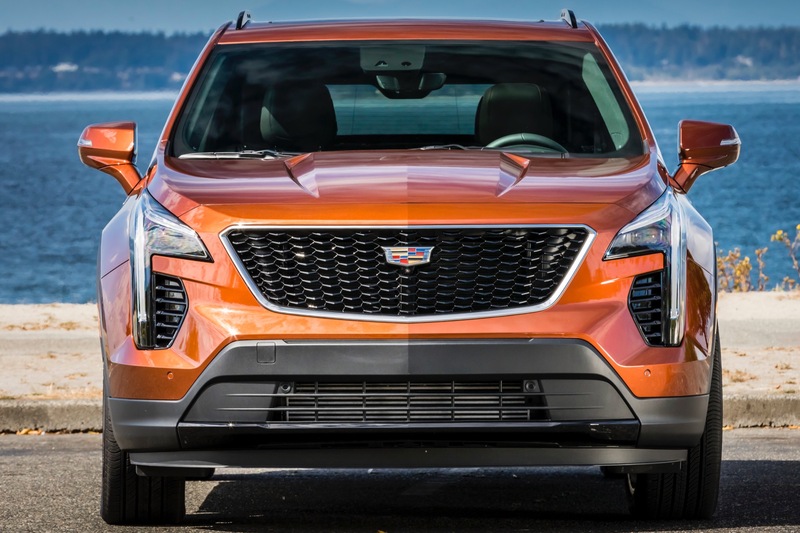 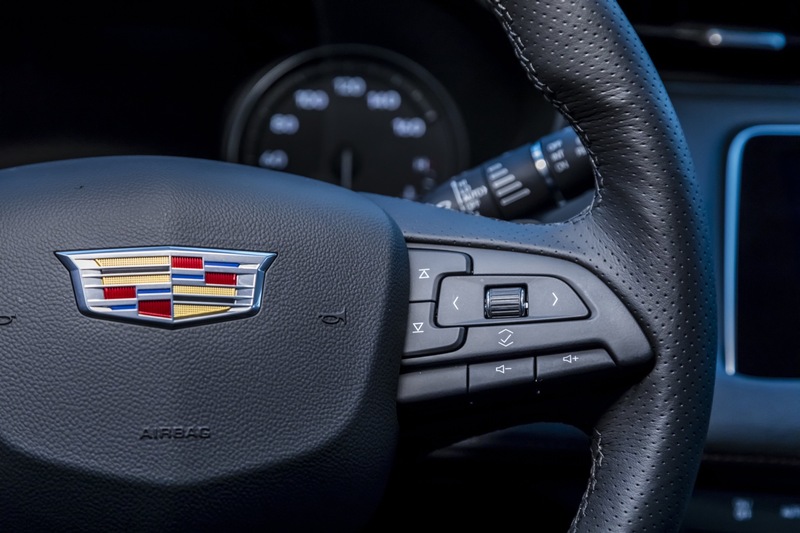 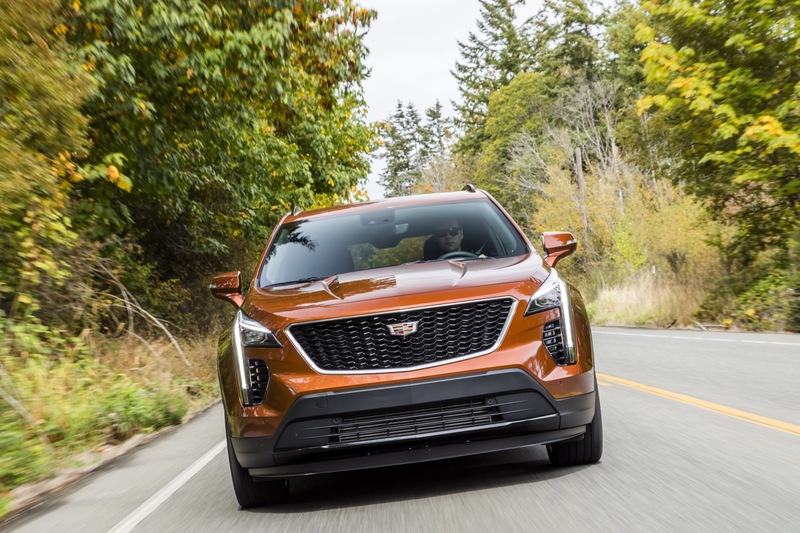 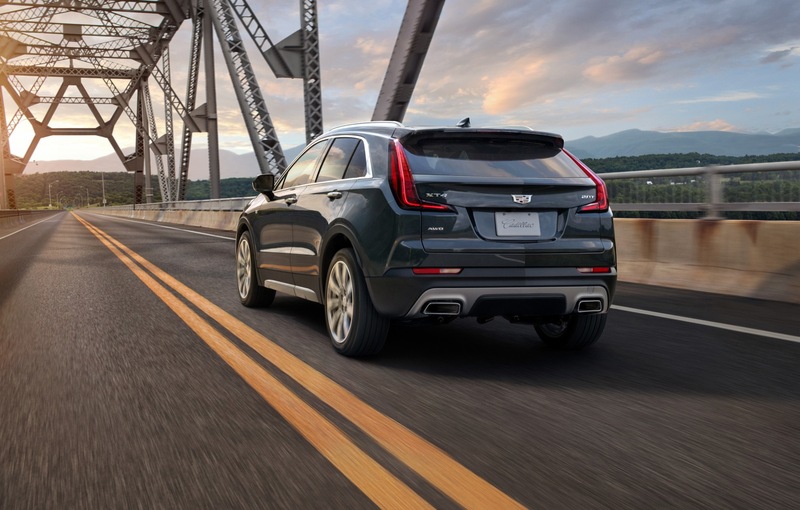 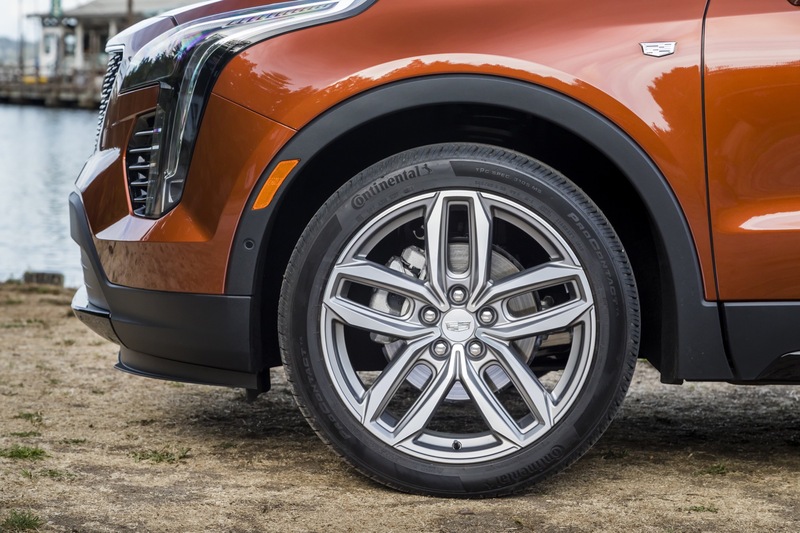 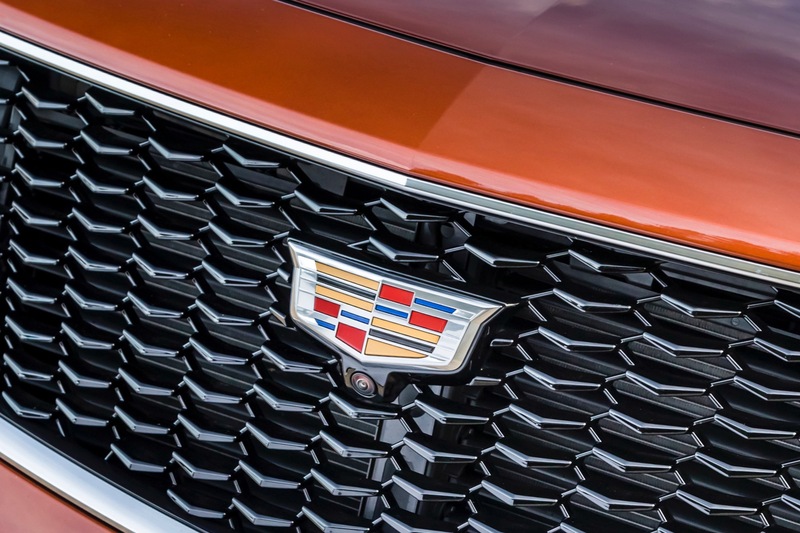 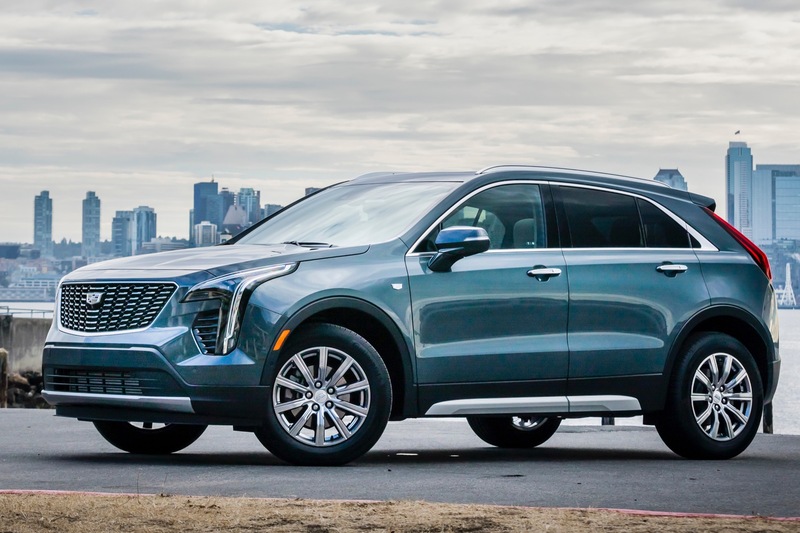 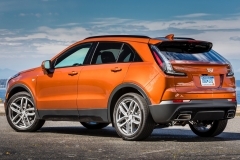 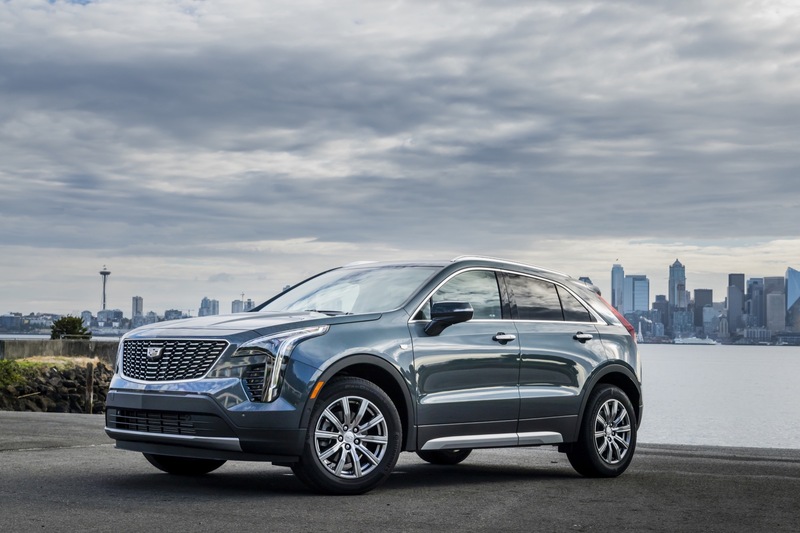 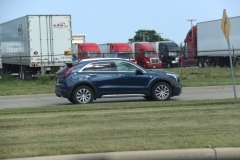 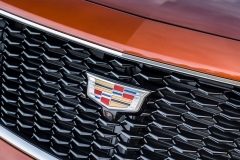 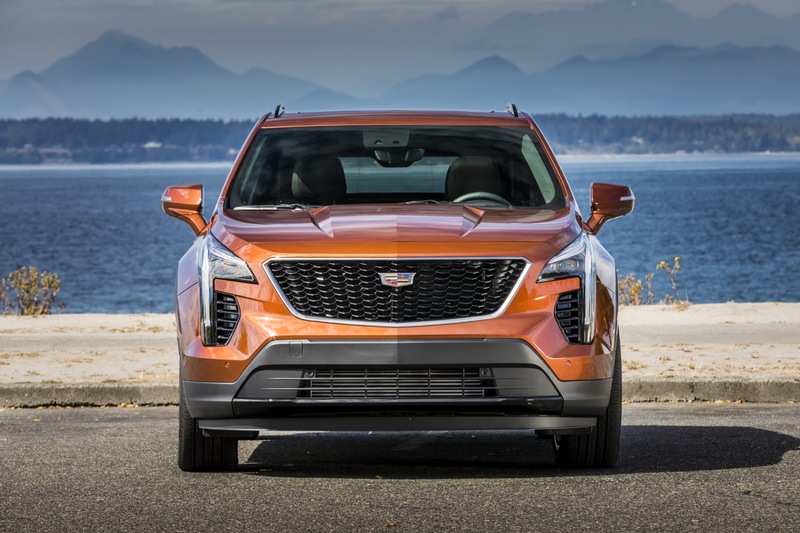 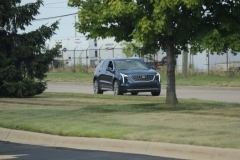 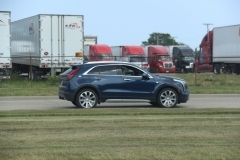 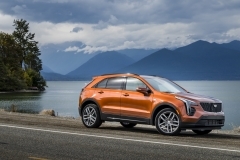 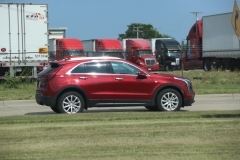 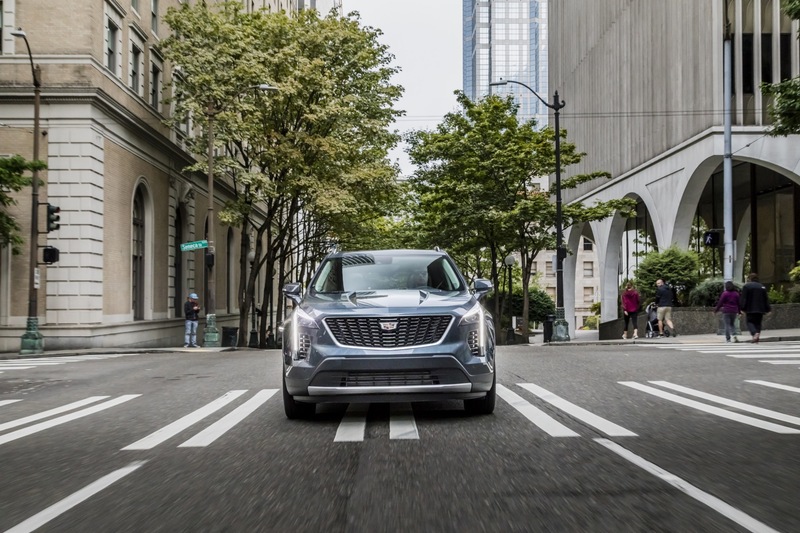 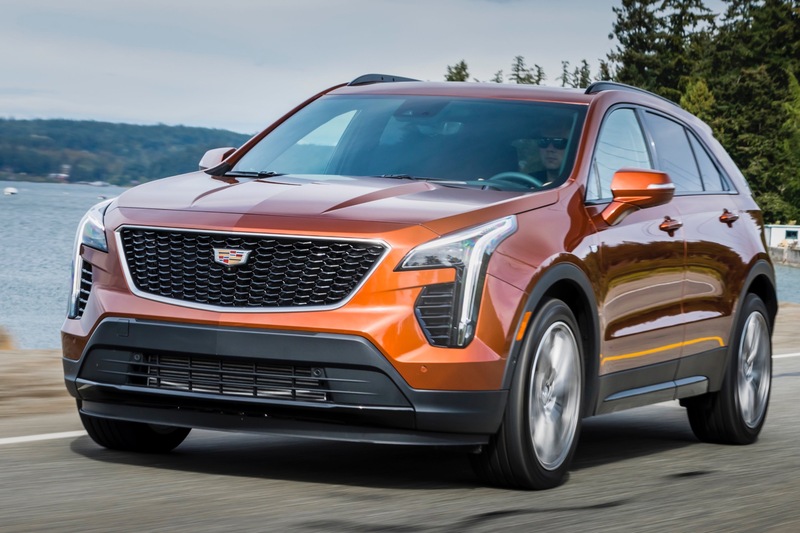 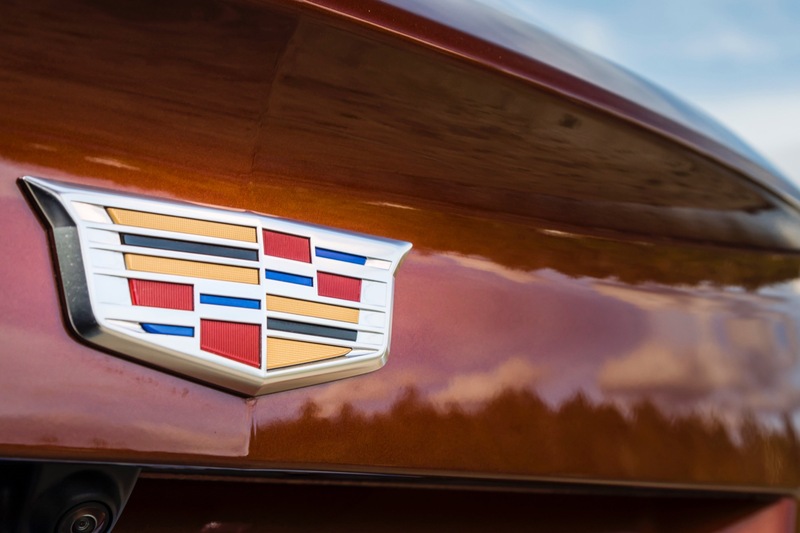 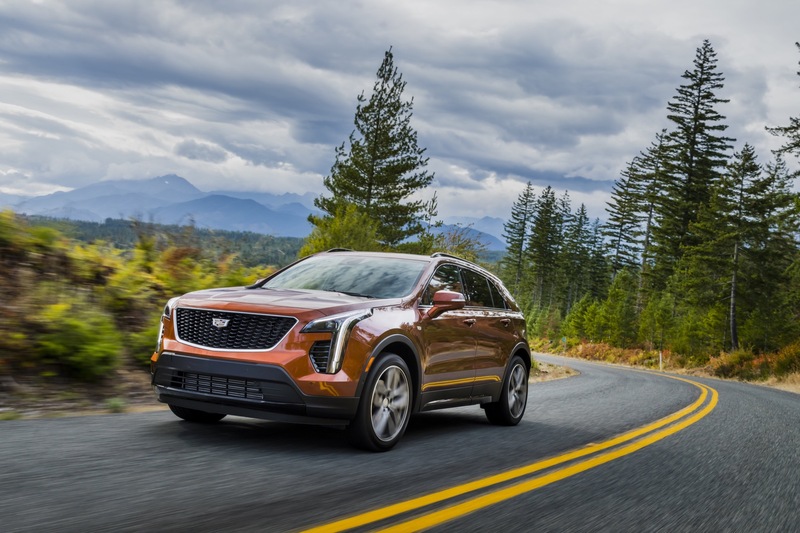 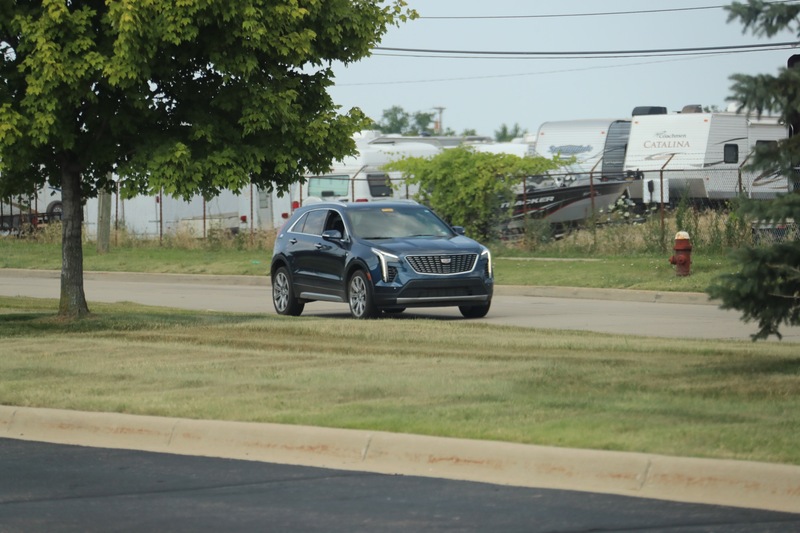 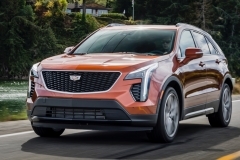 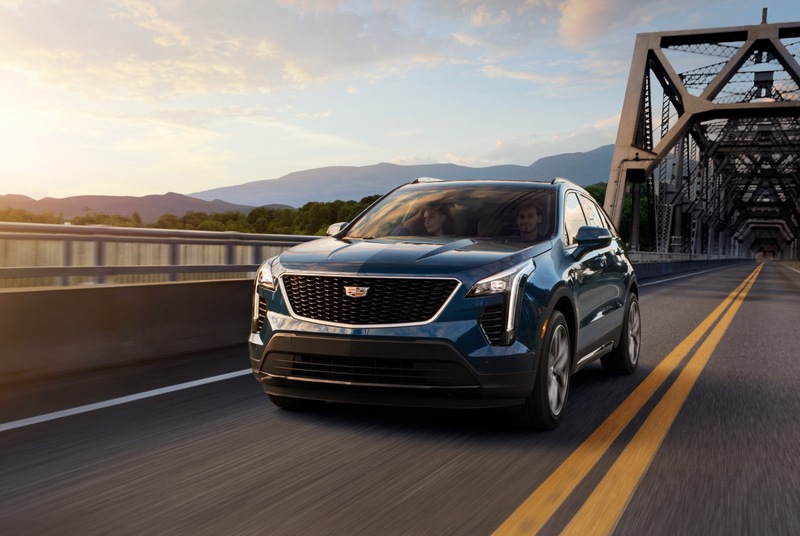 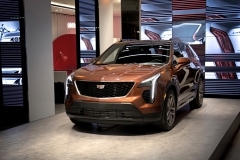 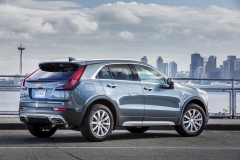 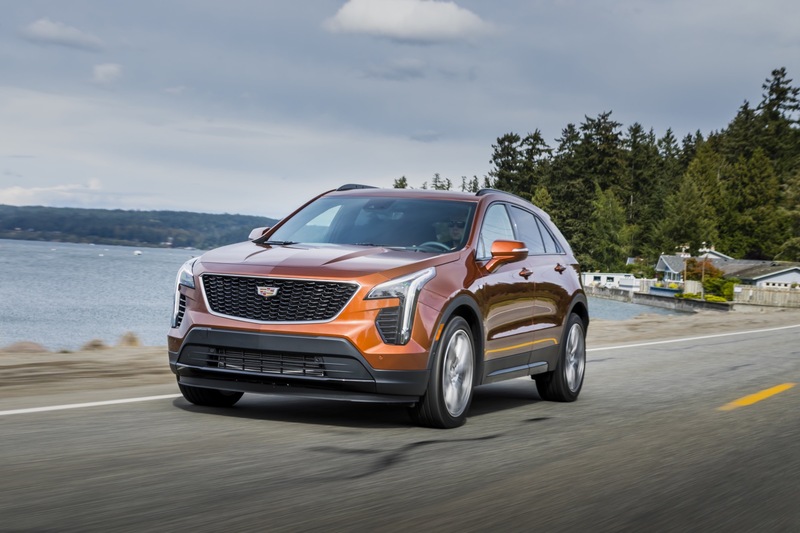 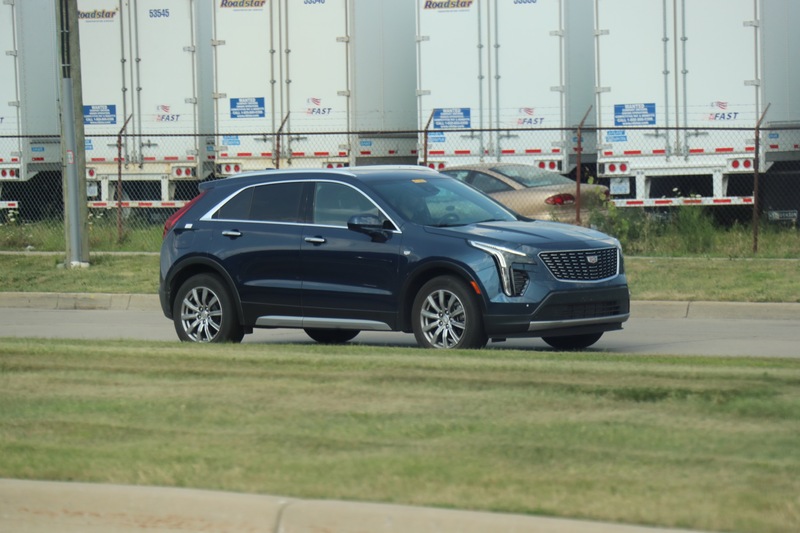 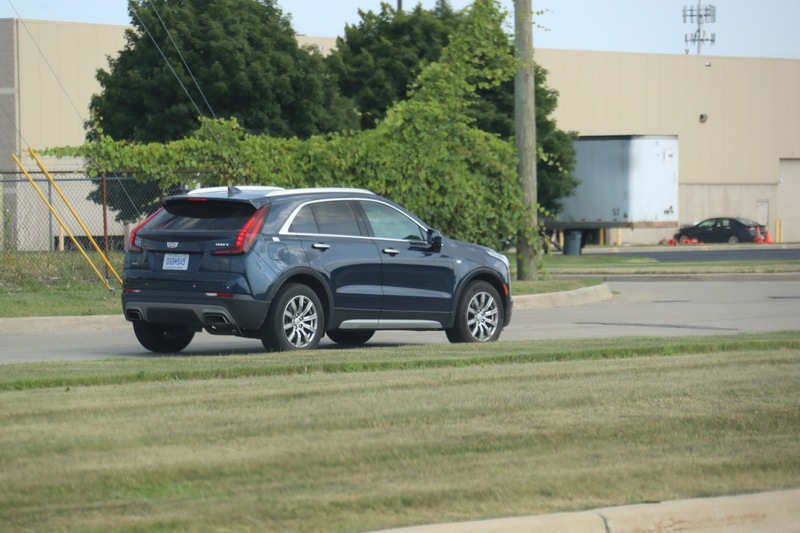 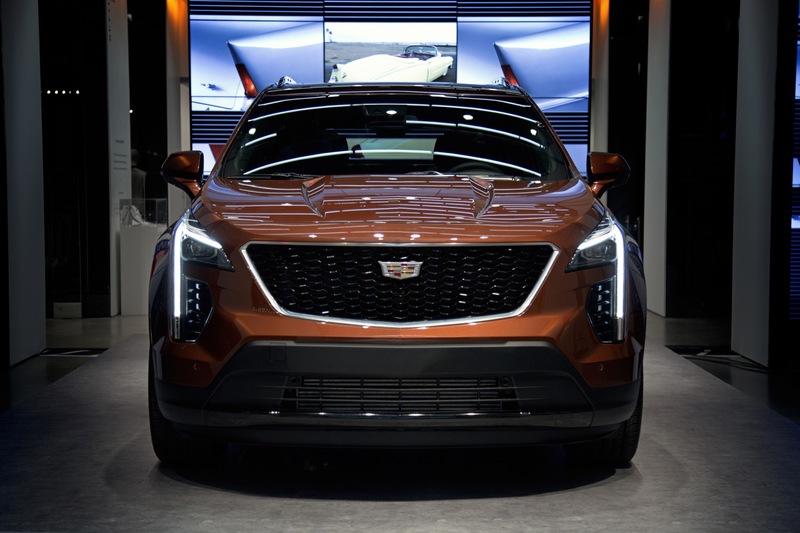 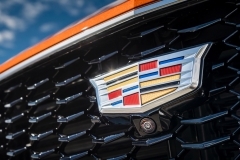 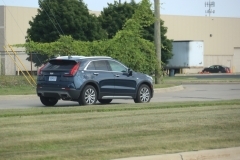 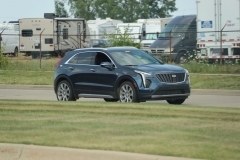 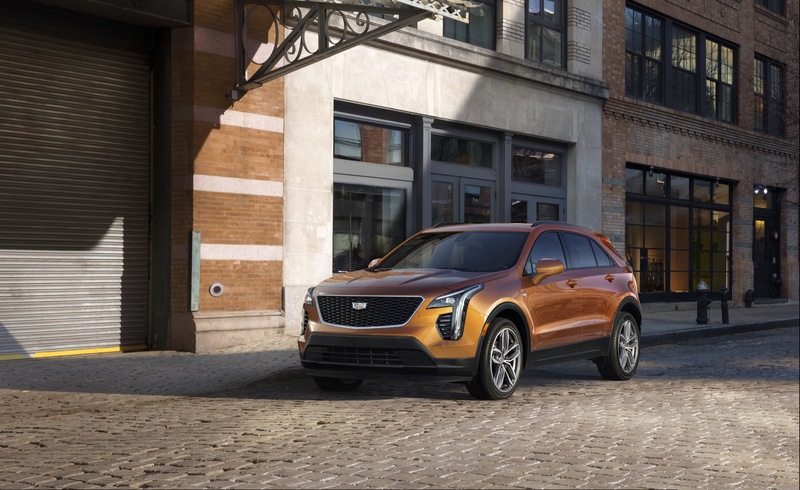 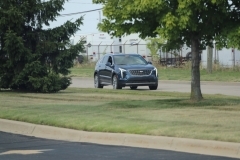 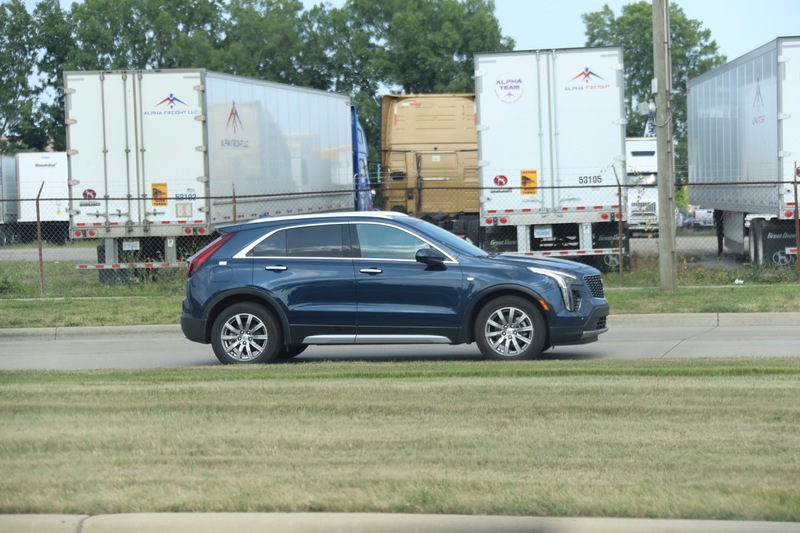 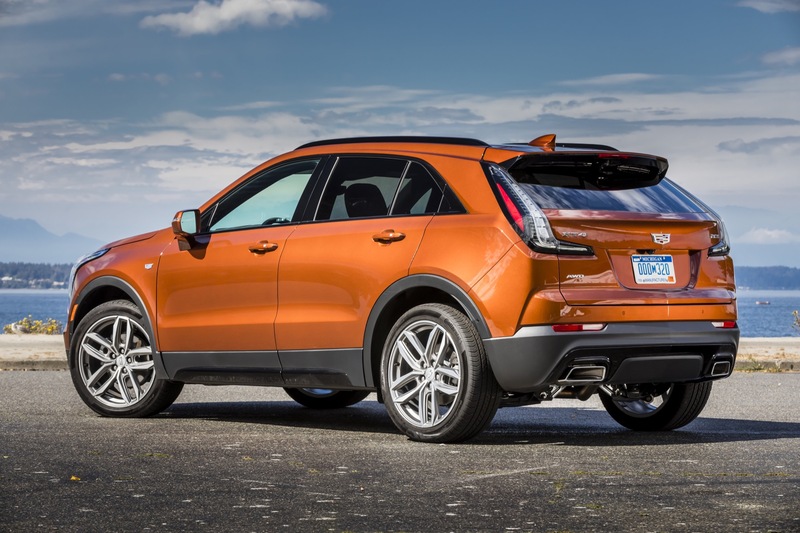 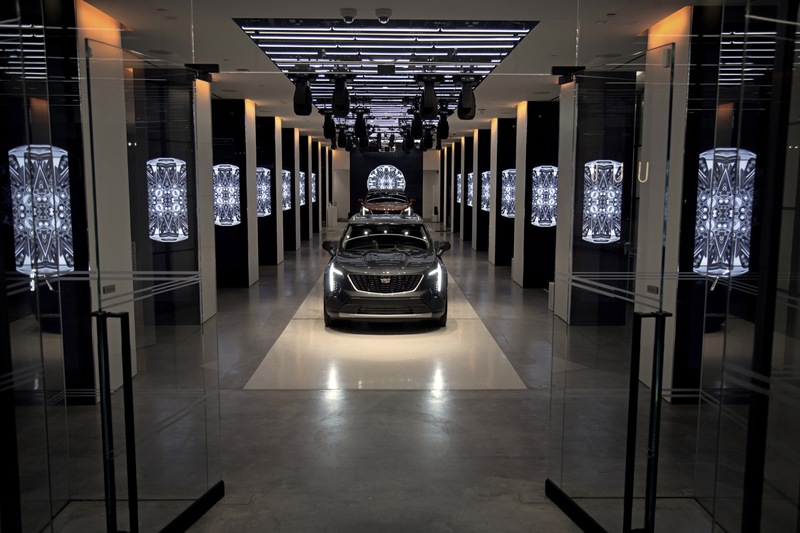 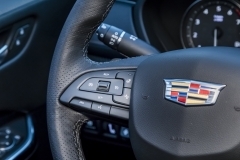 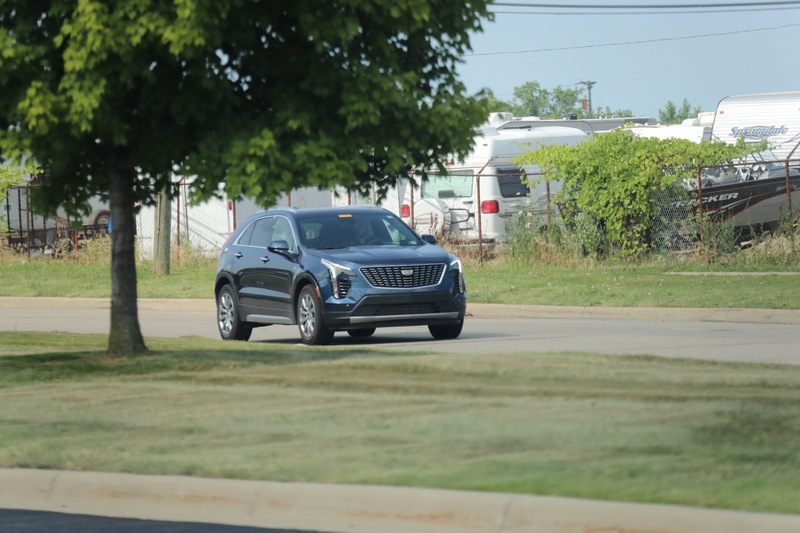 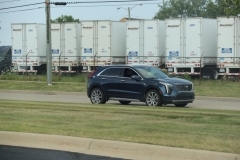 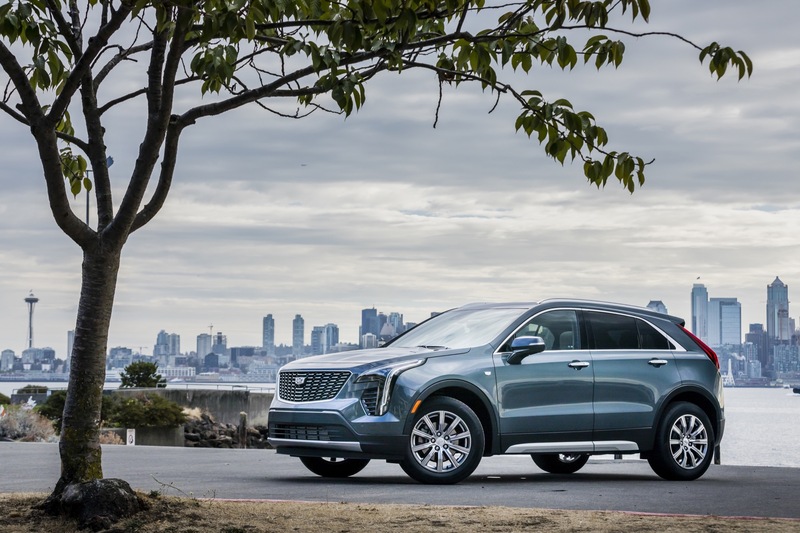 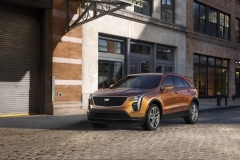 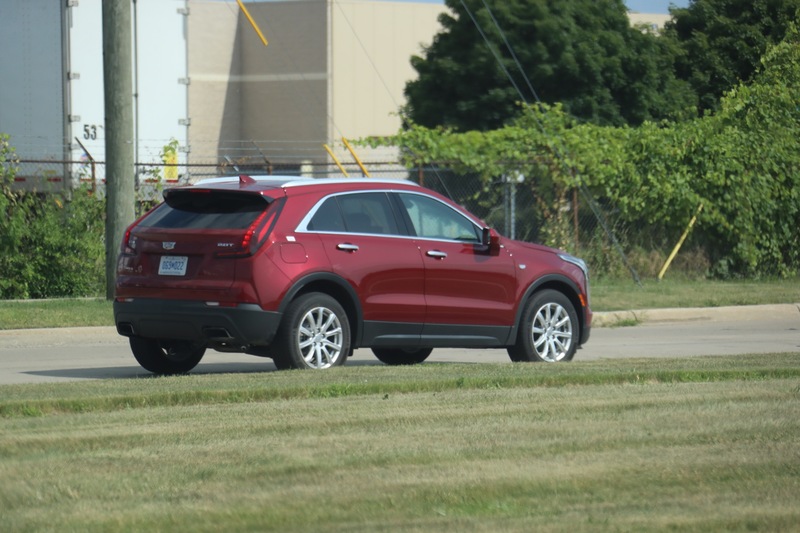 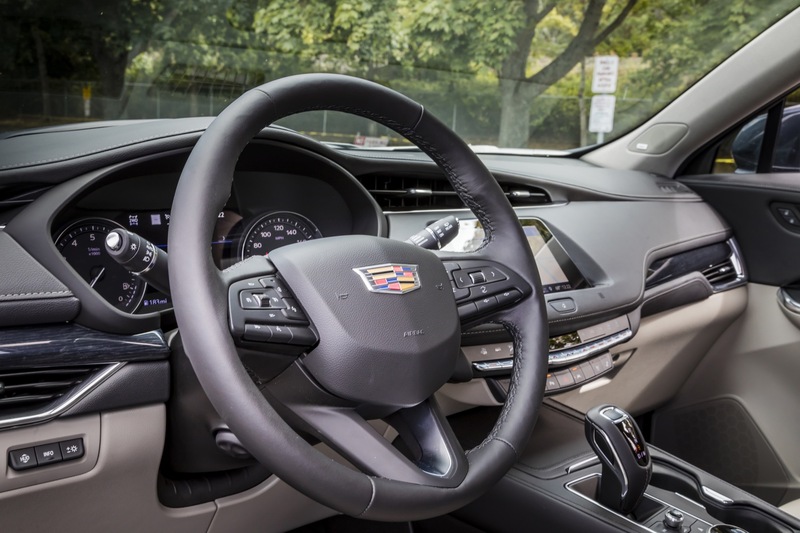 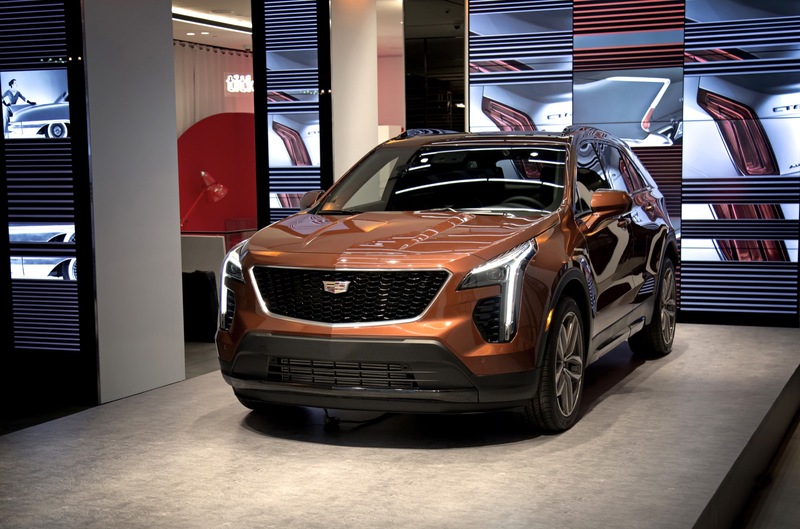 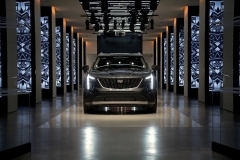 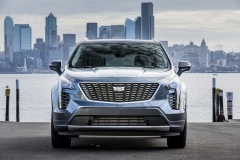 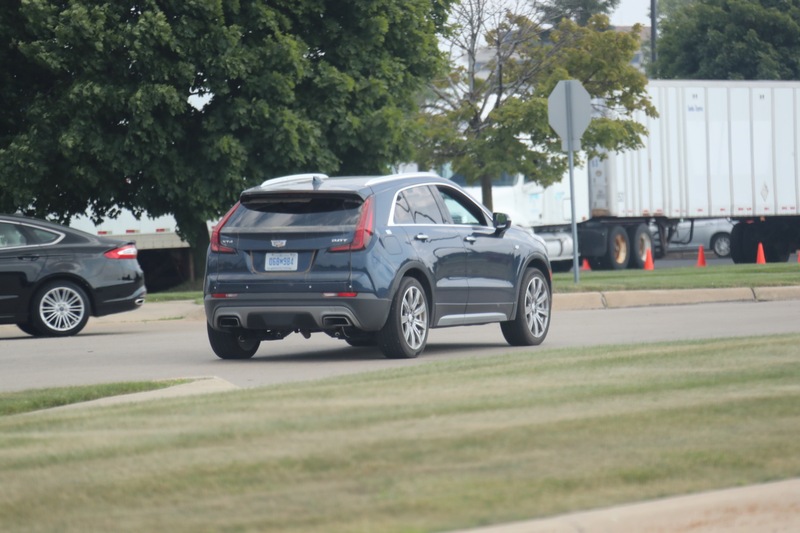 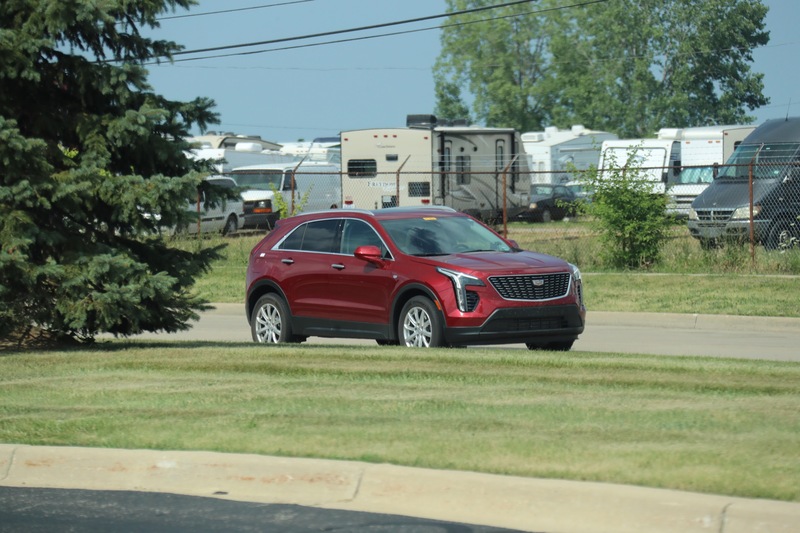 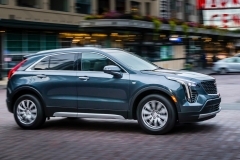 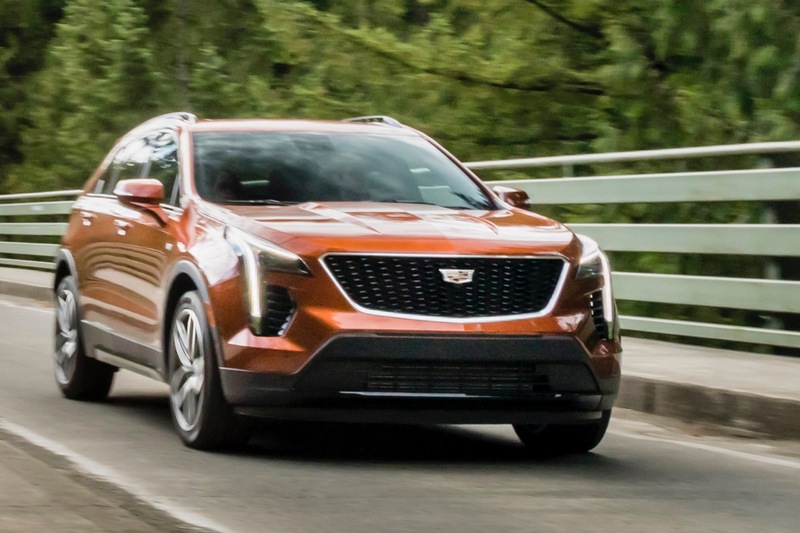 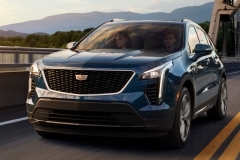 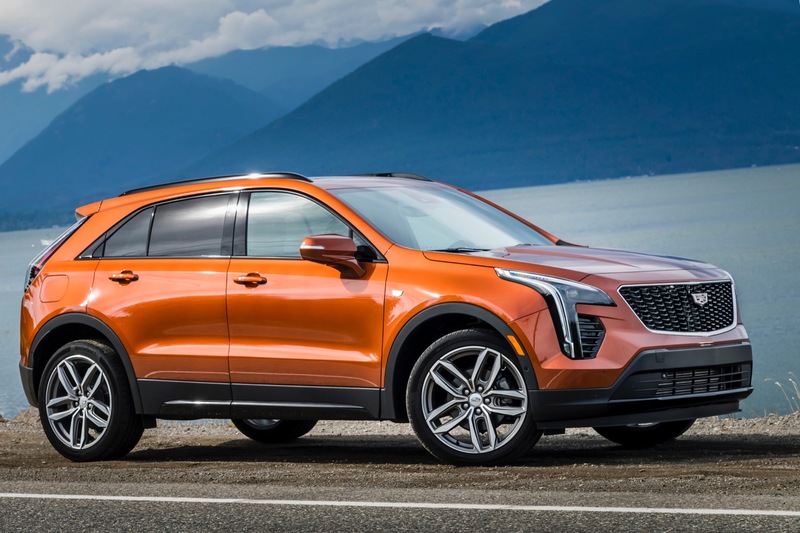 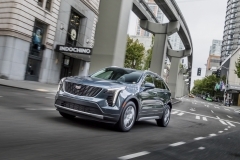 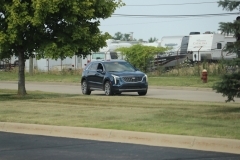 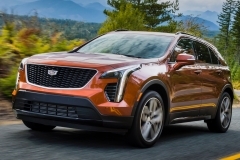 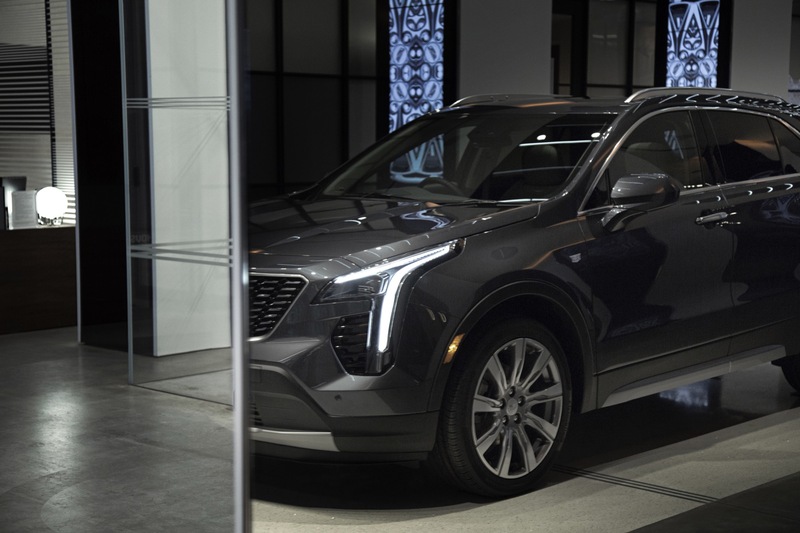 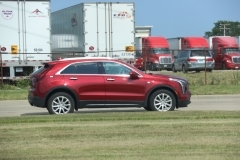 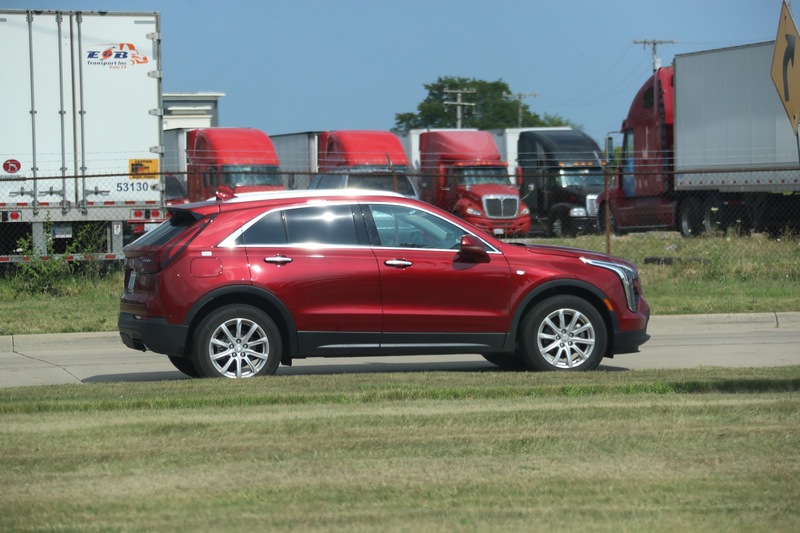 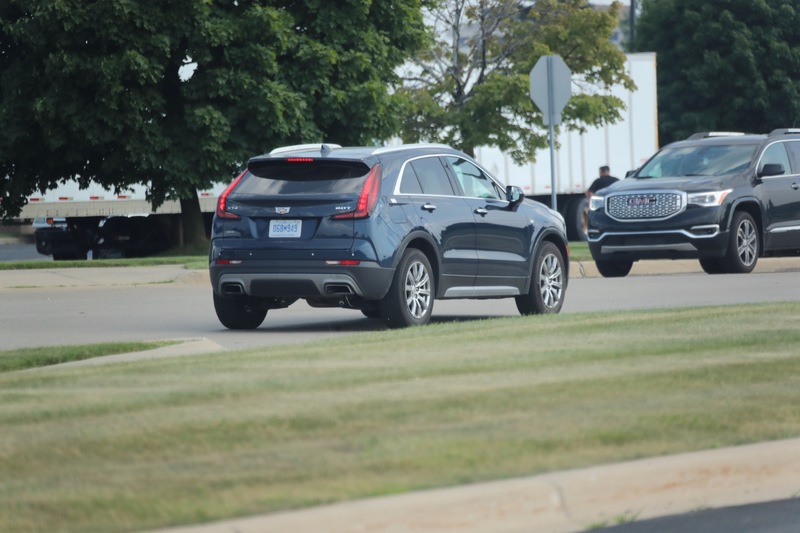 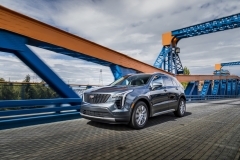 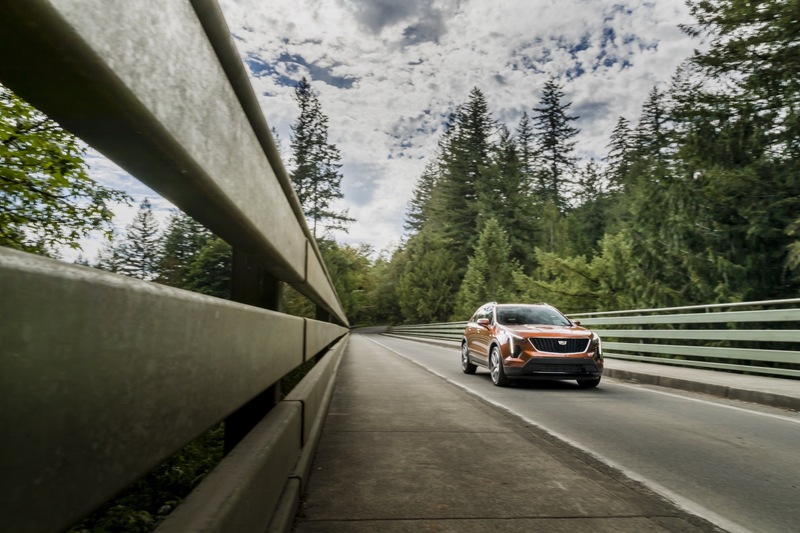 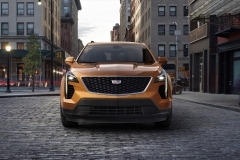 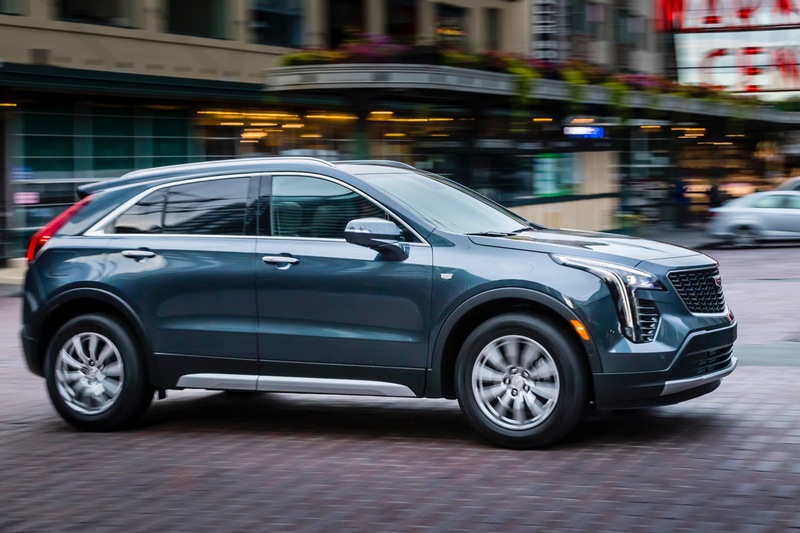 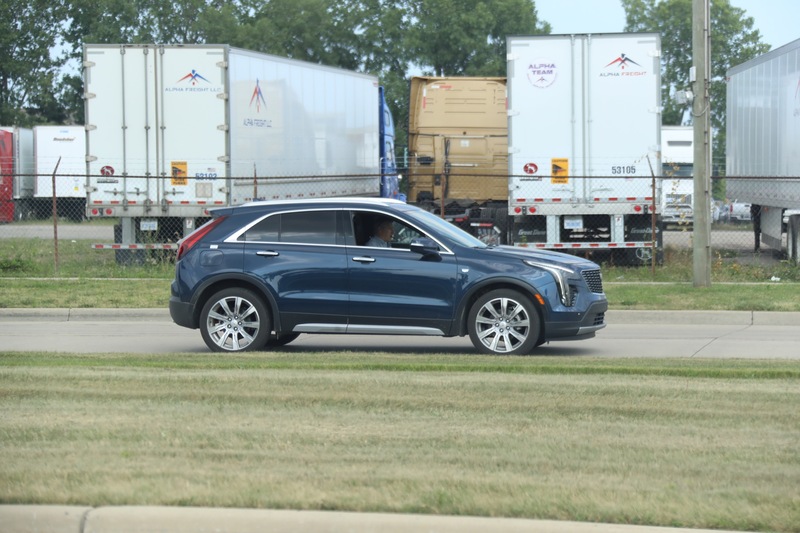 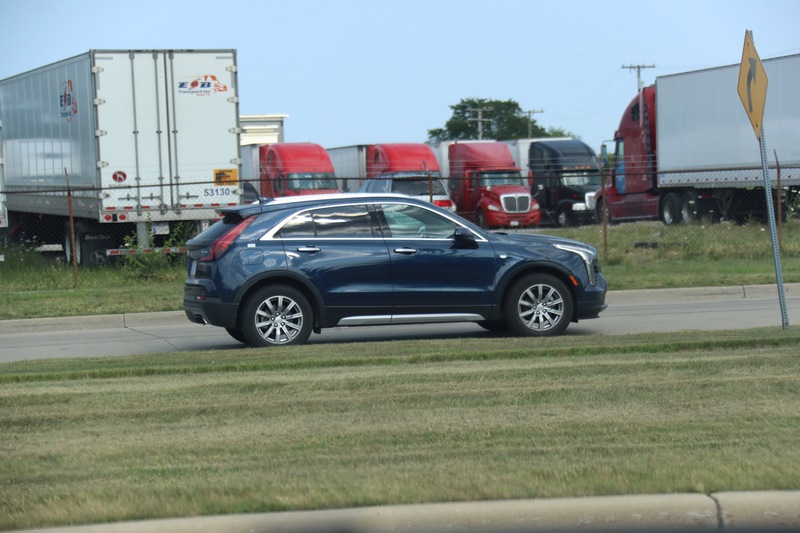 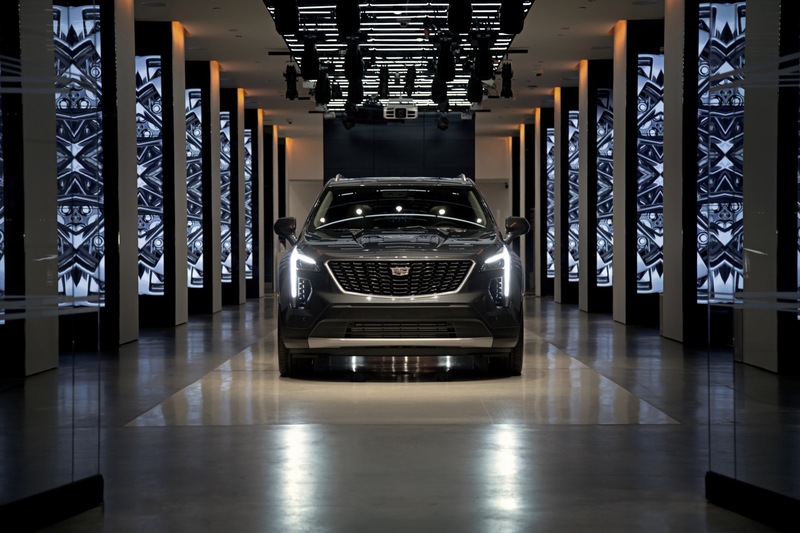 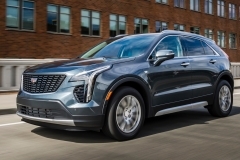 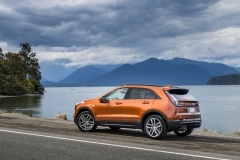 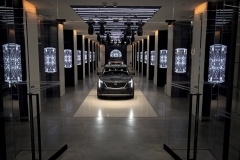 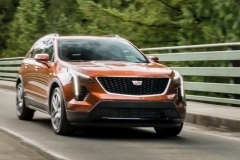 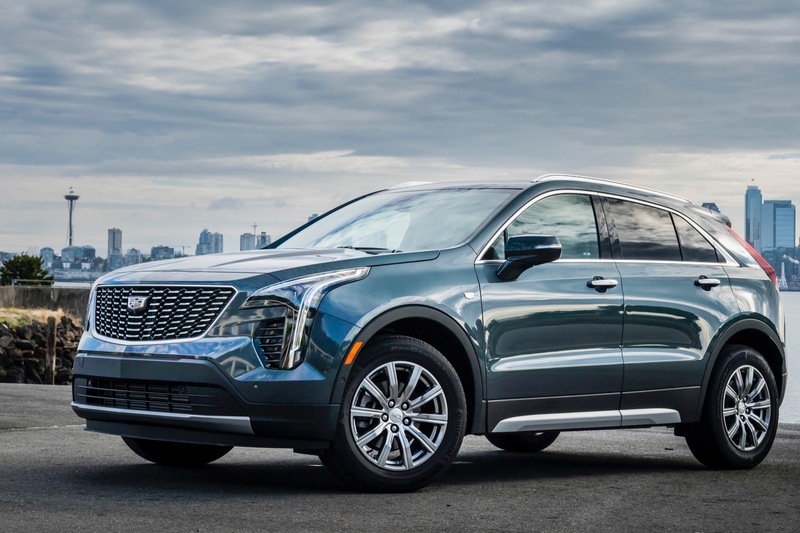 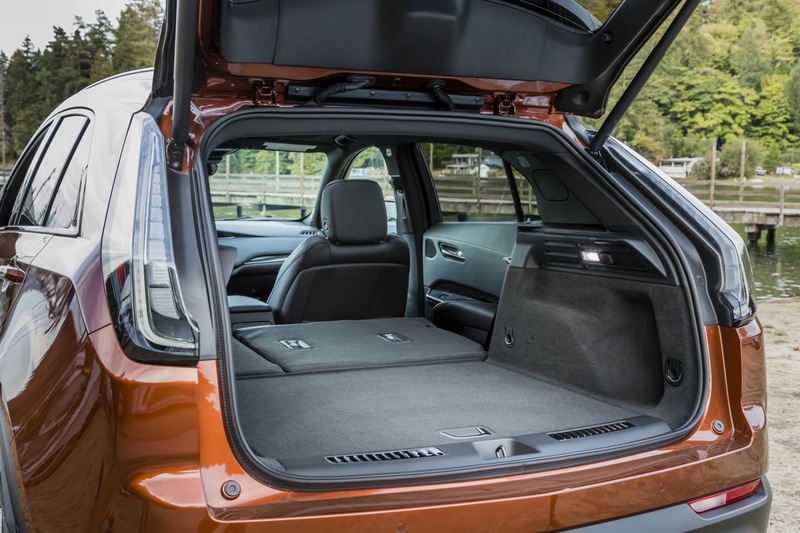 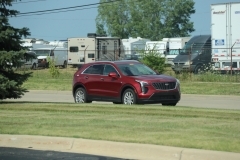 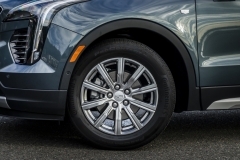 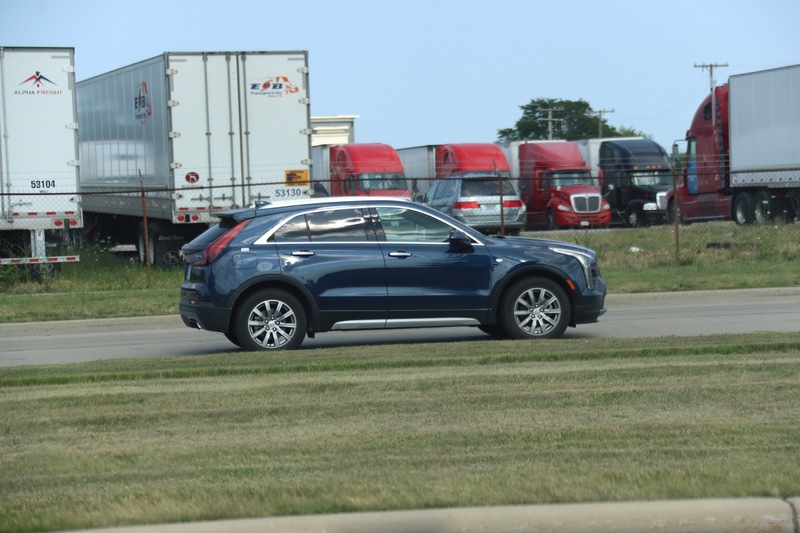 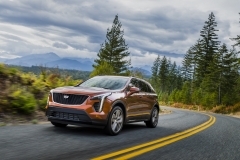 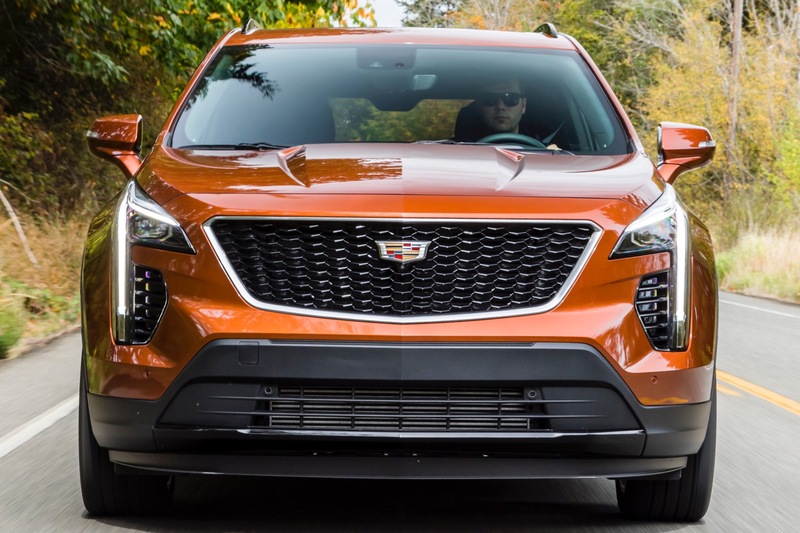 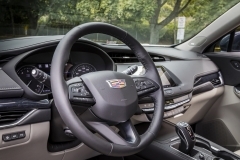 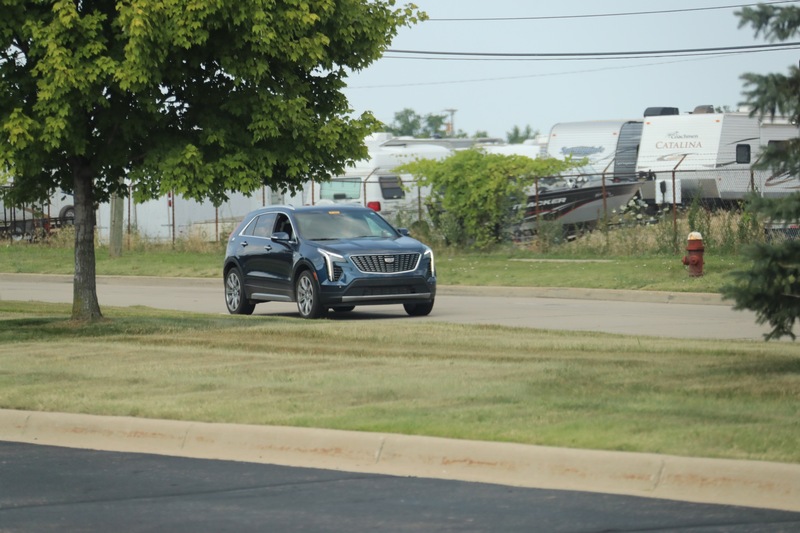 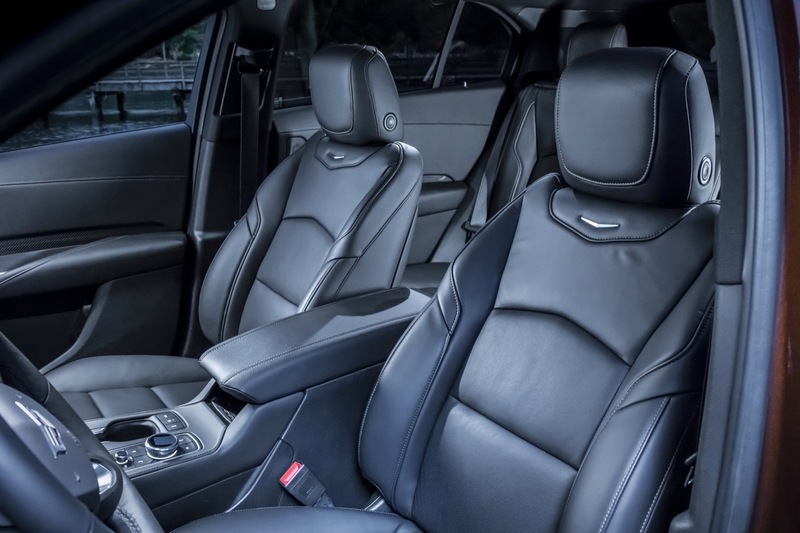 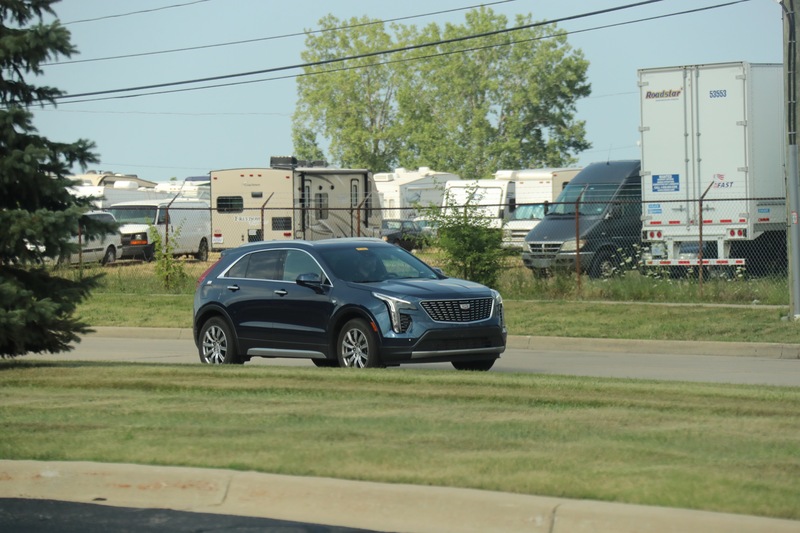 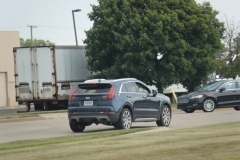 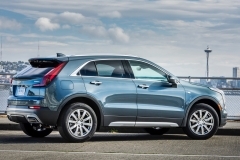 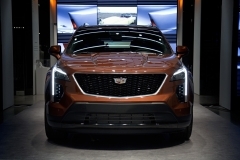 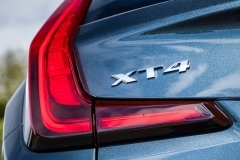 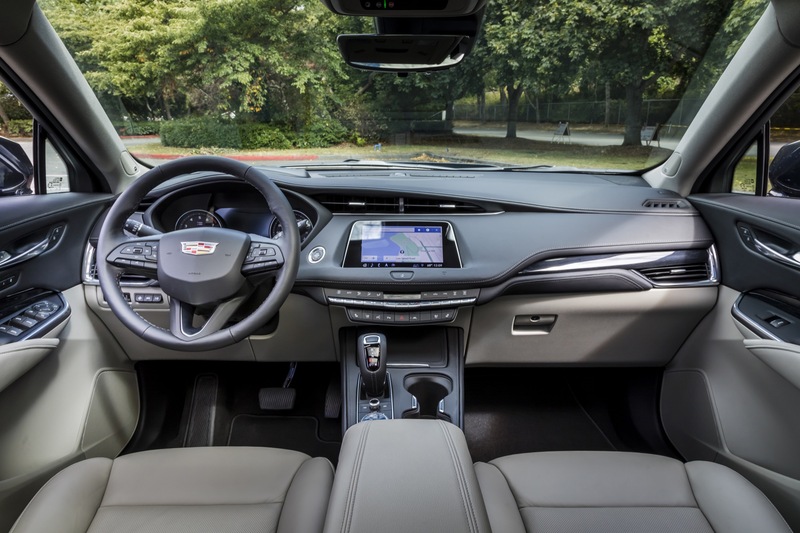 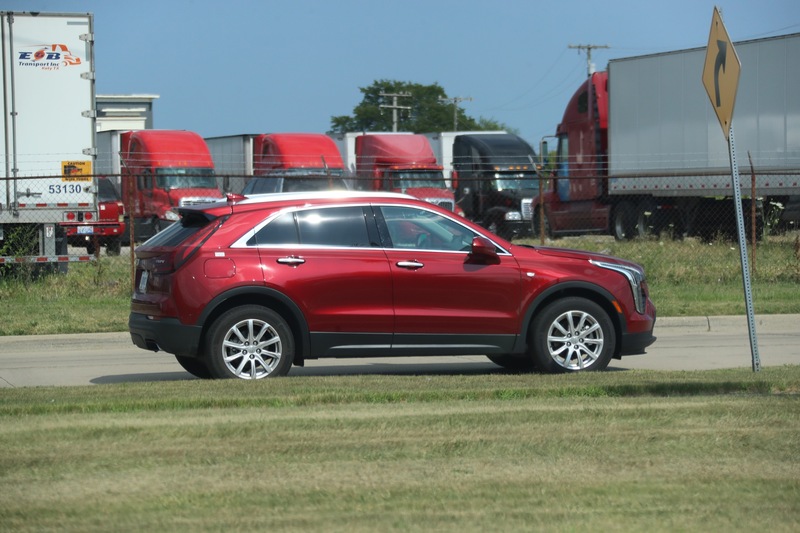 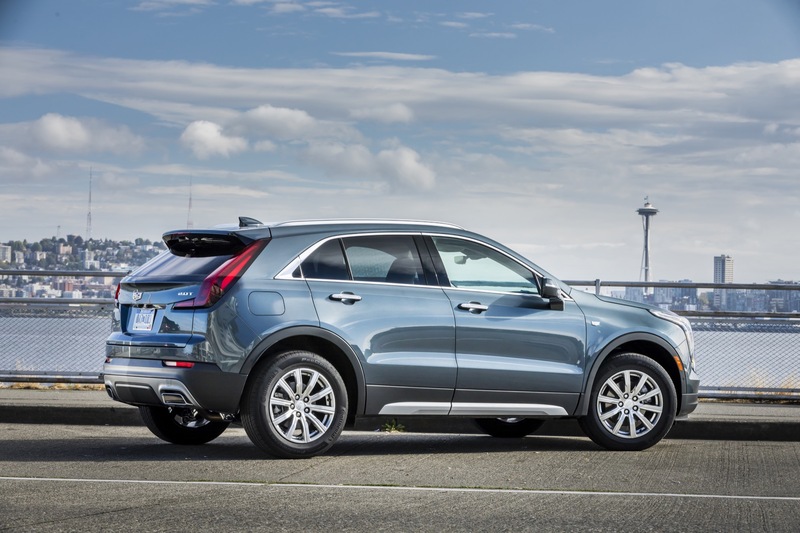 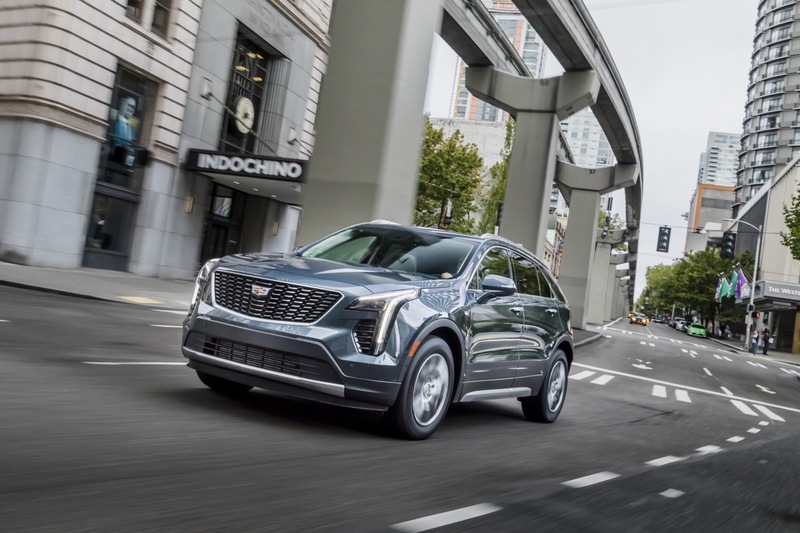 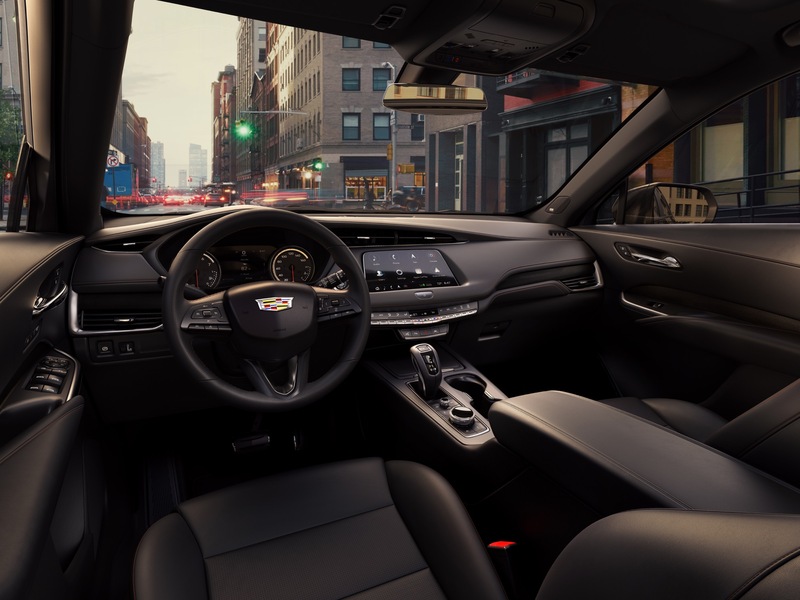 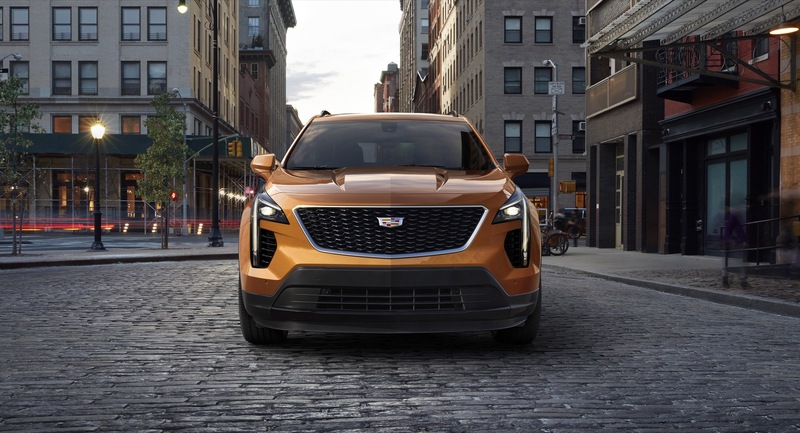 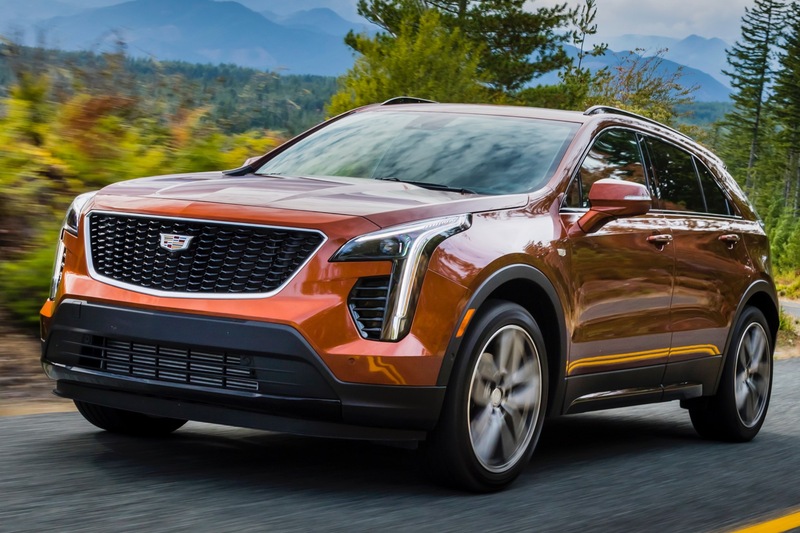 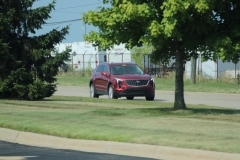 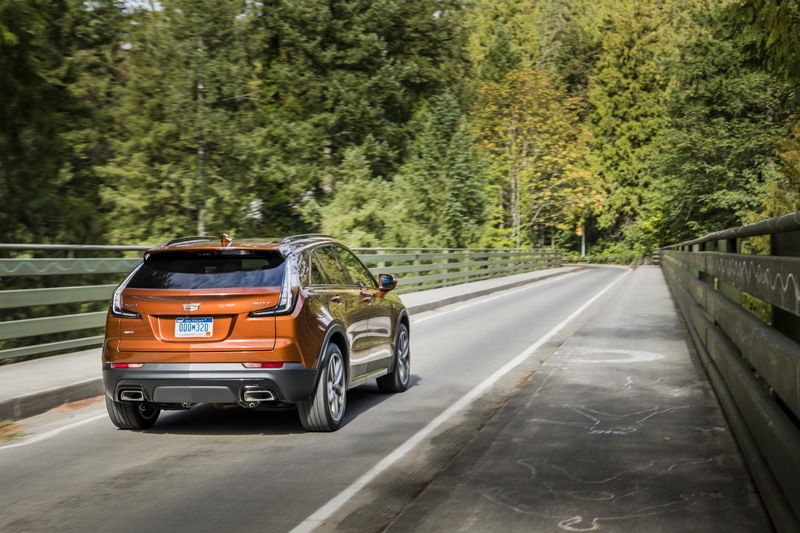 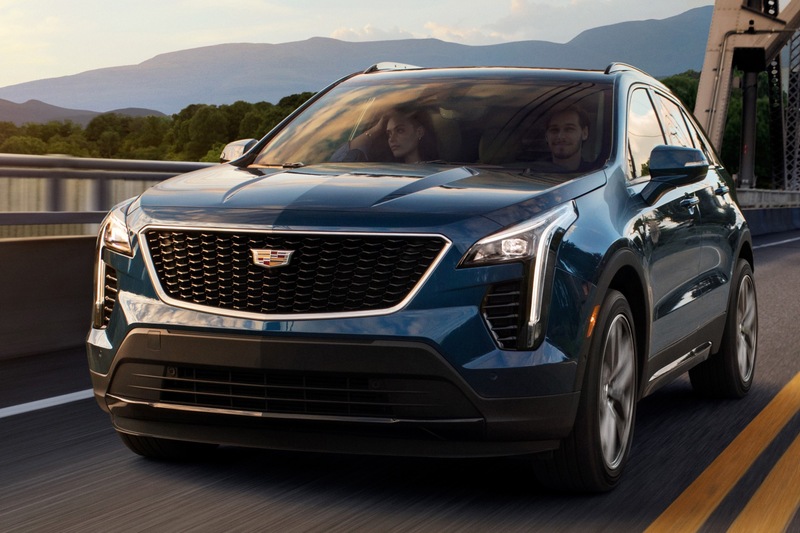 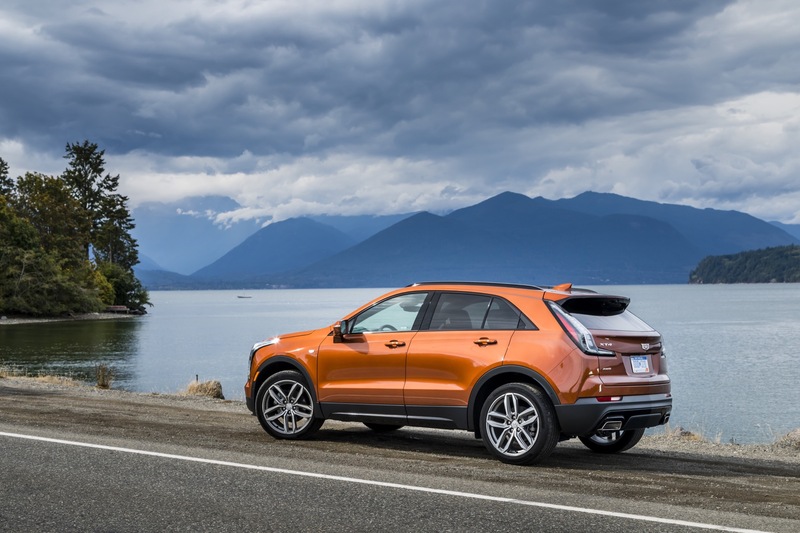 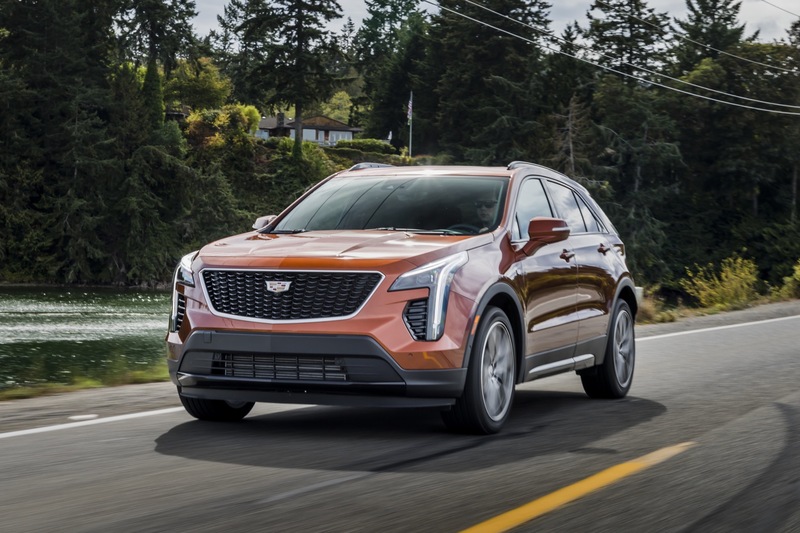 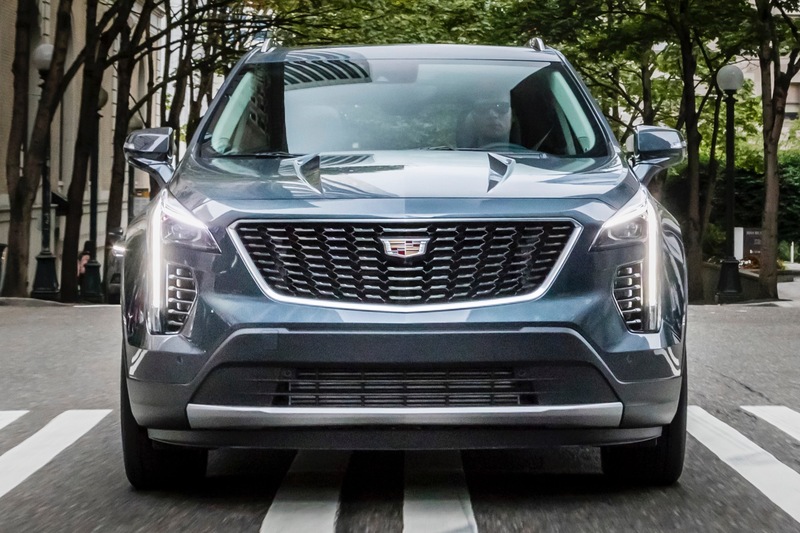 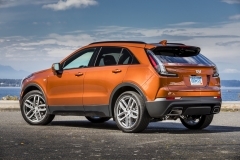 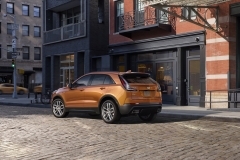 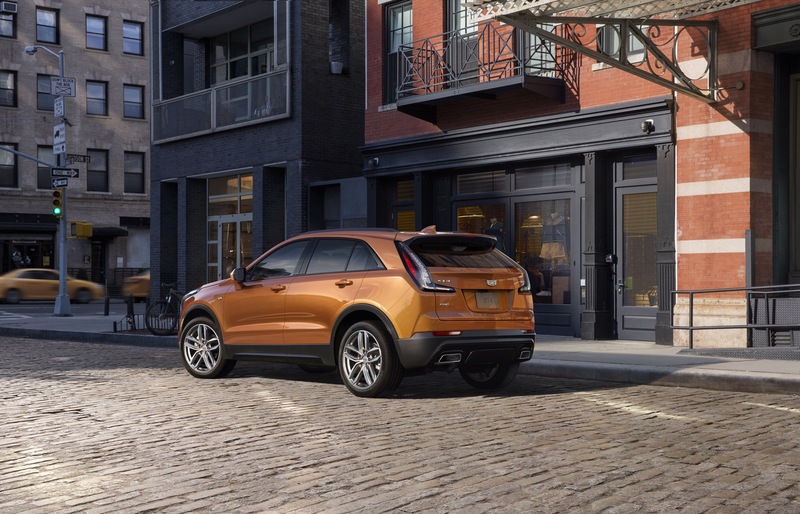 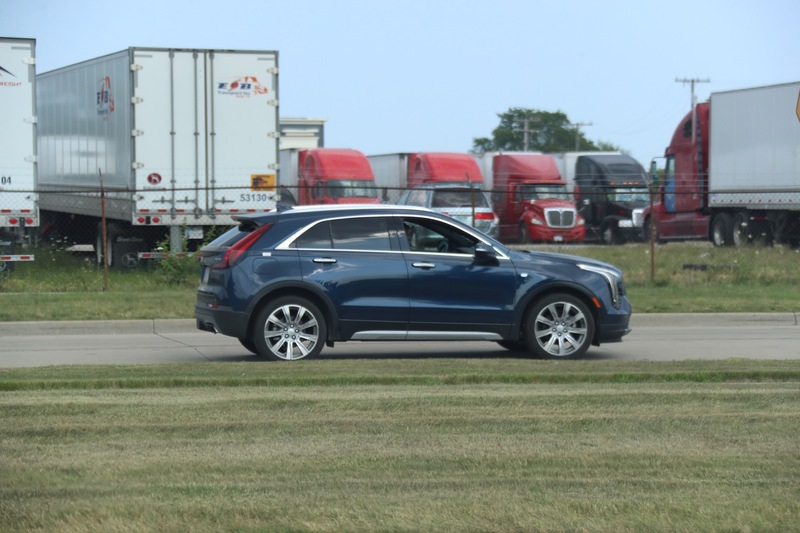 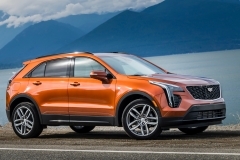 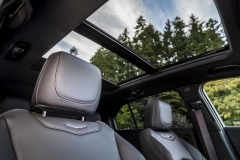 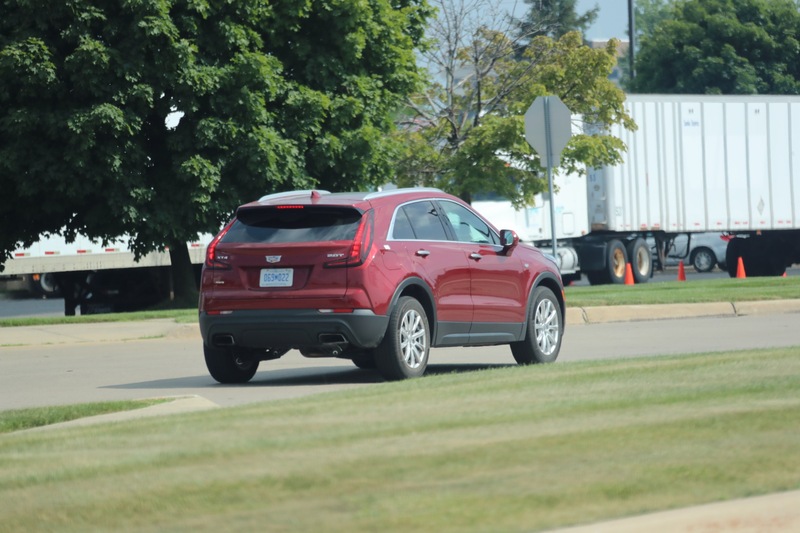 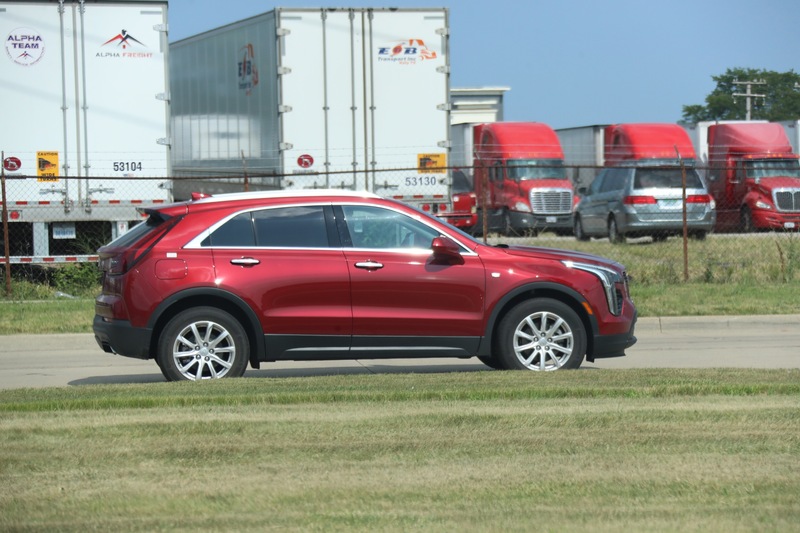 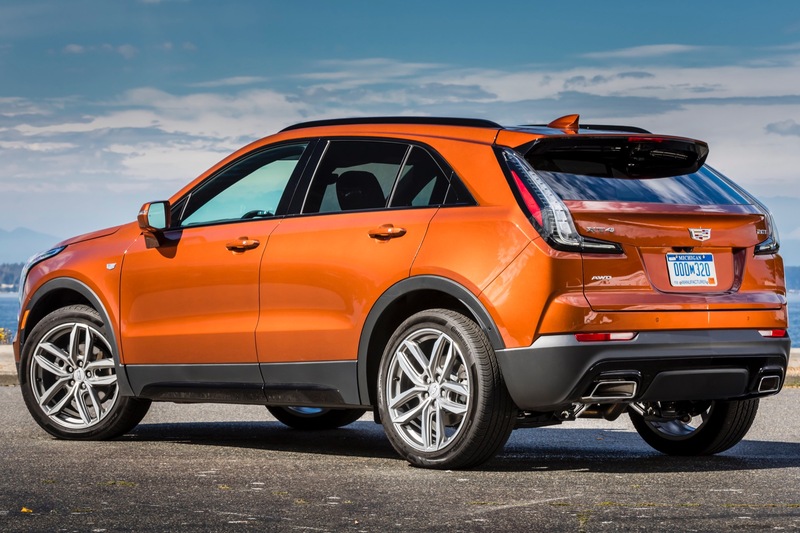 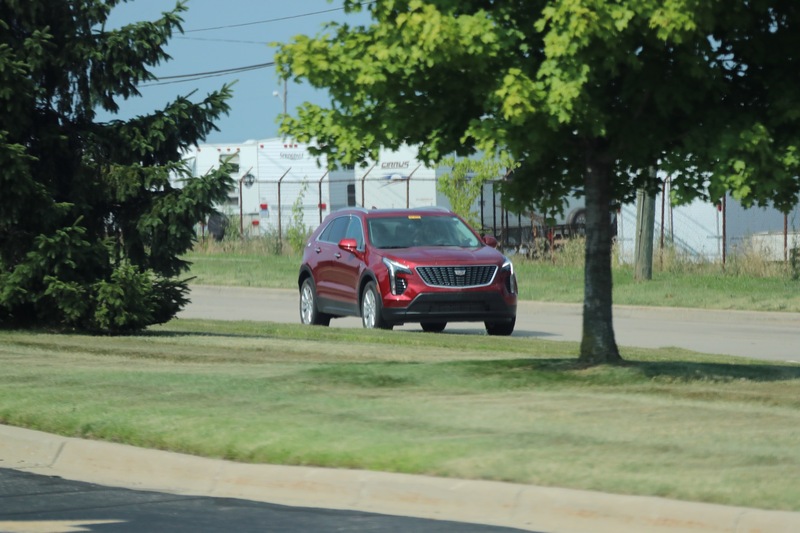 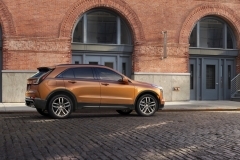 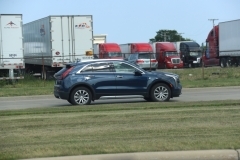 From a business standpoint, the XT4 is significantly important for Cadillac’s plans for growth, since it will fill a glaring hole in the brand’s vehicle portfolio. 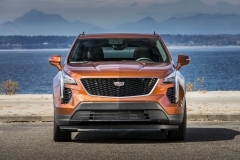 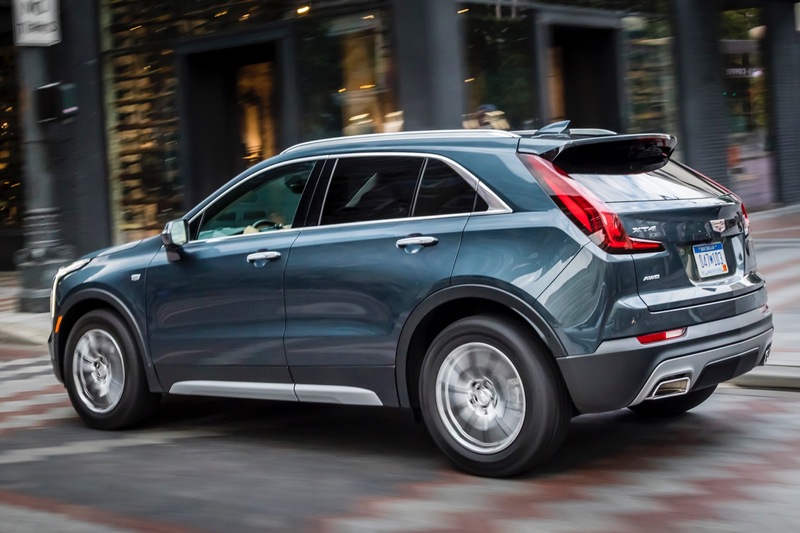 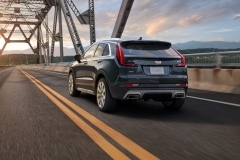 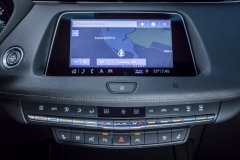 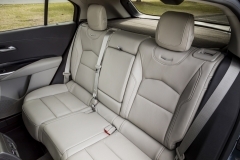 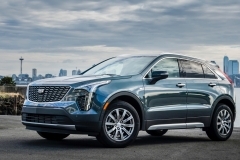 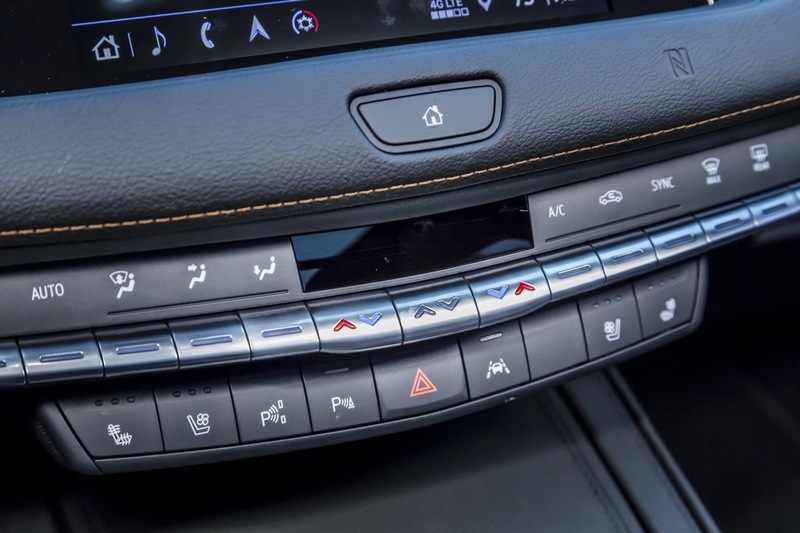 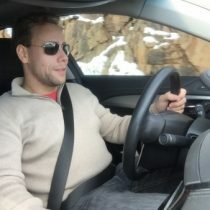 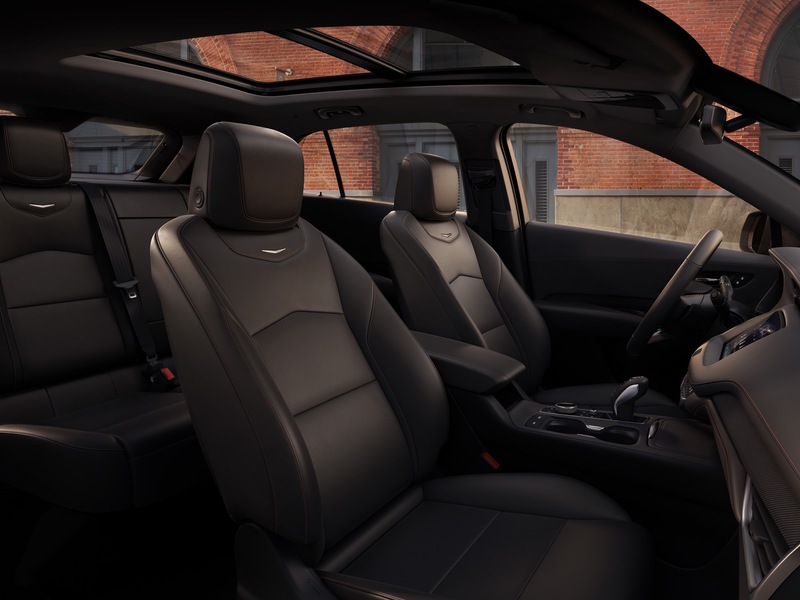 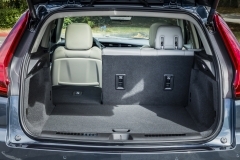 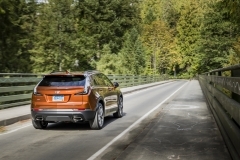 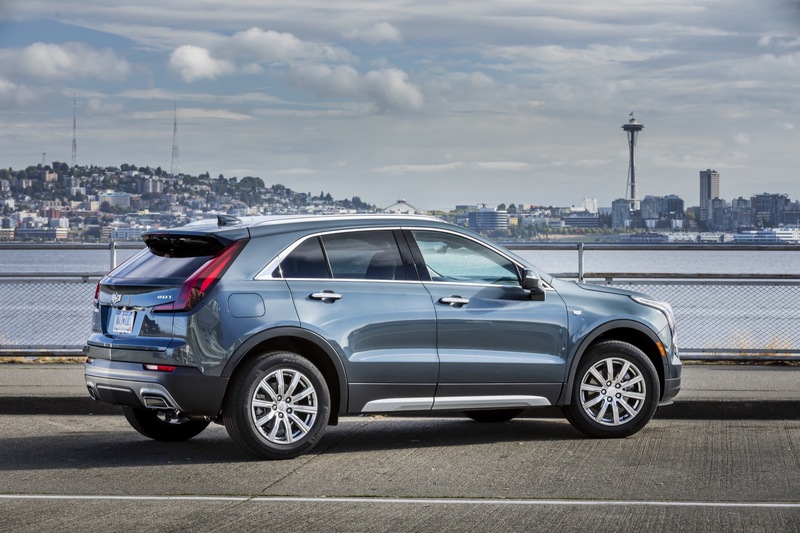 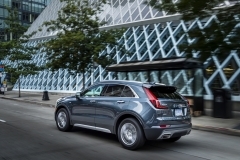 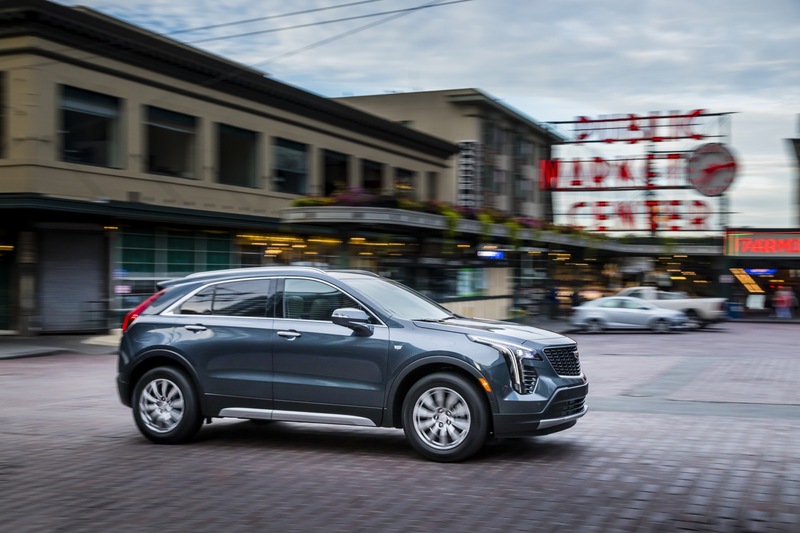 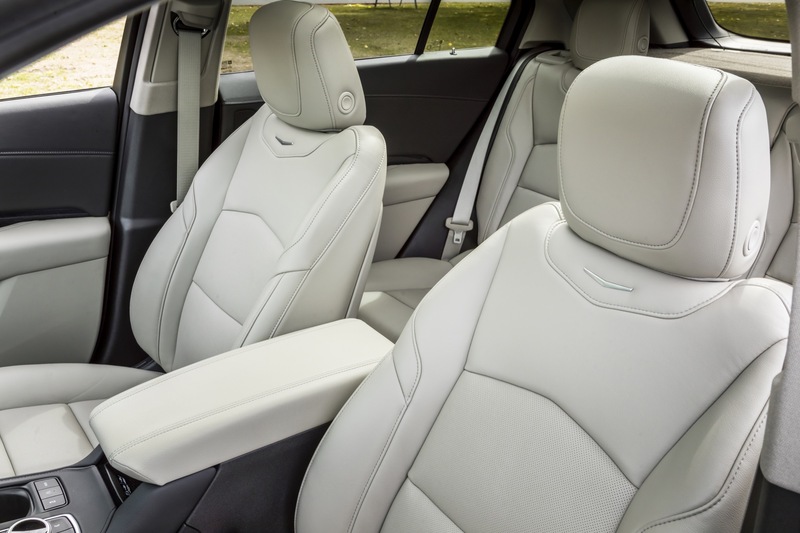 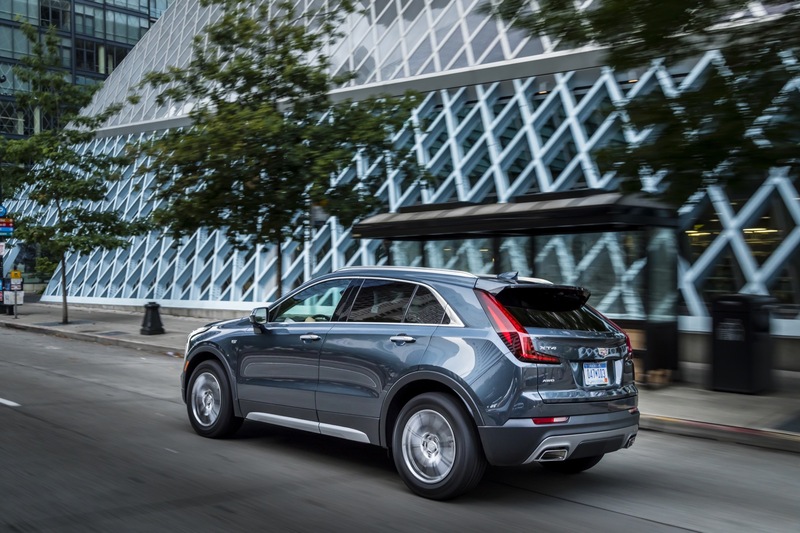 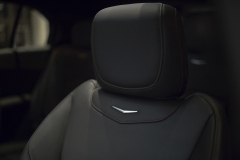 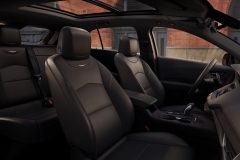 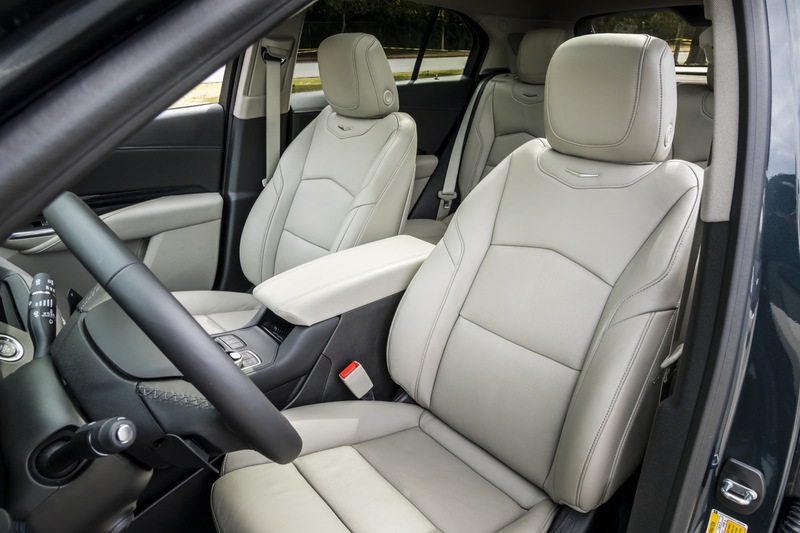 With just a single crossover (the Cadillac XT5), Cadillac’s crossover lineup has been sorely lacking compared to competing luxury makes, which offer three or more crossovers. 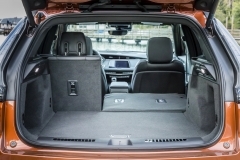 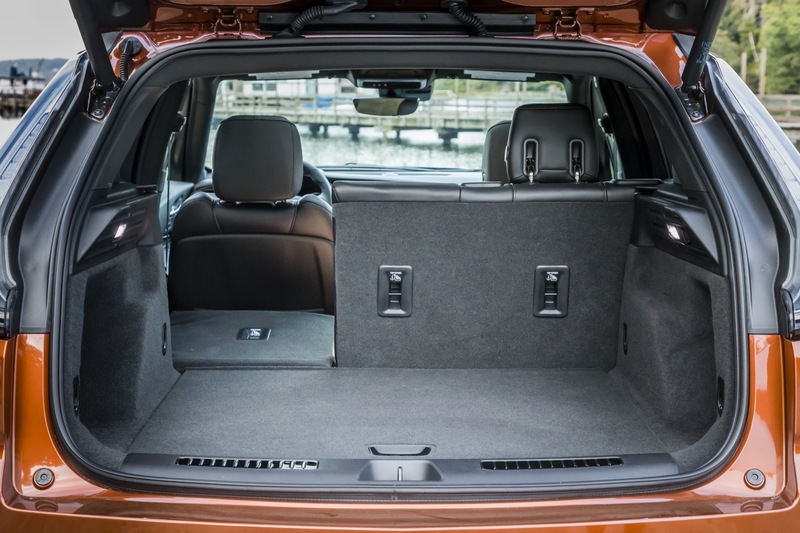 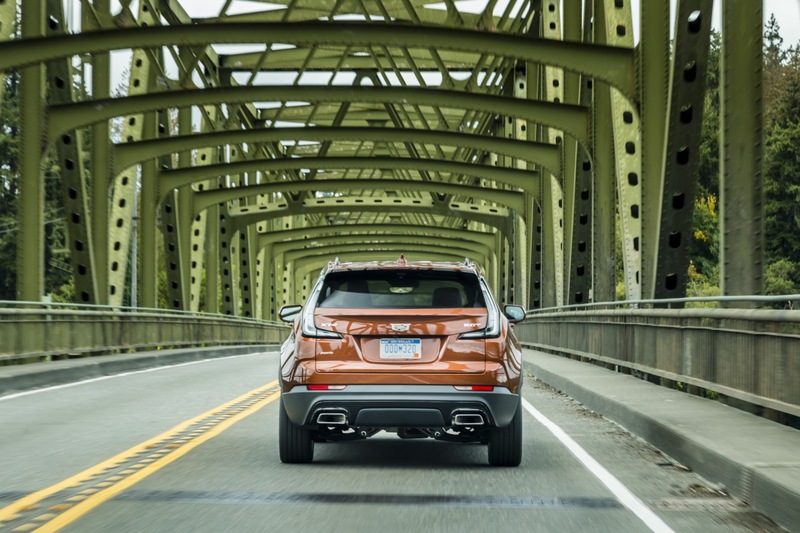 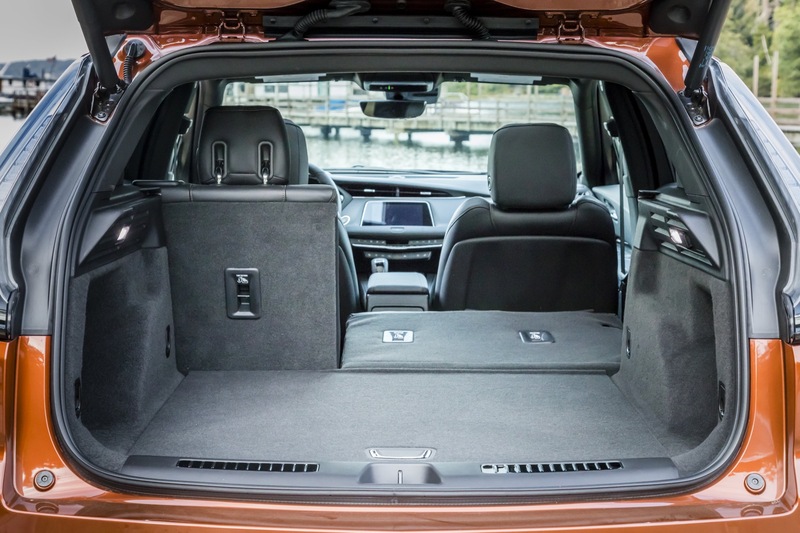 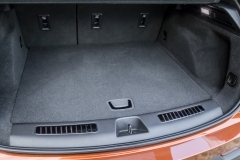 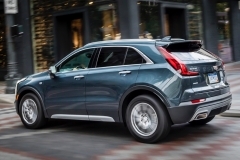 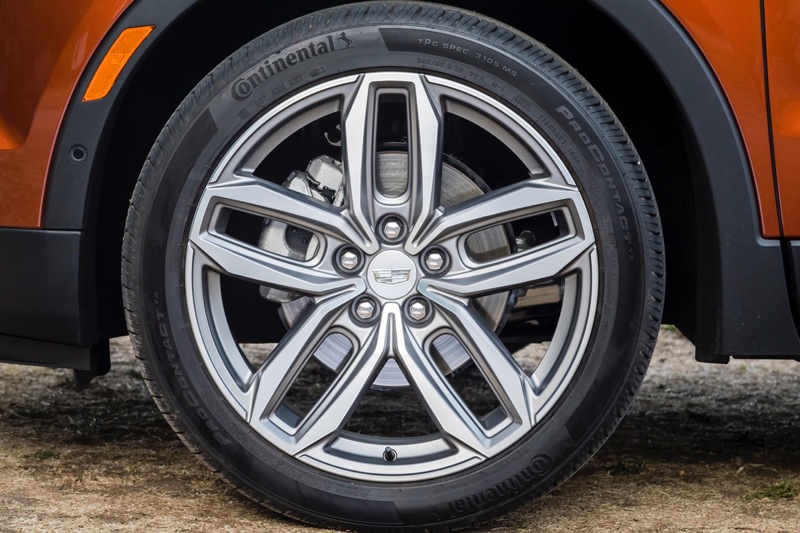 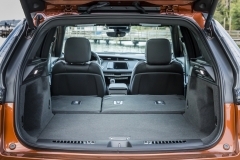 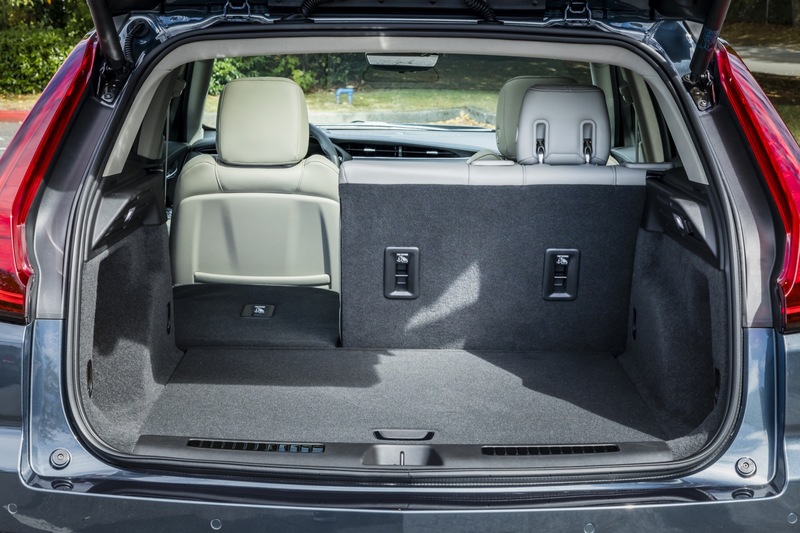 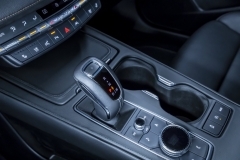 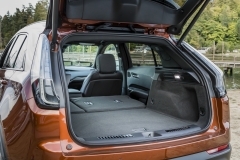 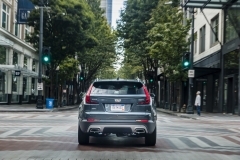 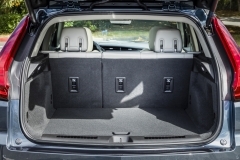 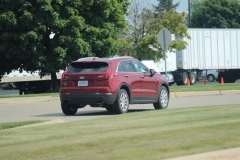 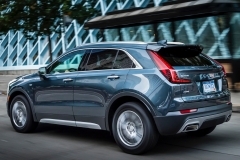 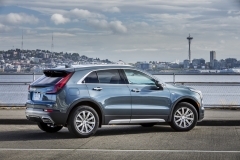 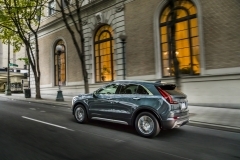 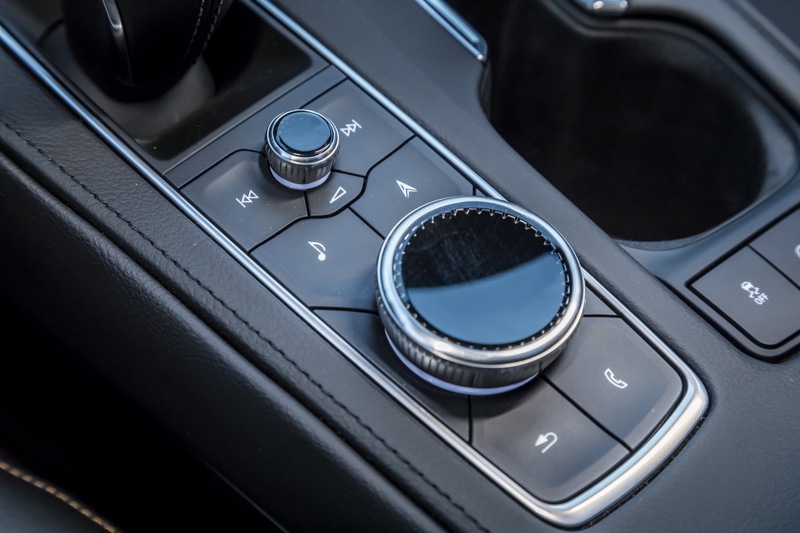 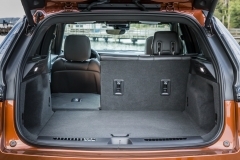 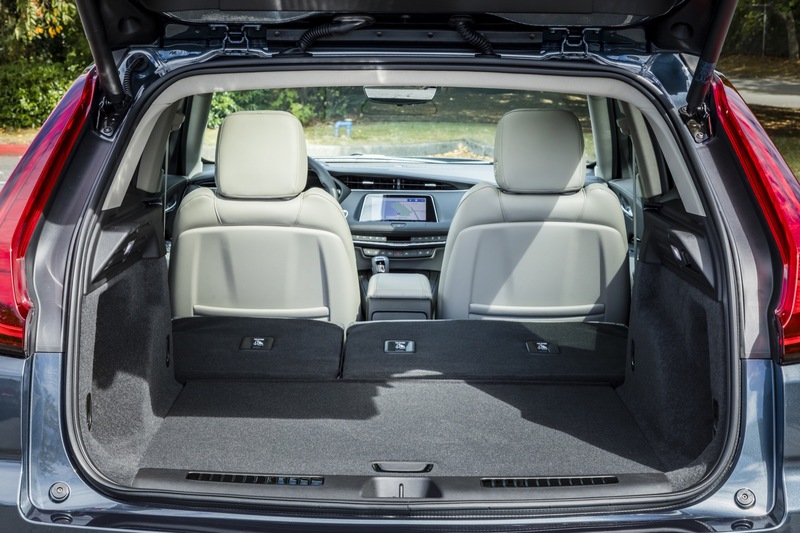 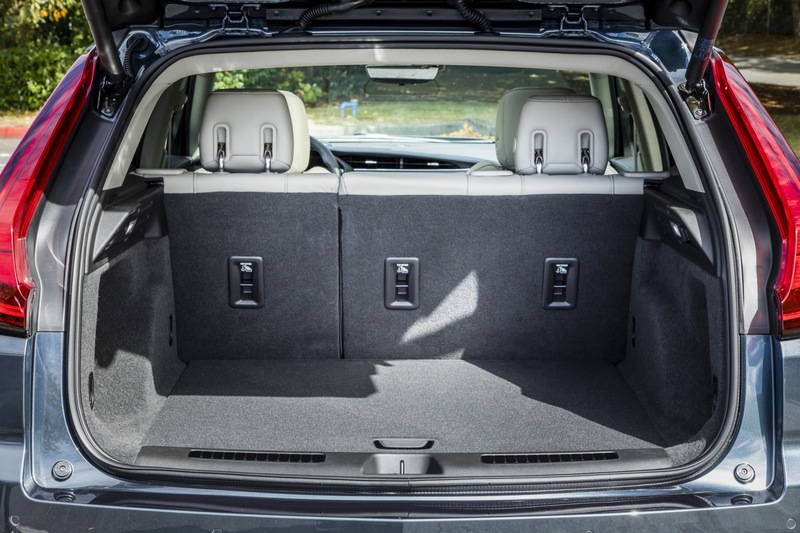 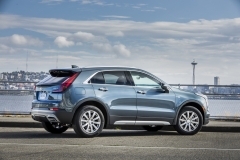 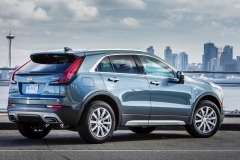 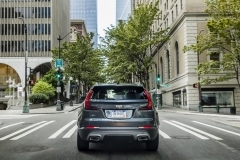 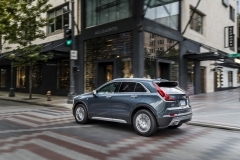 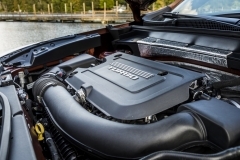 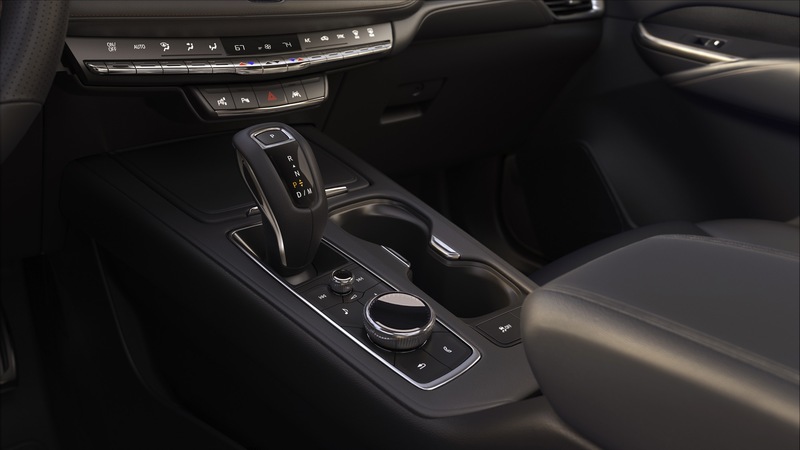 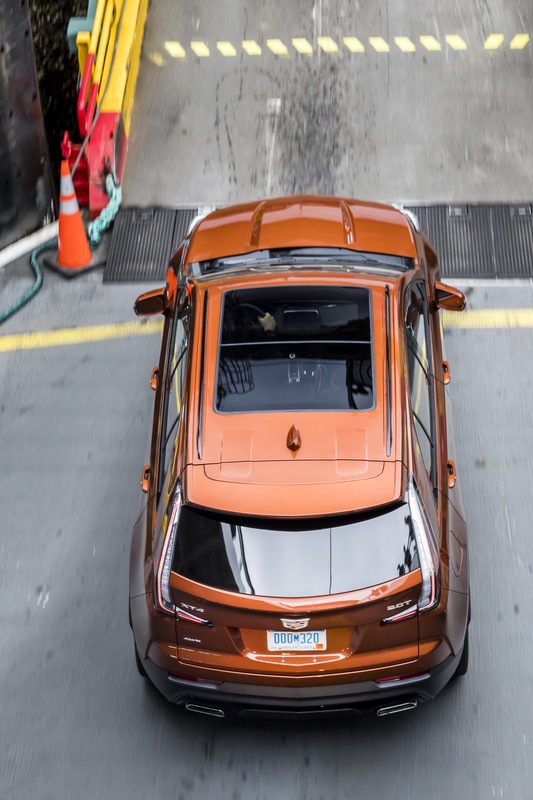 In fact, some rivals, such as BMW and Mercedes-Benz, offer up to seven CUVs/SUVs in their lineup, as utility vehicle sales are experiencing rampant growth in the marketplace. 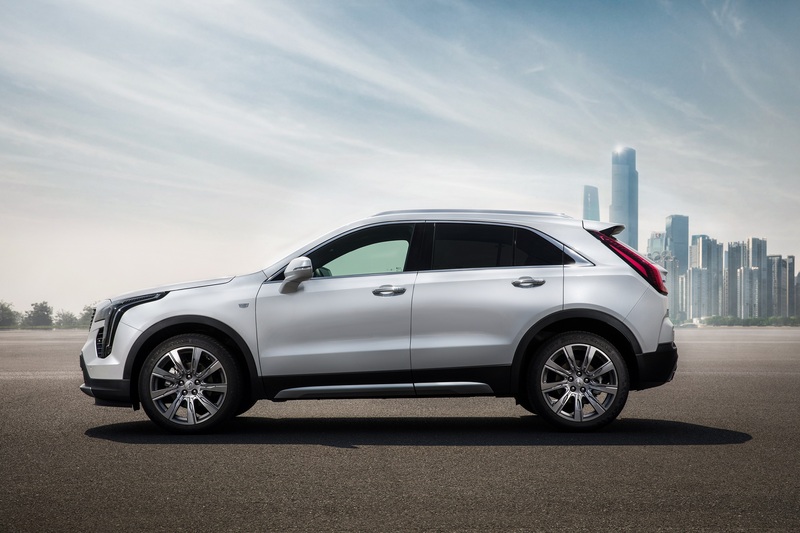 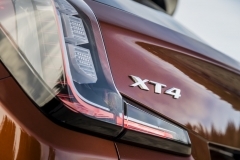 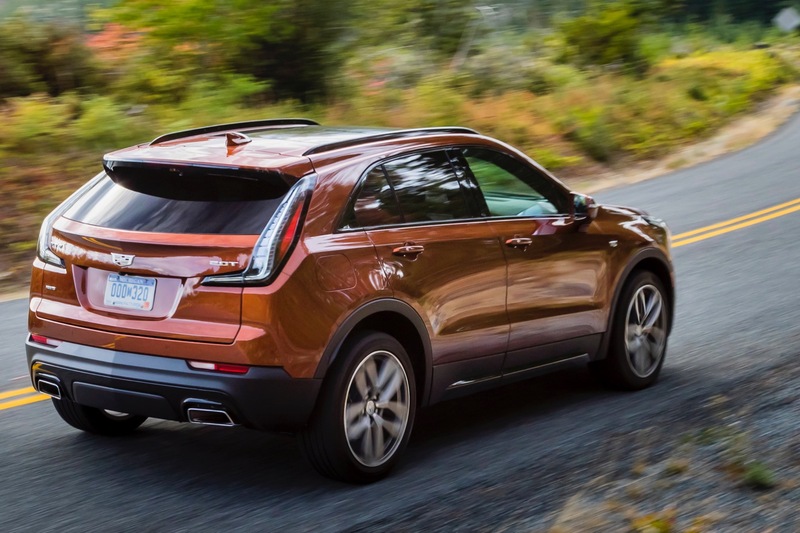 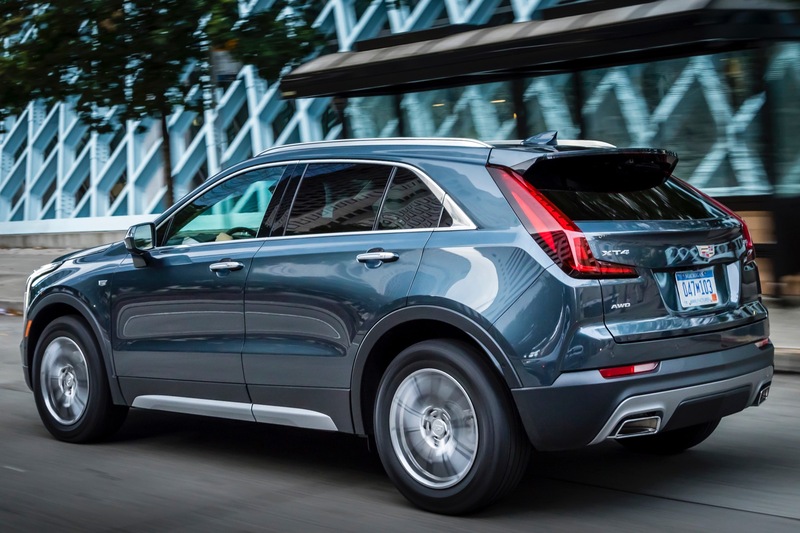 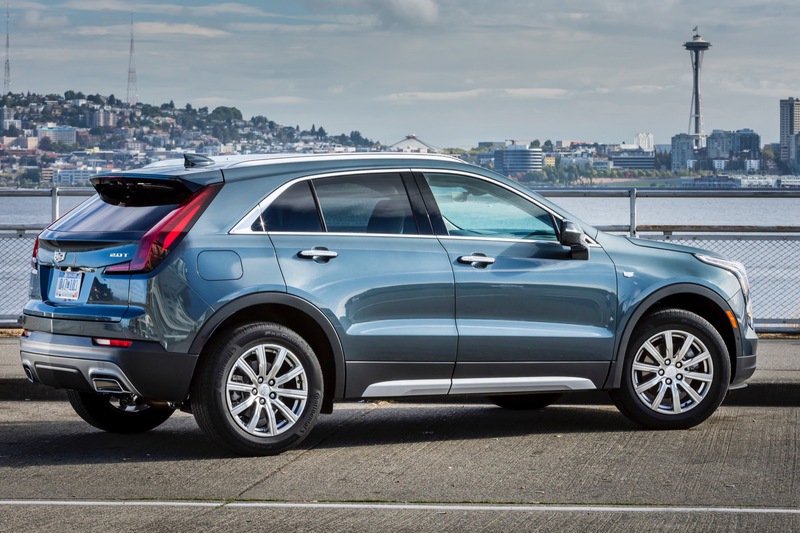 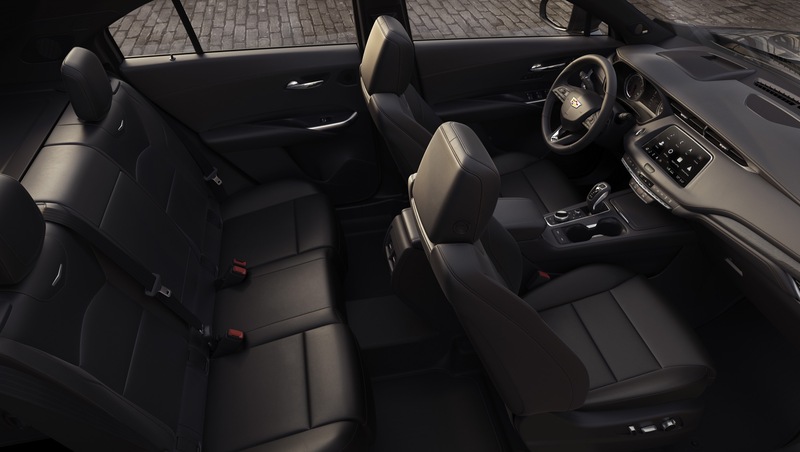 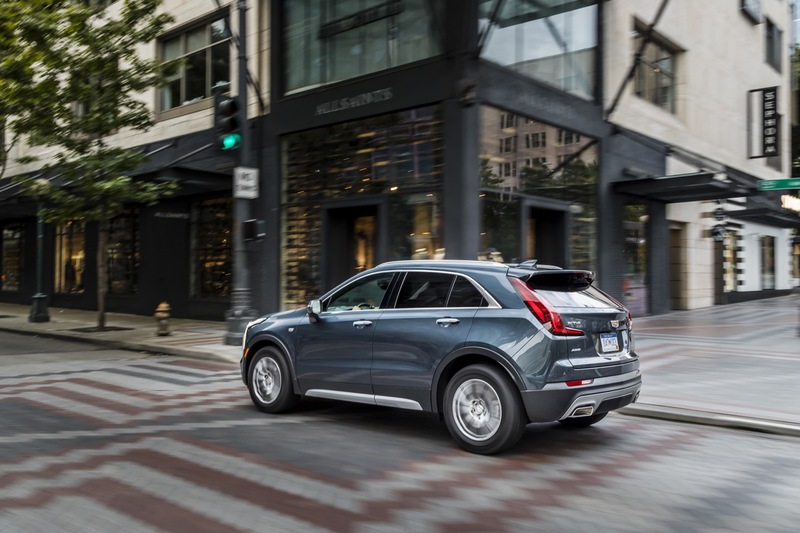 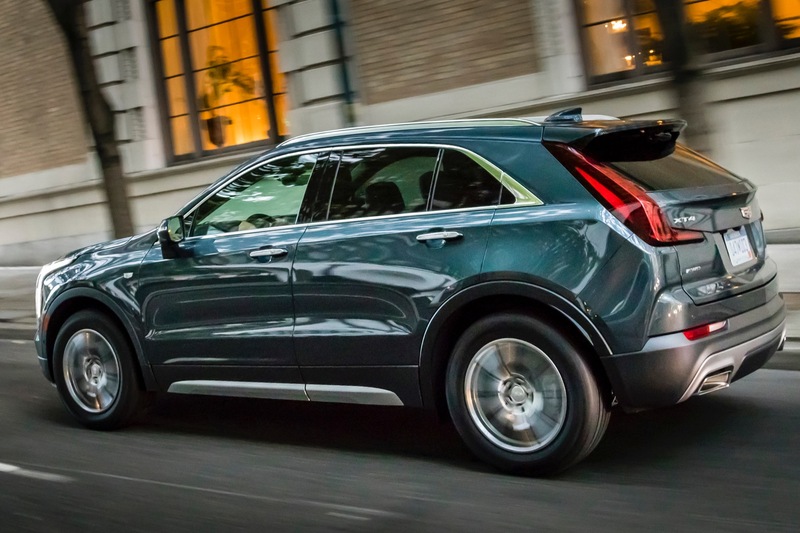 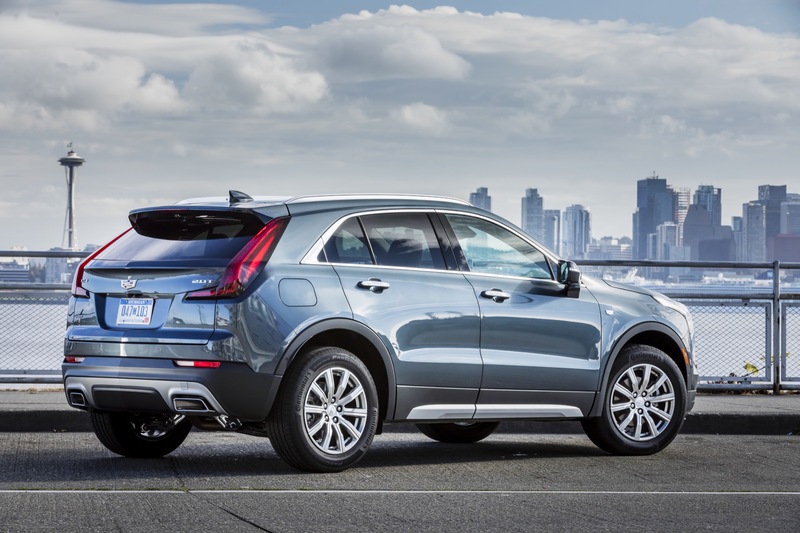 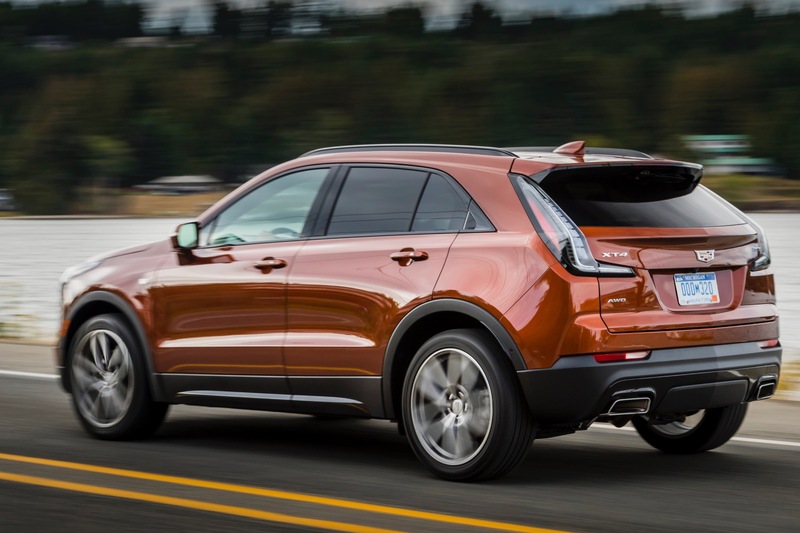 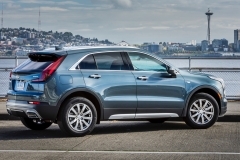 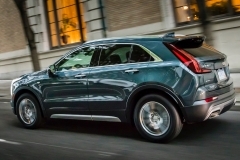 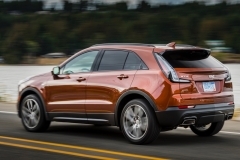 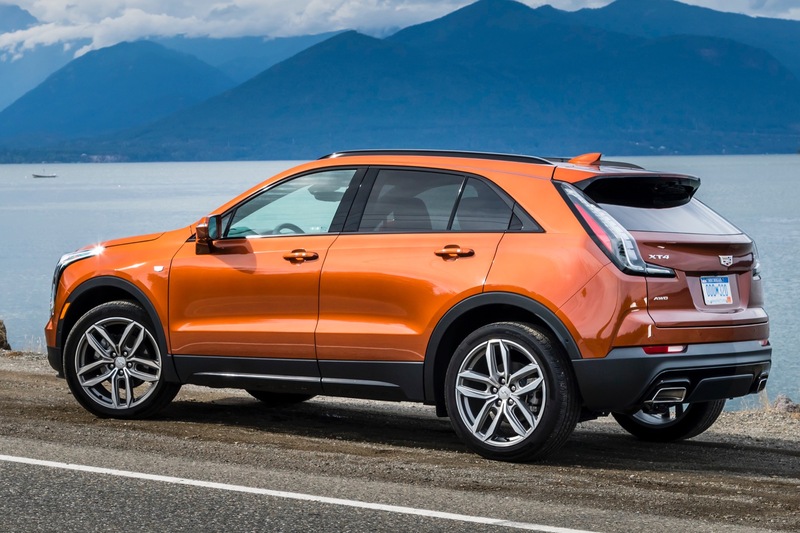 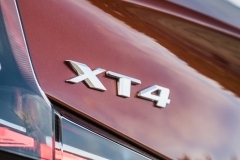 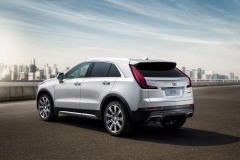 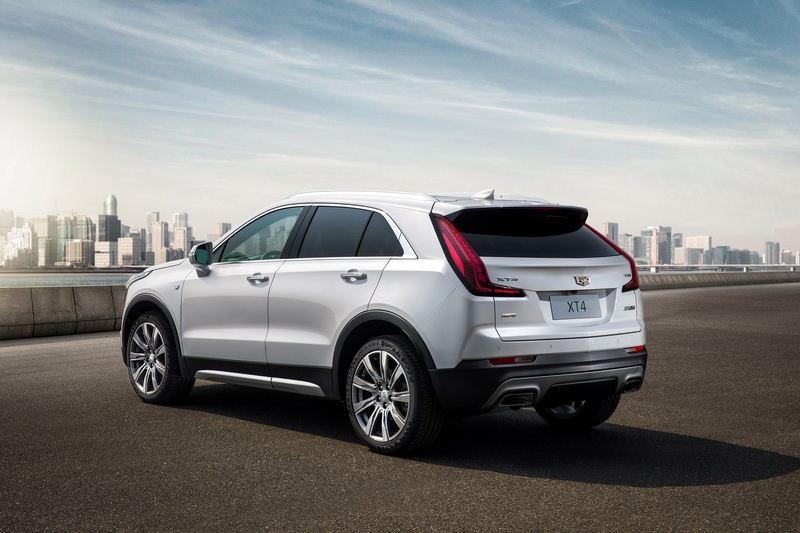 Discuss the XT4 in our Cadillac XT4 forum.